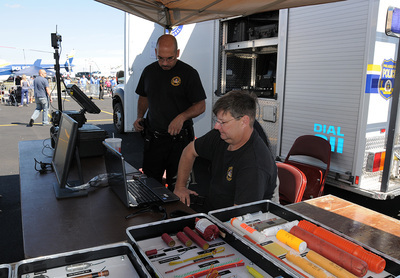 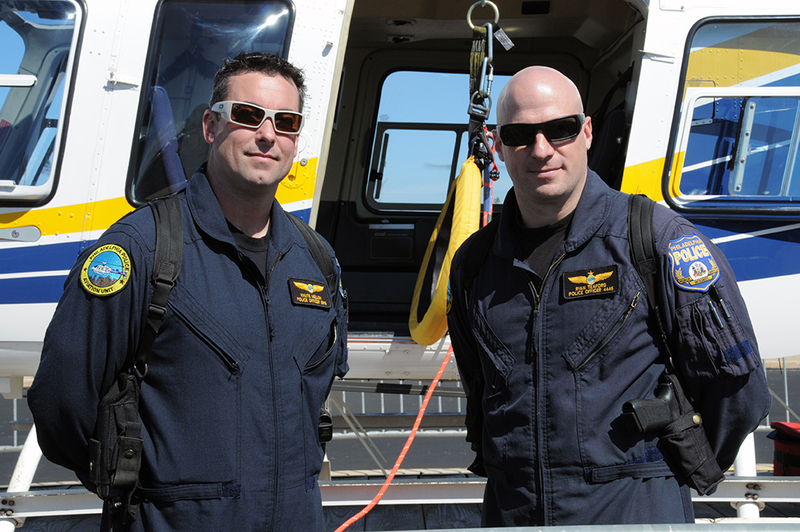 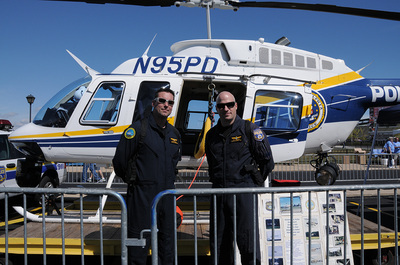 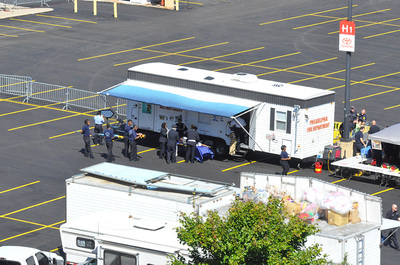 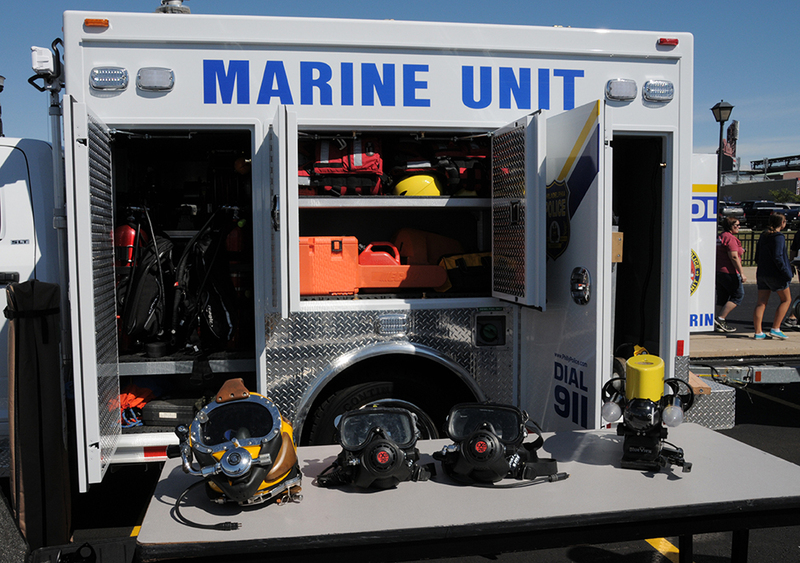 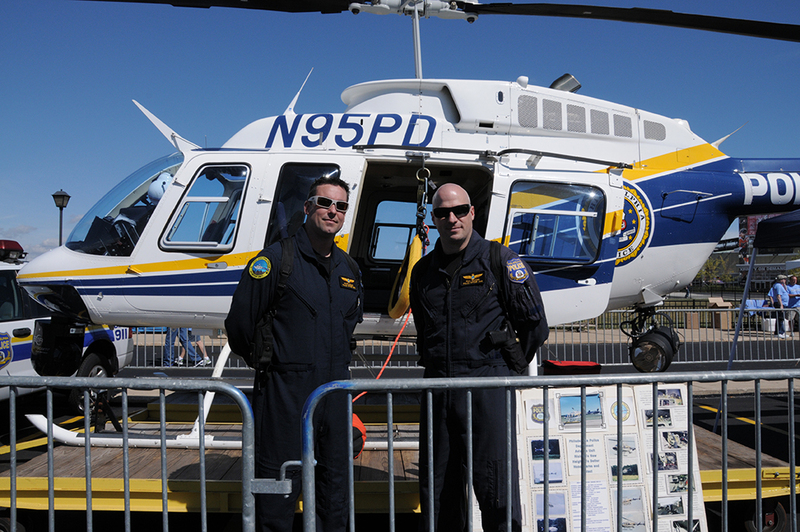 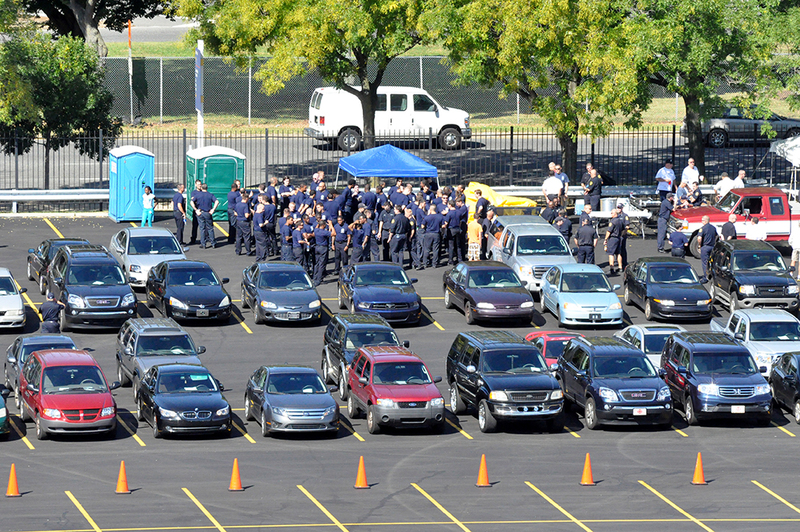 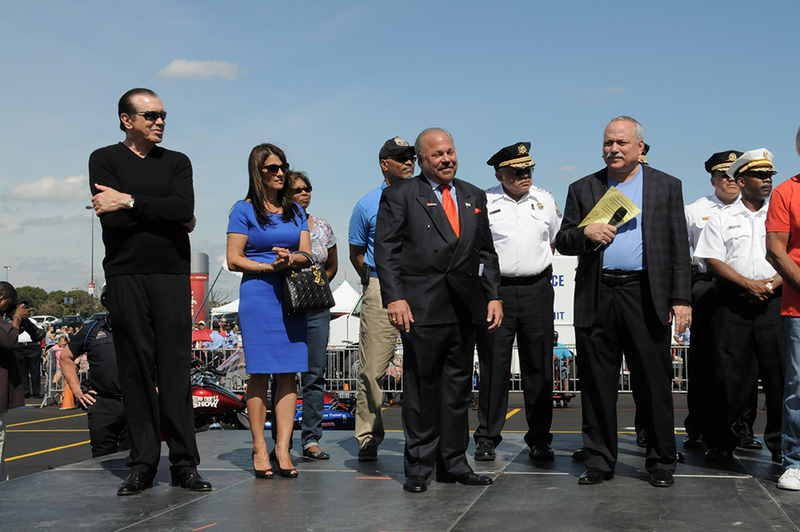 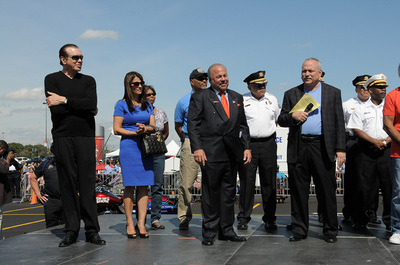 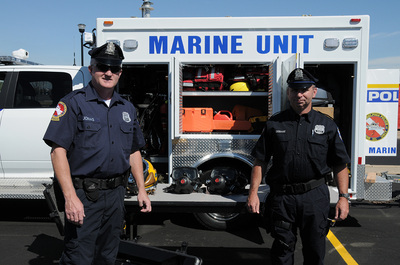 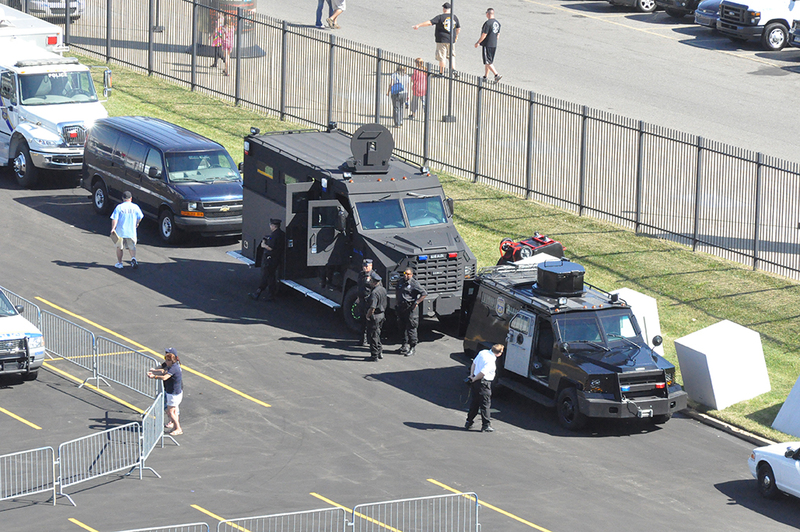 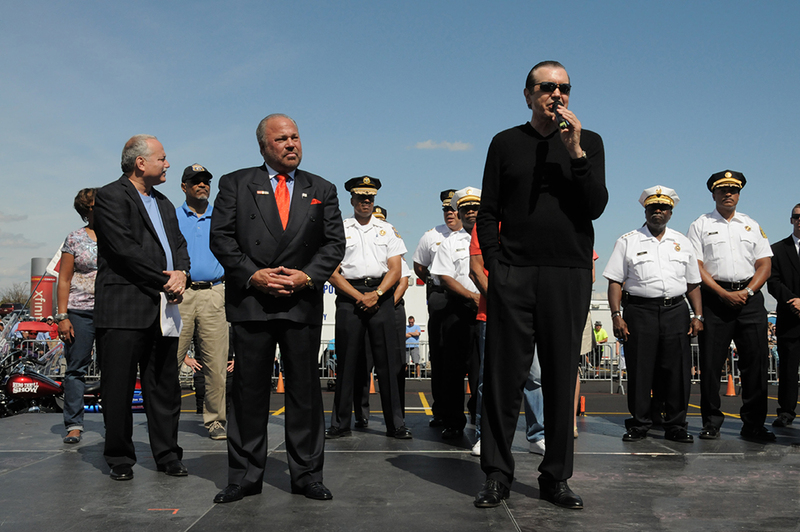 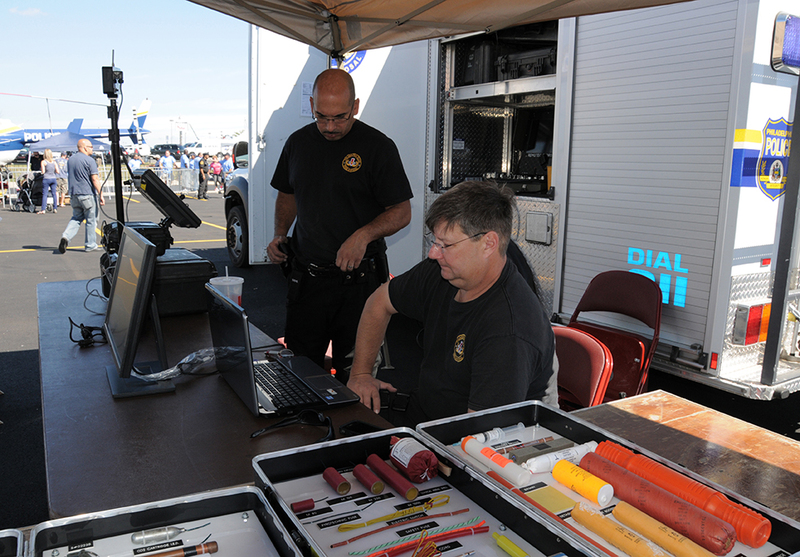 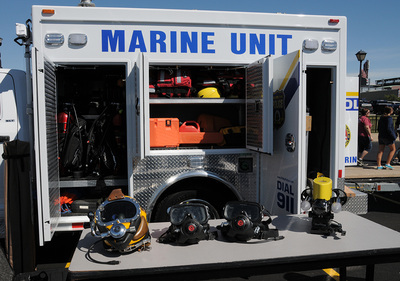 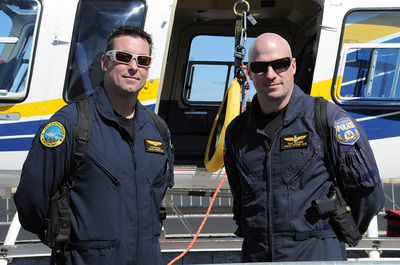 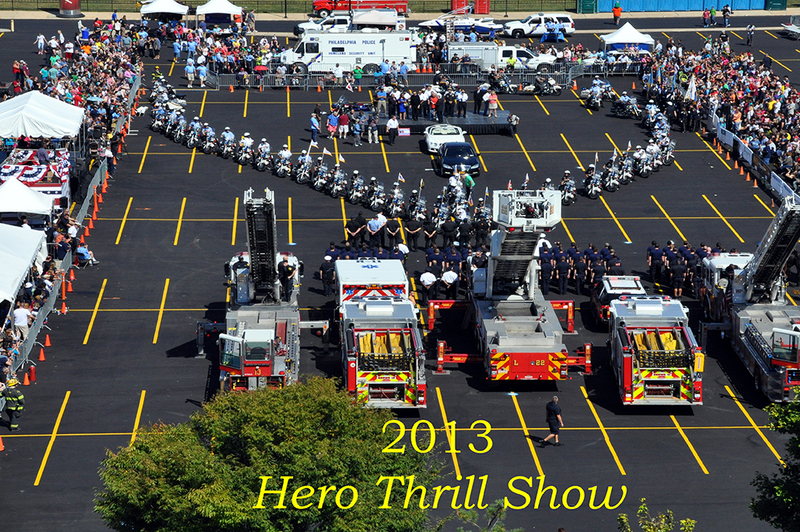 The arrival to the US was appointed on the day prior to our presentation at the Hero Thrill Show. 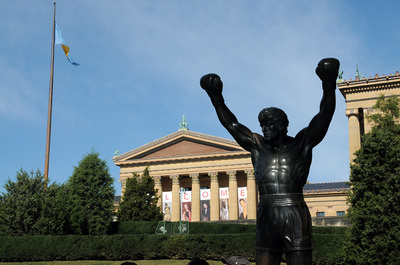 We took a direct flight Moscow ― New York, and after a nine and a half hour journey safely landed at the John F. Kennedy International Airport. 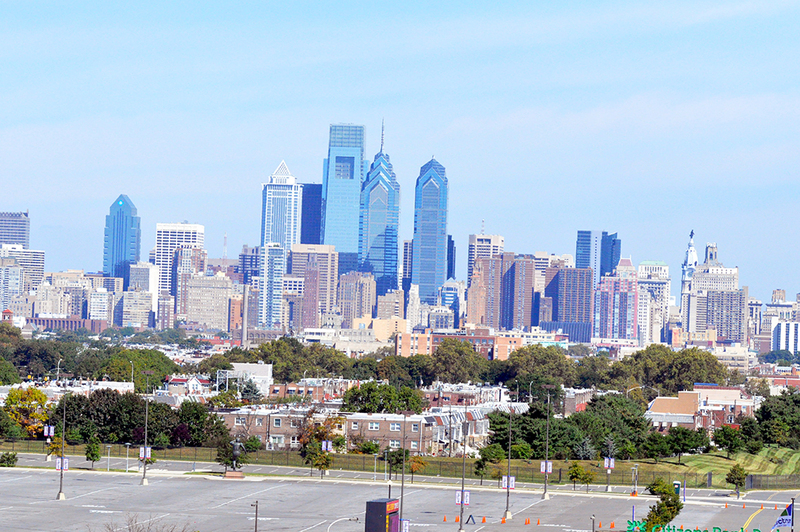 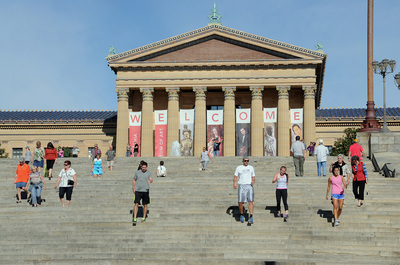 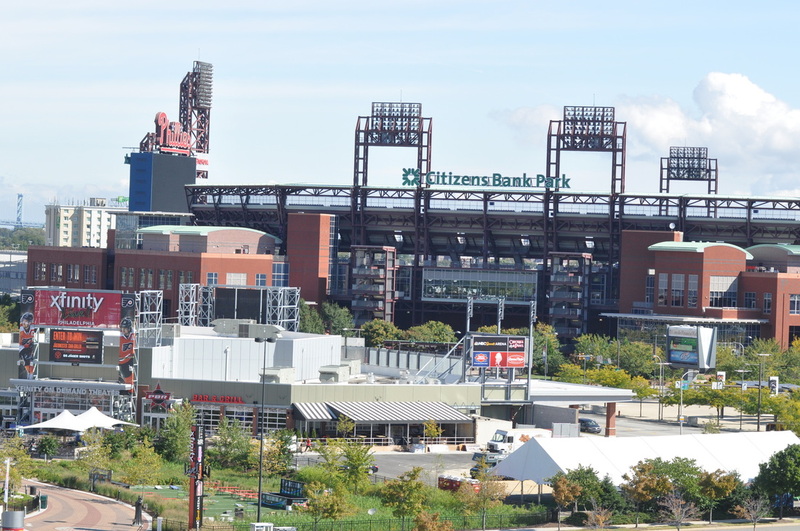 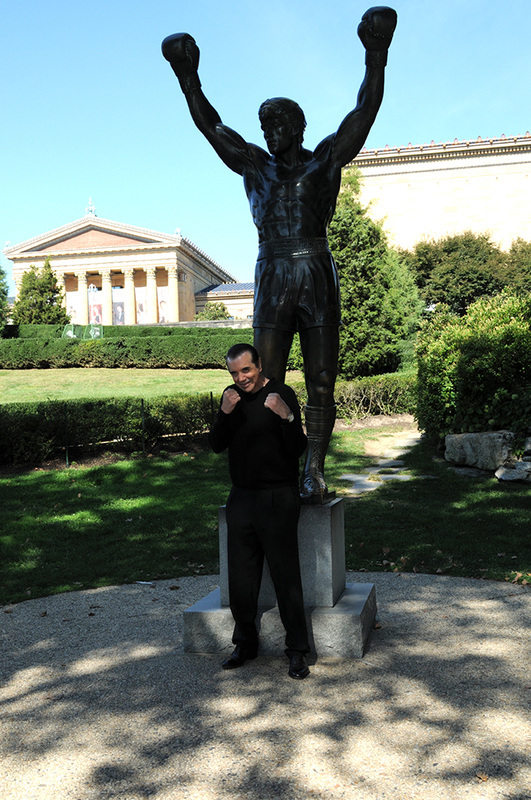 Then, there was an hour and a half trip by train, and finally we reached Philadelphia. 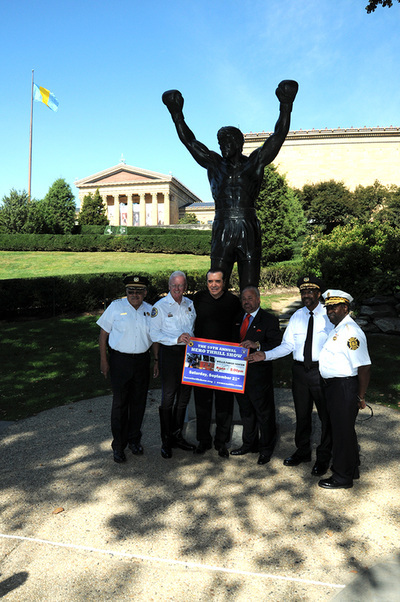 The welcome accorded to us in the city was very hearty, the one of our sort, the one in the spirit of SAMBO. 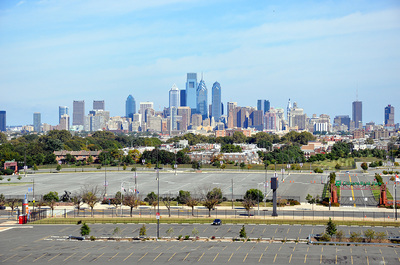 There was a busy day ahead of us, so we wished a good night to Philadelphia and a good morning to Moscow, and went to sleep. 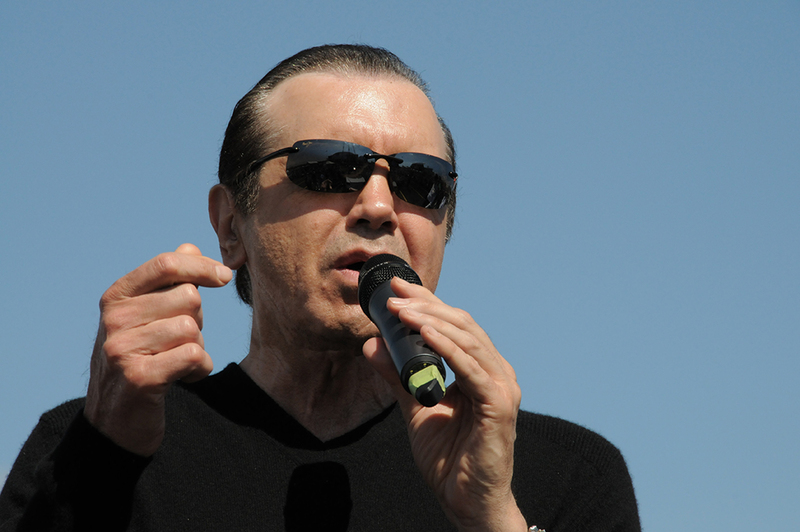 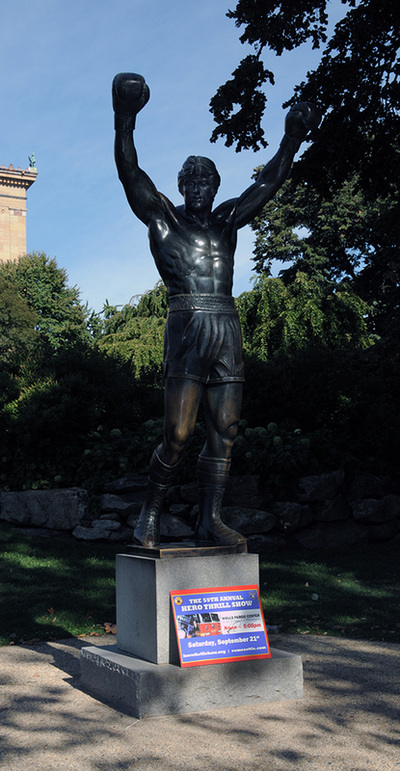 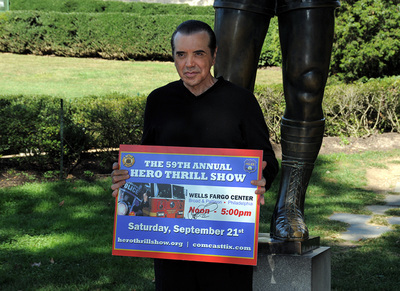 The history of the Hero Thrill Show dates back to the middle of the last century ― distant 1954. 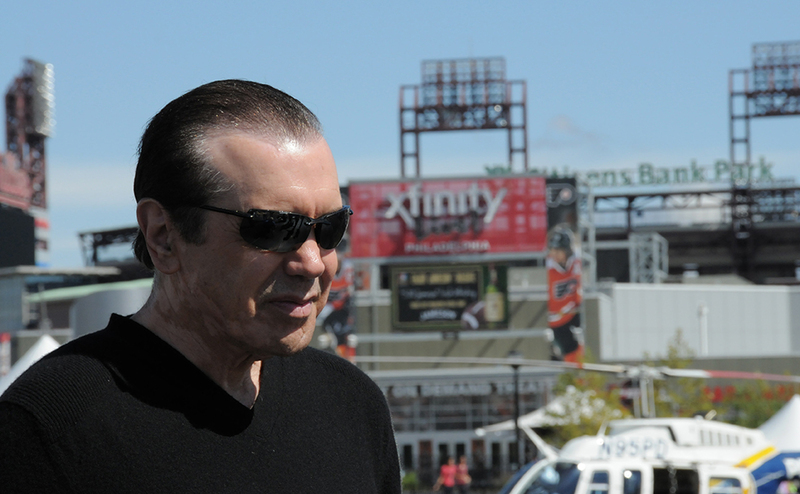 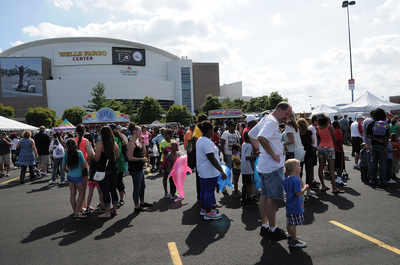 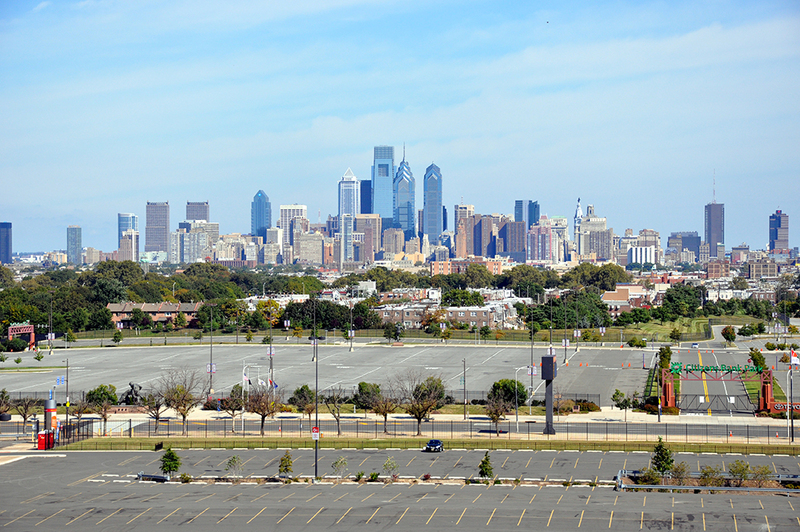 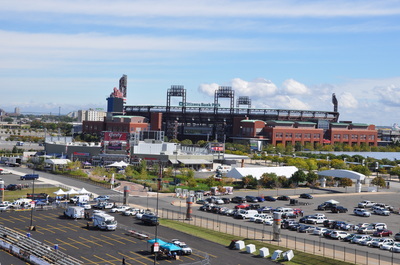 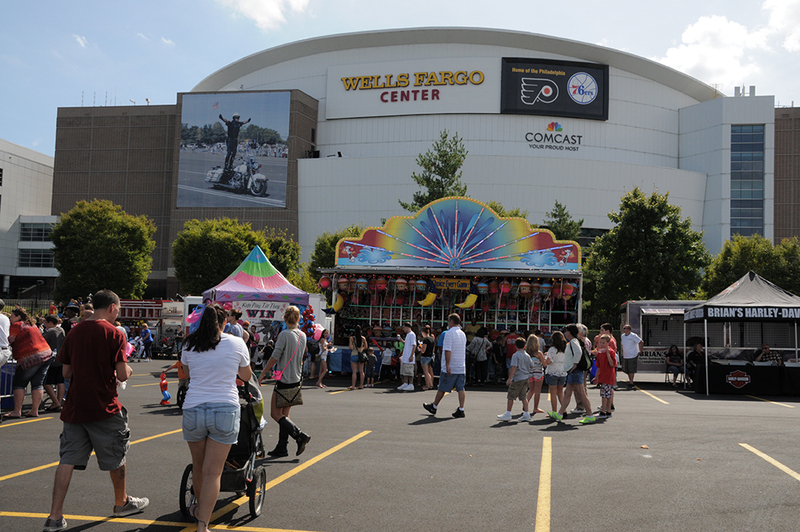 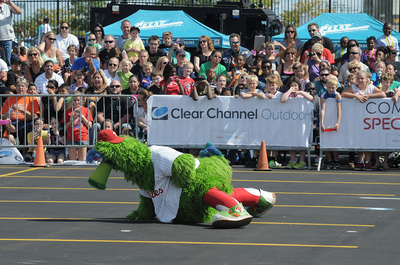 The show is traditionally held at the Wells Fargo Center, Philadelphia, a famous sports and entertainment arena, the home of the hockey Philadelphia Flyers, the basketball Philadelphia 76ers and the box lacrosse Philadelphia Wings. 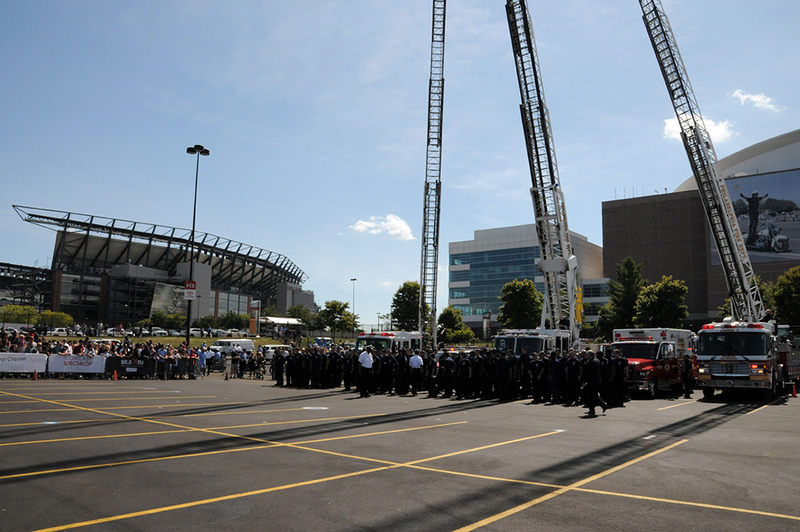 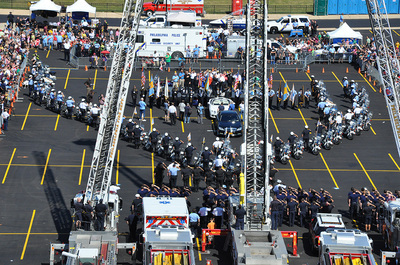 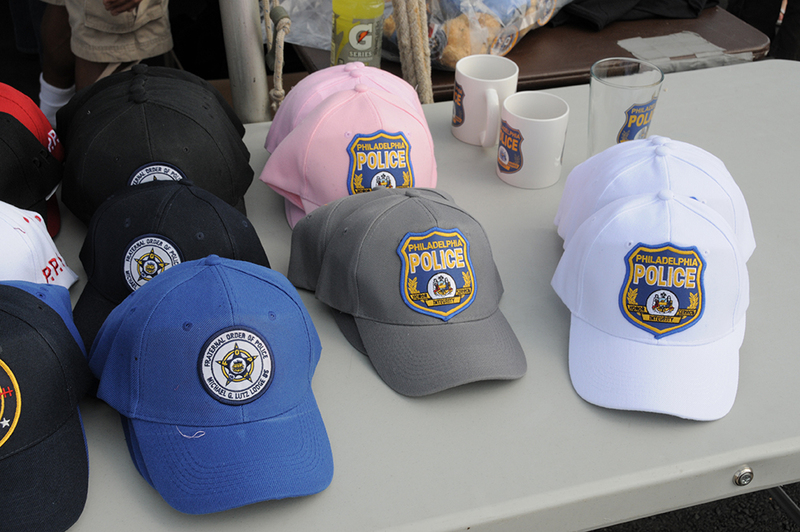 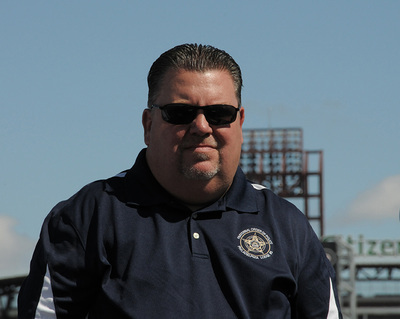 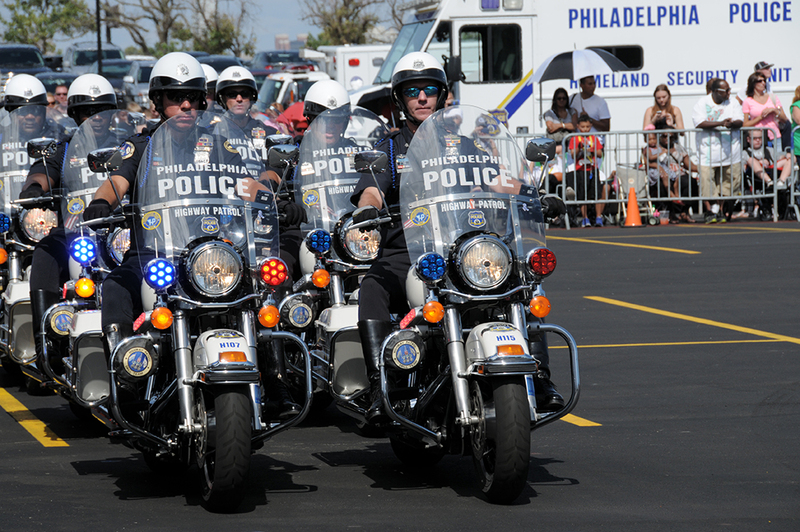 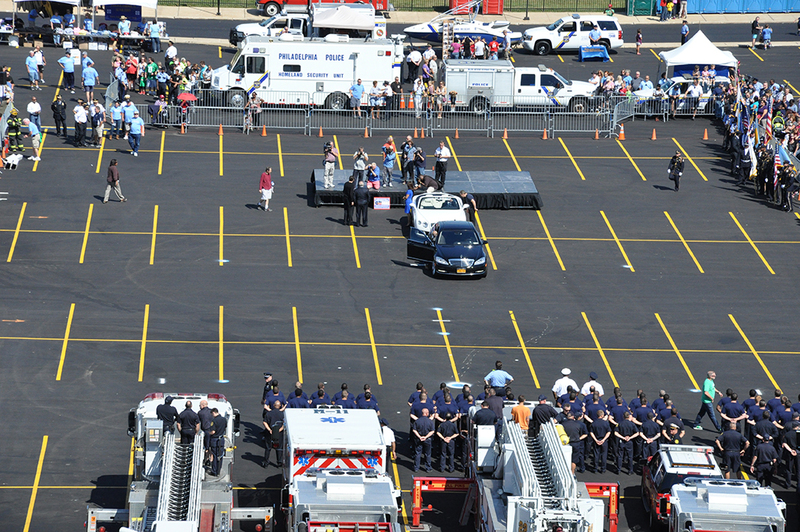 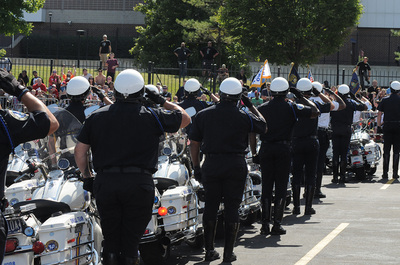 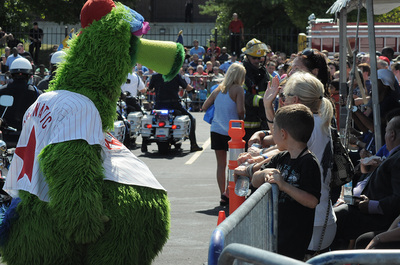 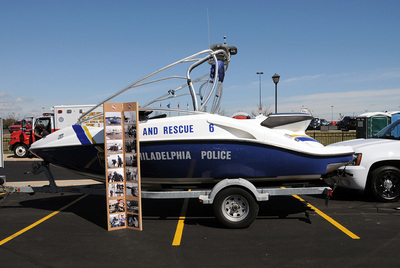 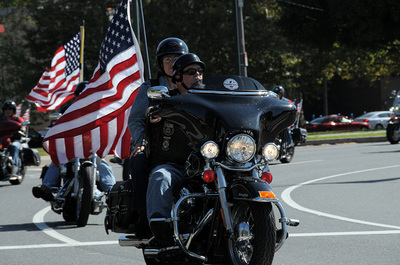 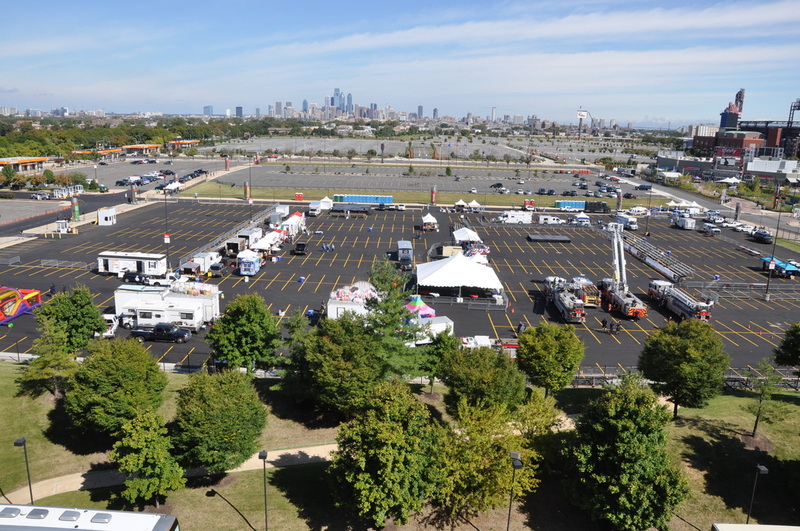 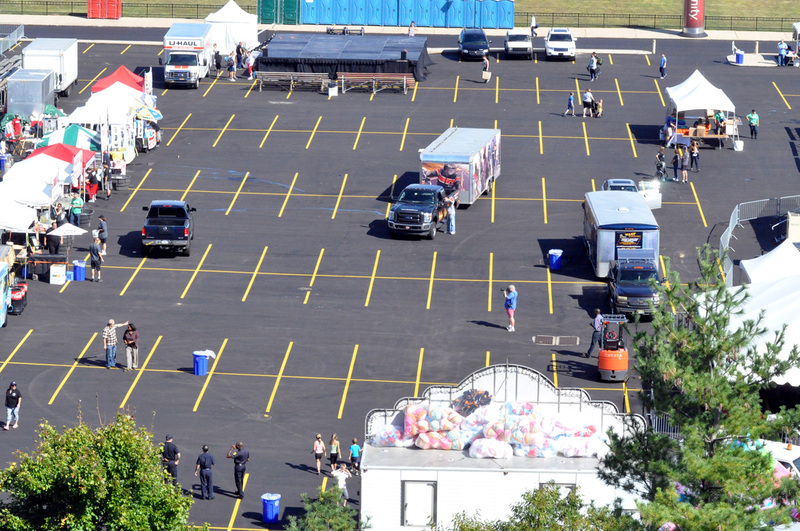 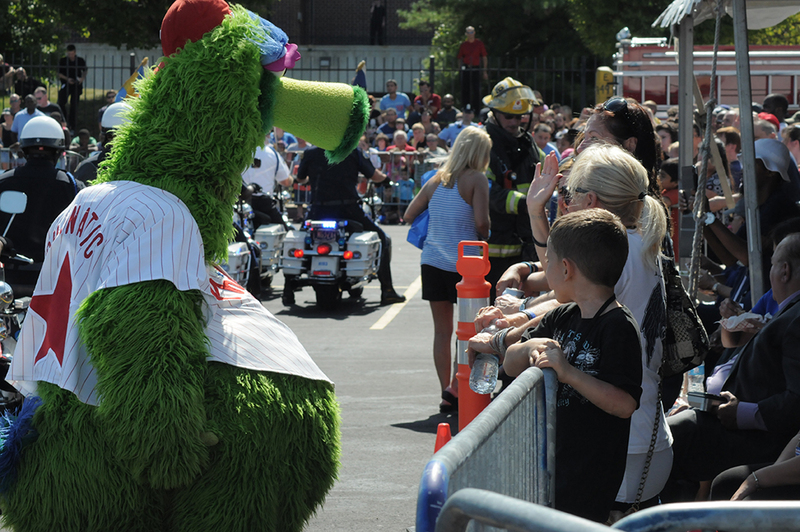 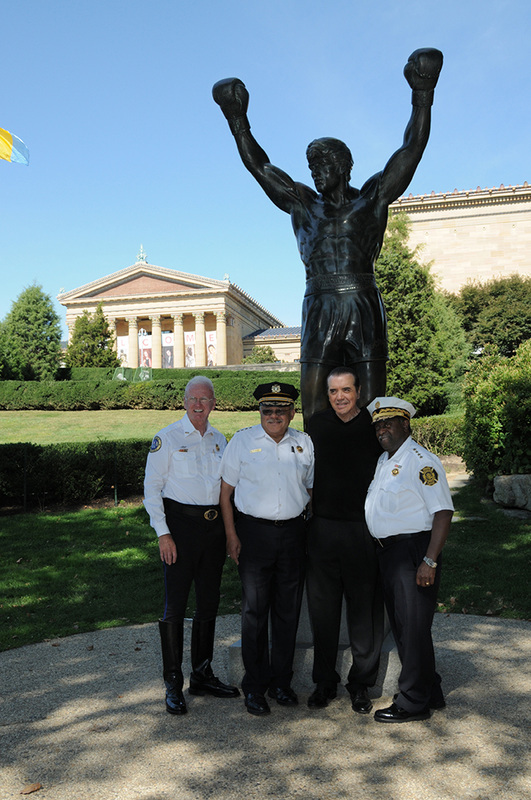 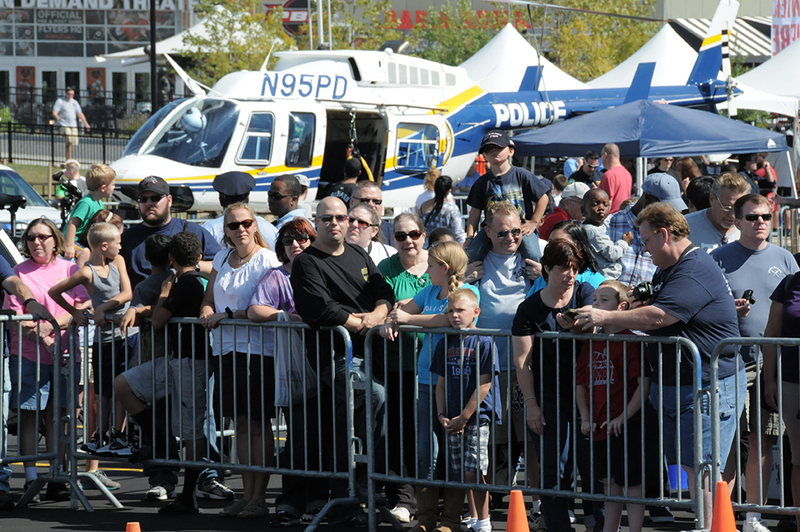 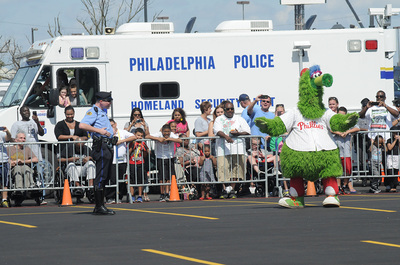 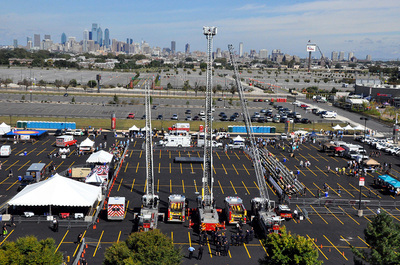 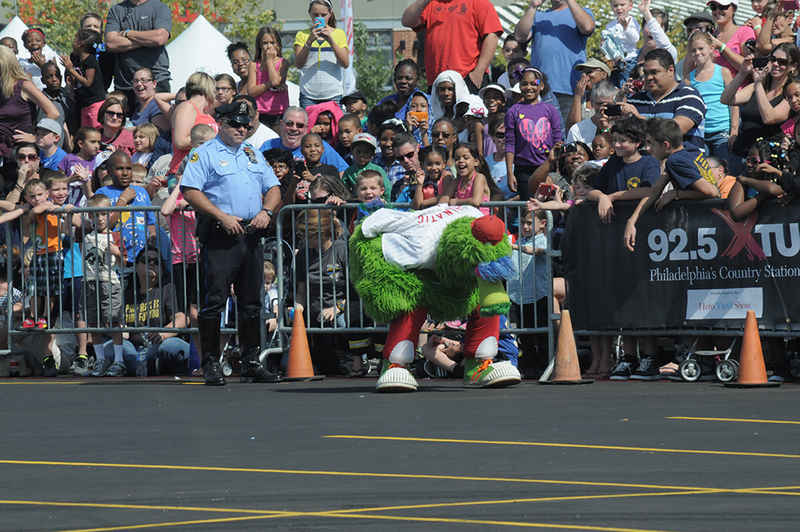 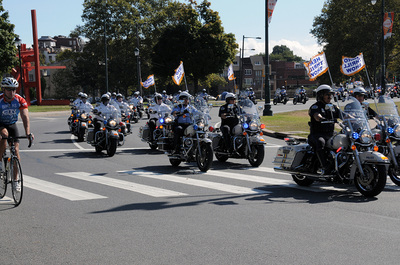 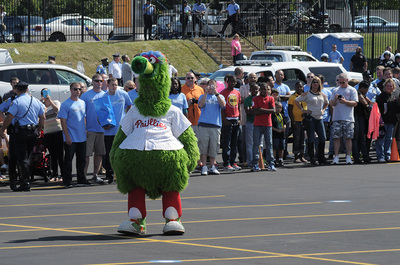 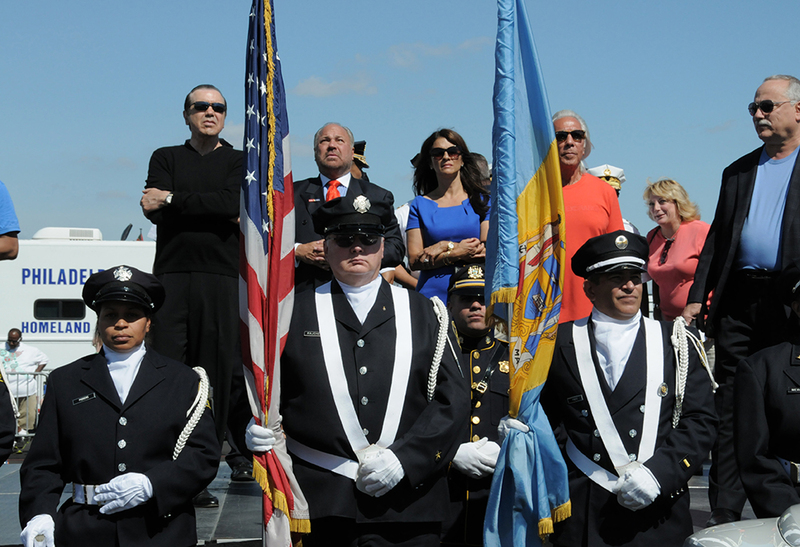 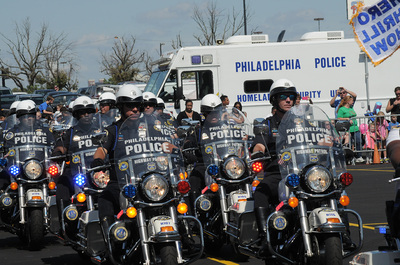 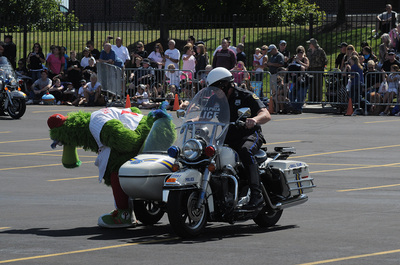 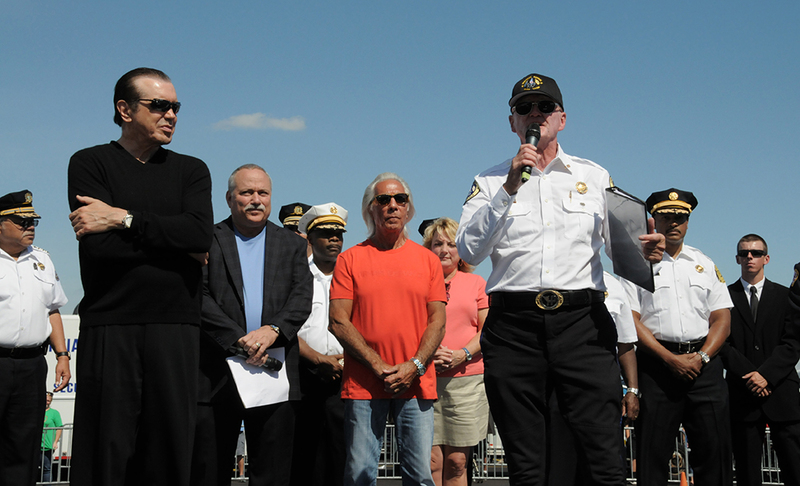 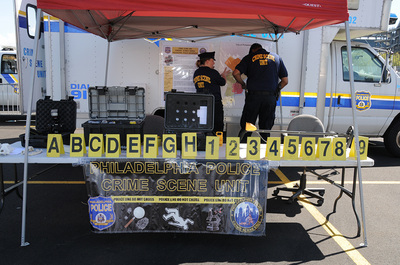 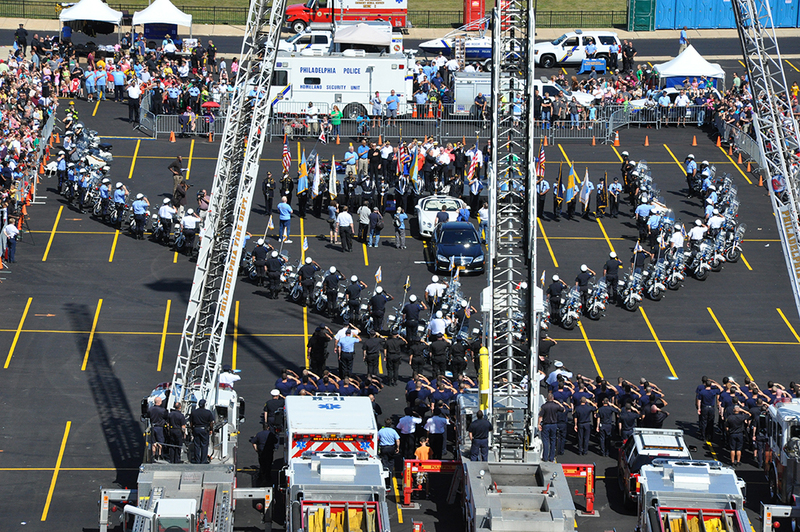 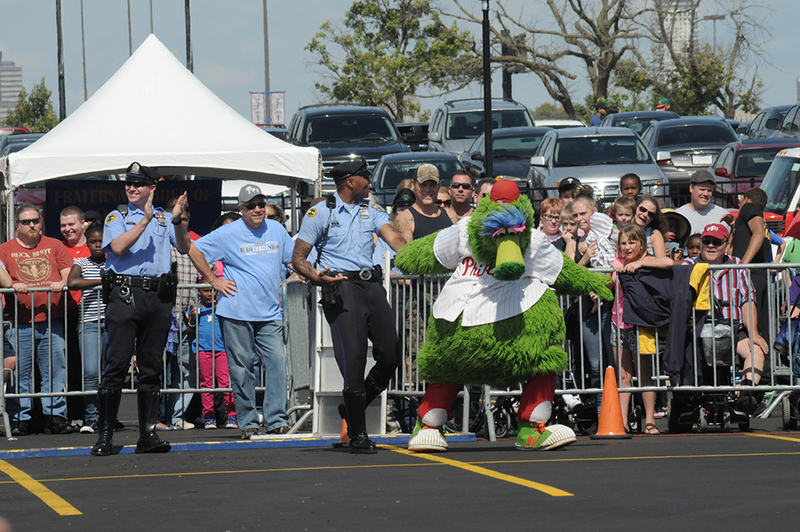 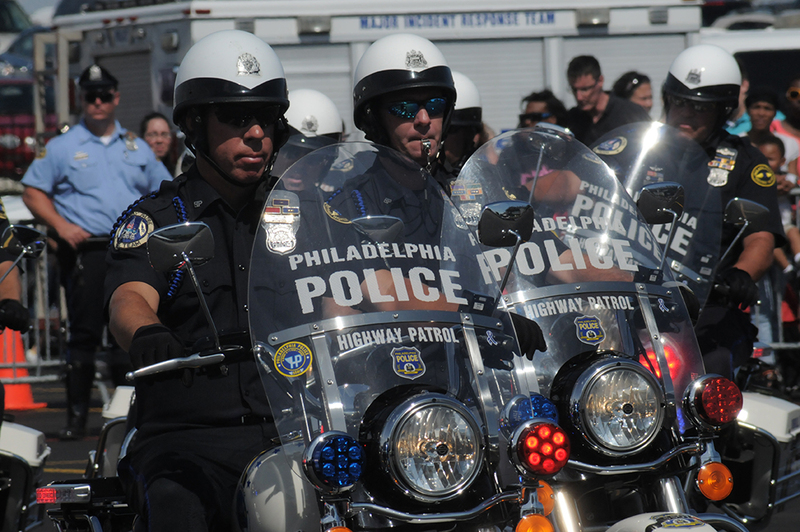 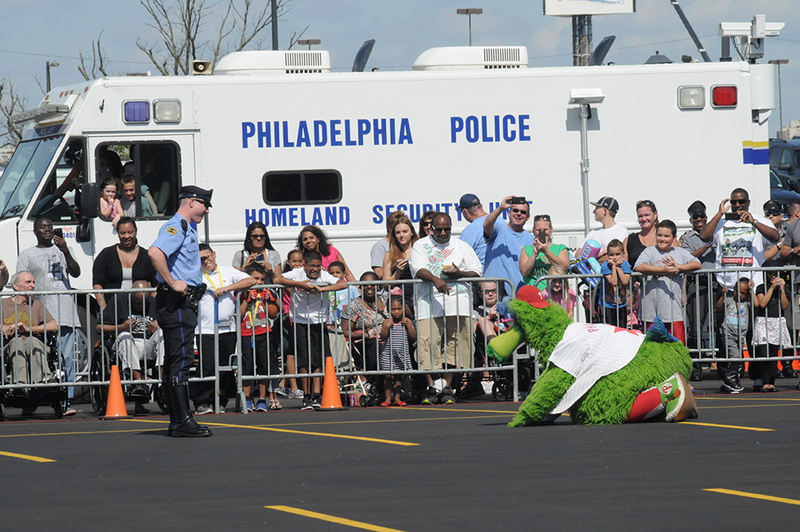 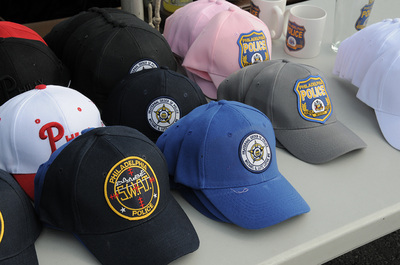 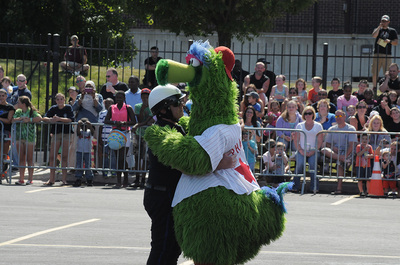 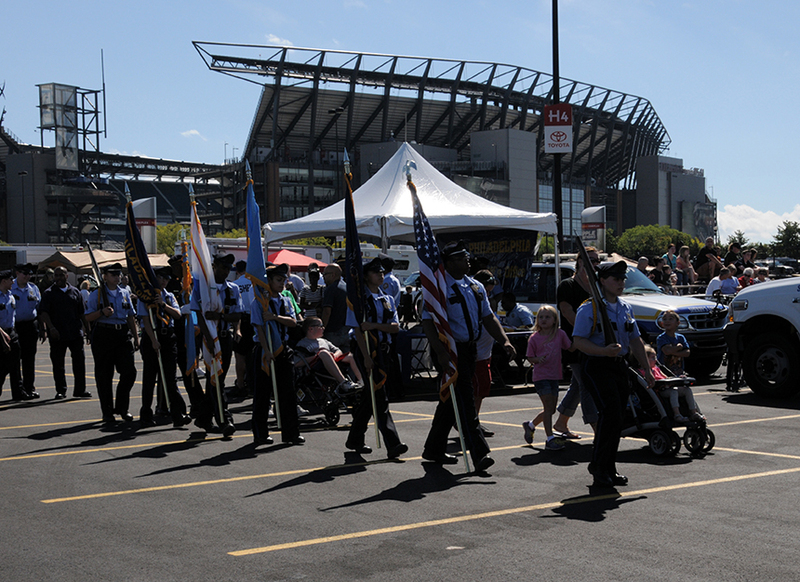 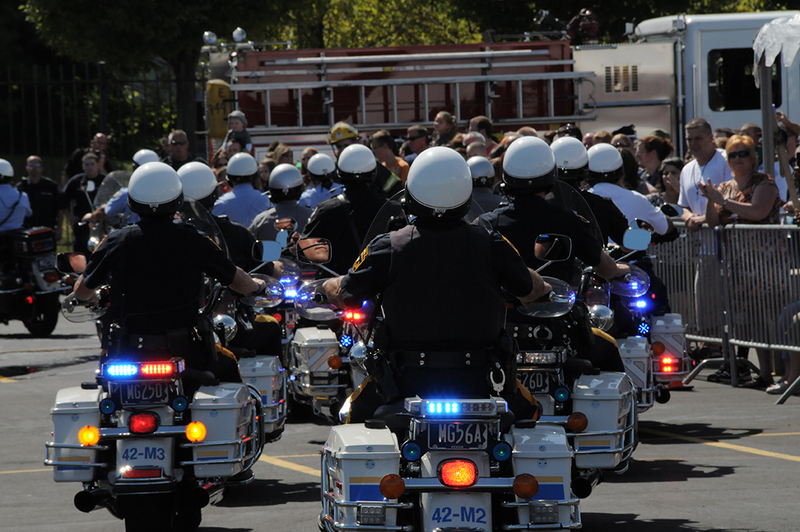 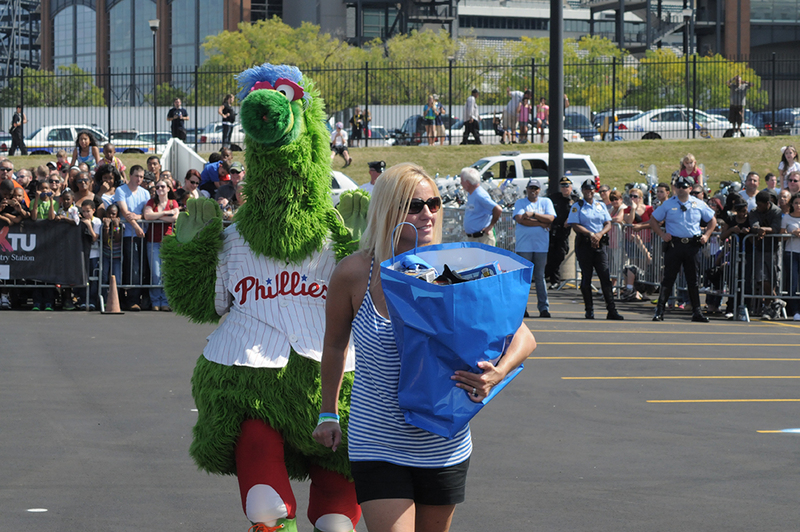 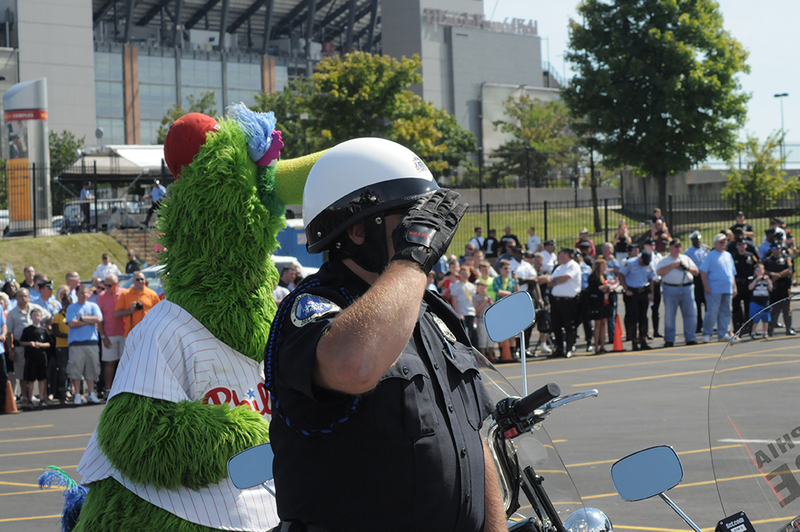 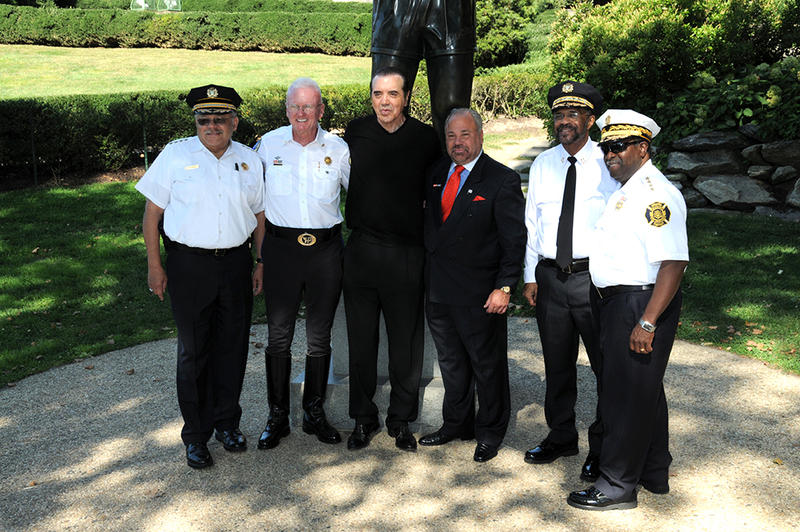 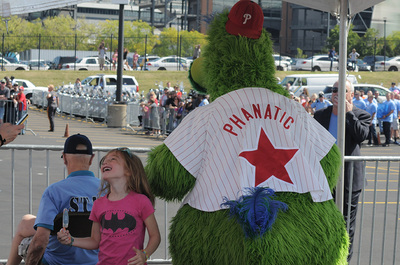 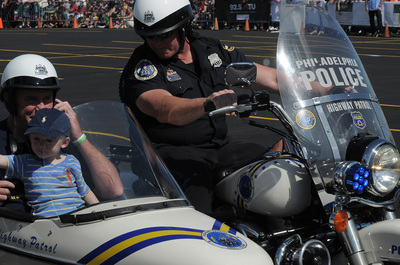 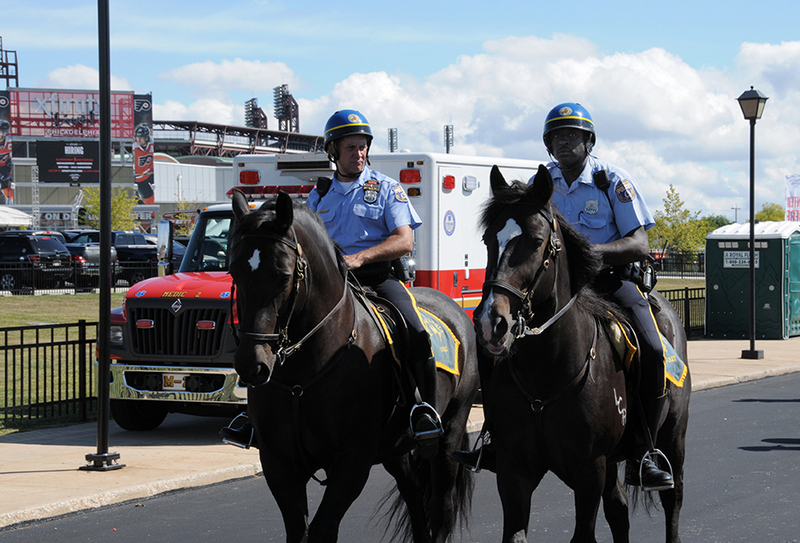 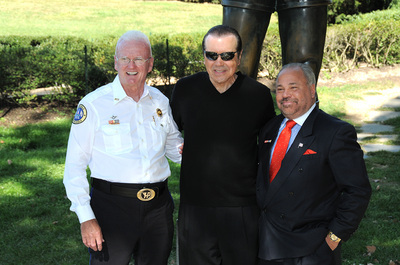 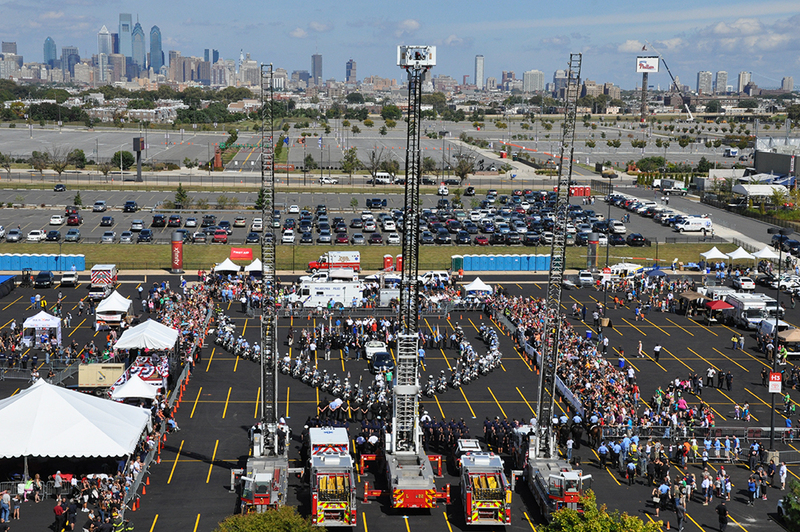 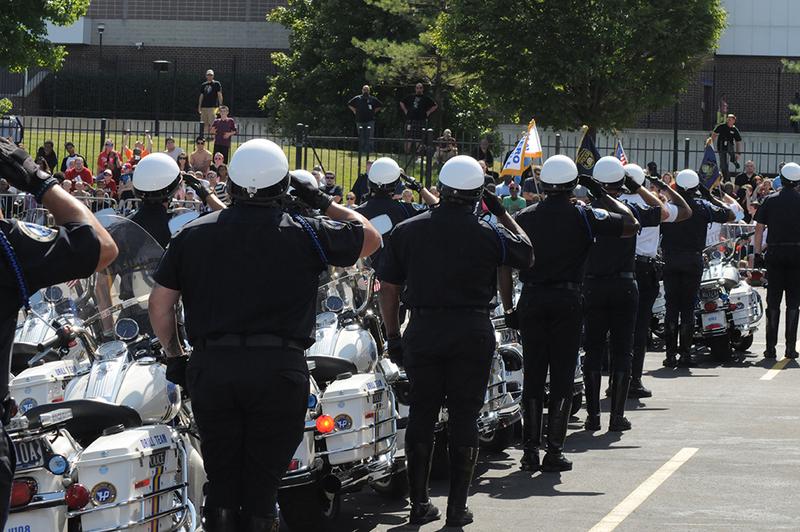 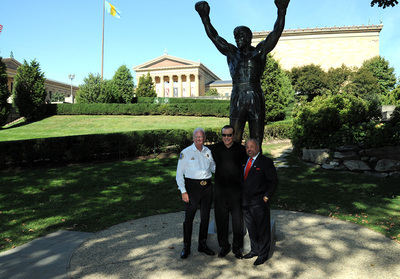 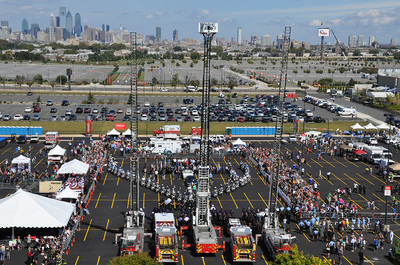 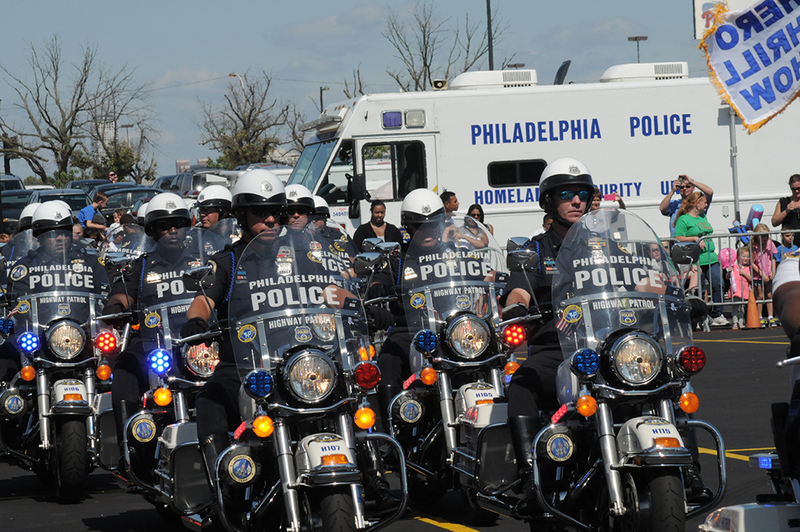 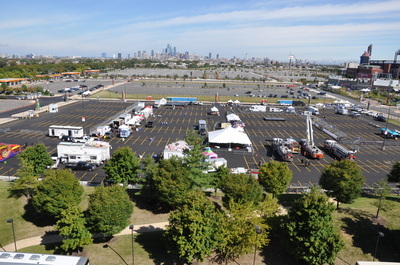 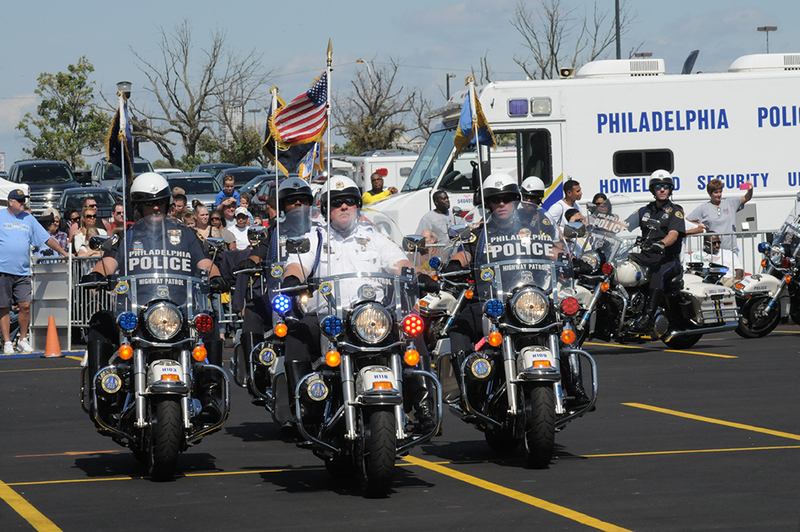 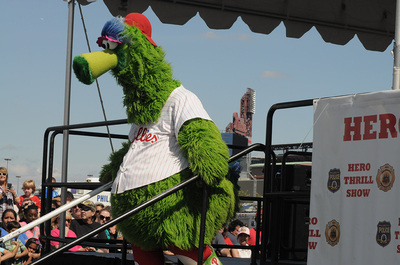 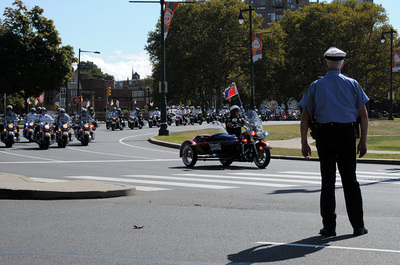 The mission of the event is simple, but topical and far-reaching: to raise money for the families of Philadelphia police officers and firefighters killed or severely disabled in the line of duty. 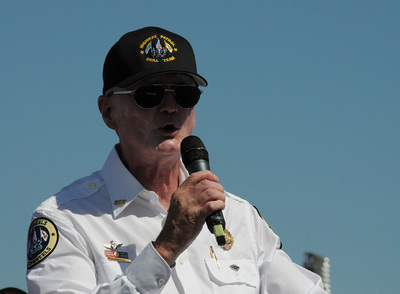 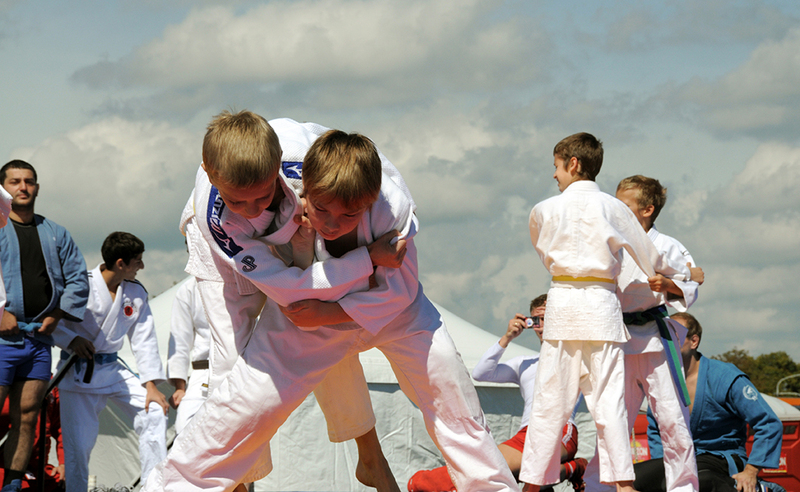 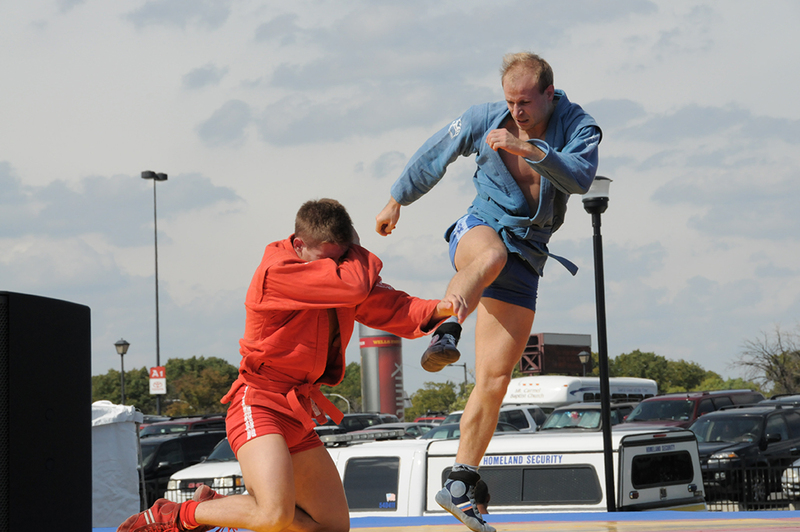 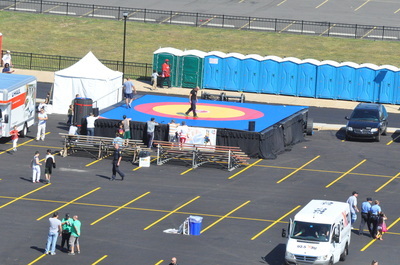 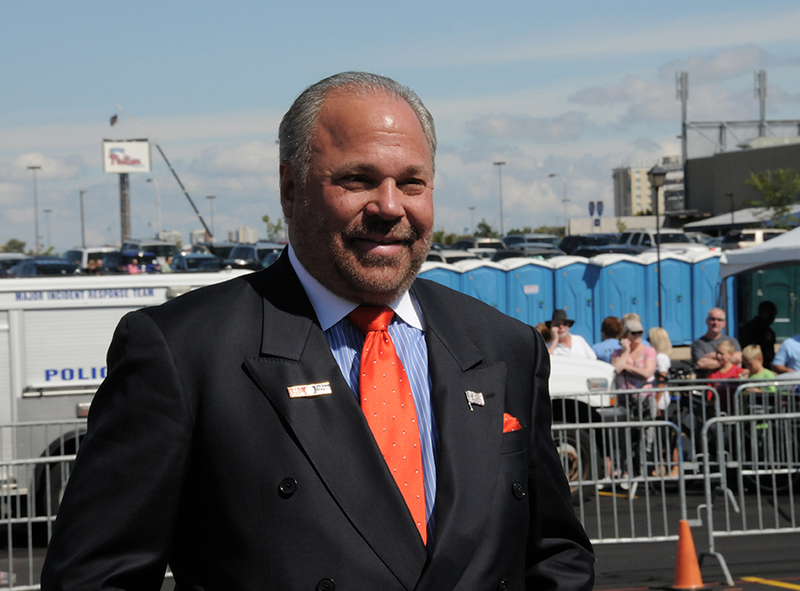 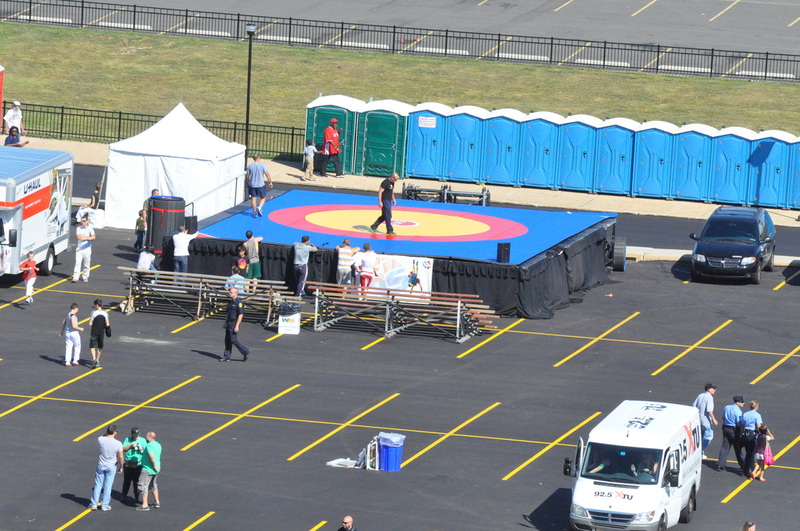 The show was closed in 2005, but restored in 2006 when James J. Binns, a lawyer in practice for about a half-century and the USA SAMBO Inc Federation President, chaired the event. 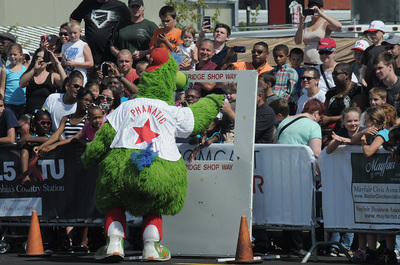 Through 19 New Year’s Day trips along Broad Street, Joseph Rapone has grown accustomed to accepting applause as a member of the Satin Slipper Fancy Brigade, 1444 S. Second St. 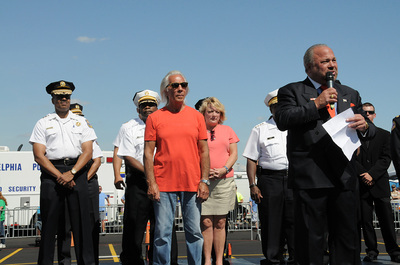 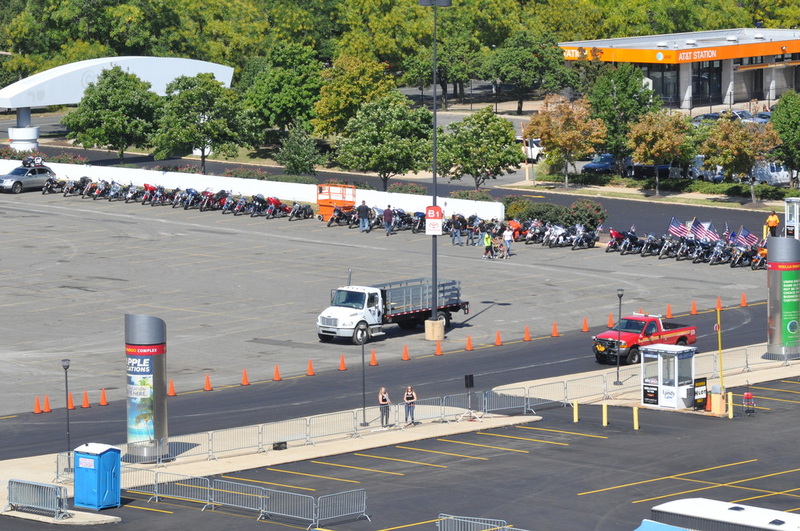 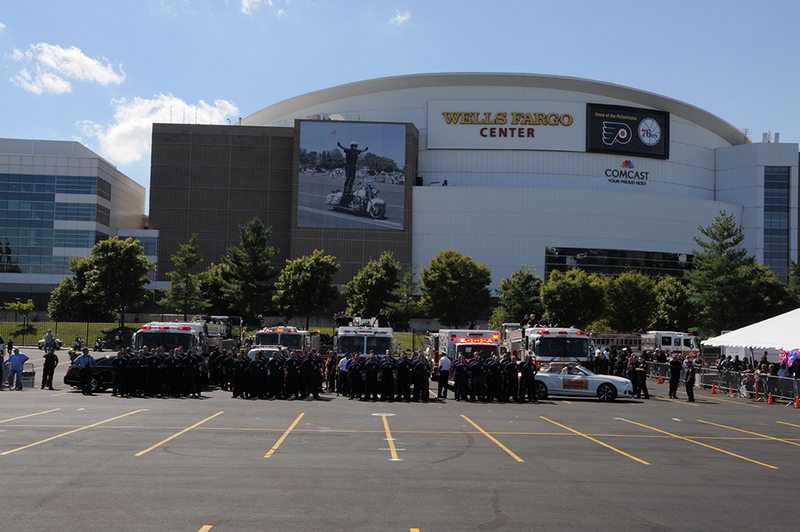 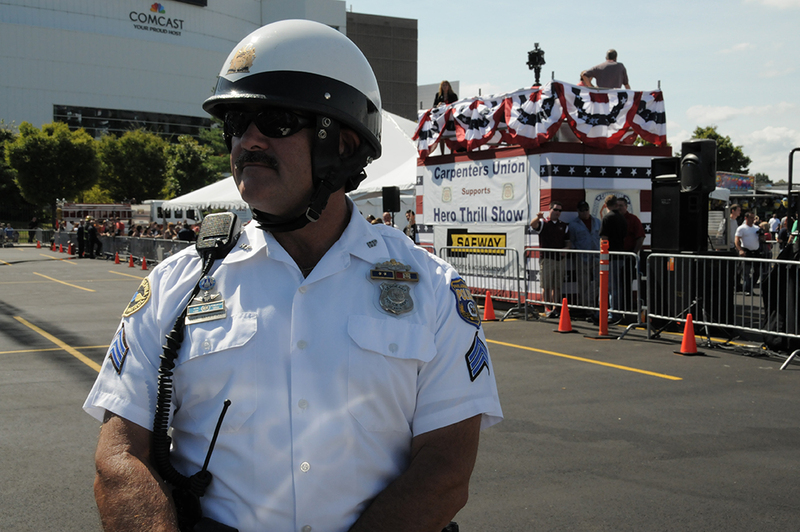 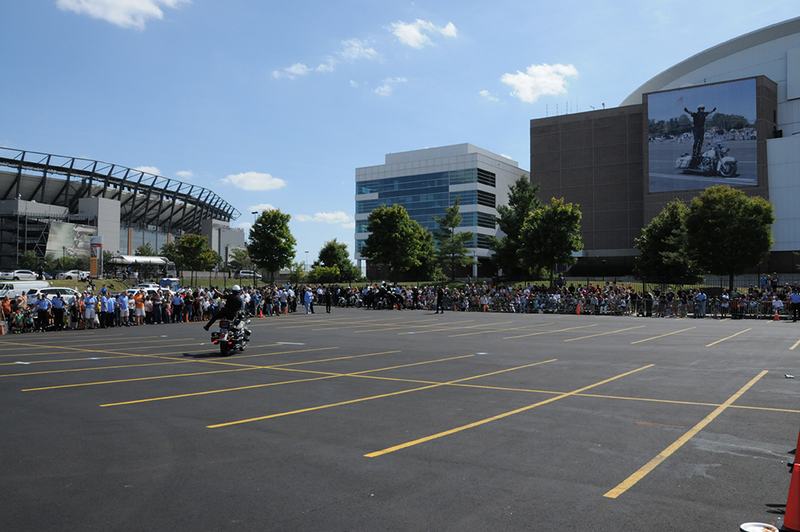 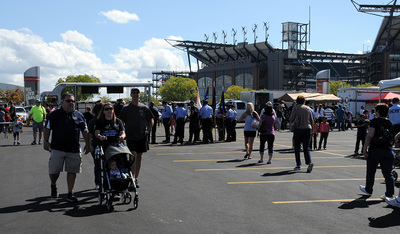 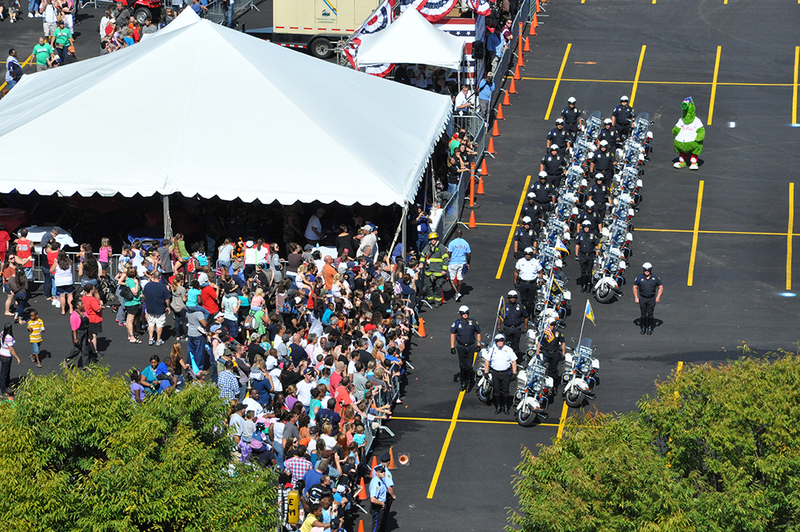 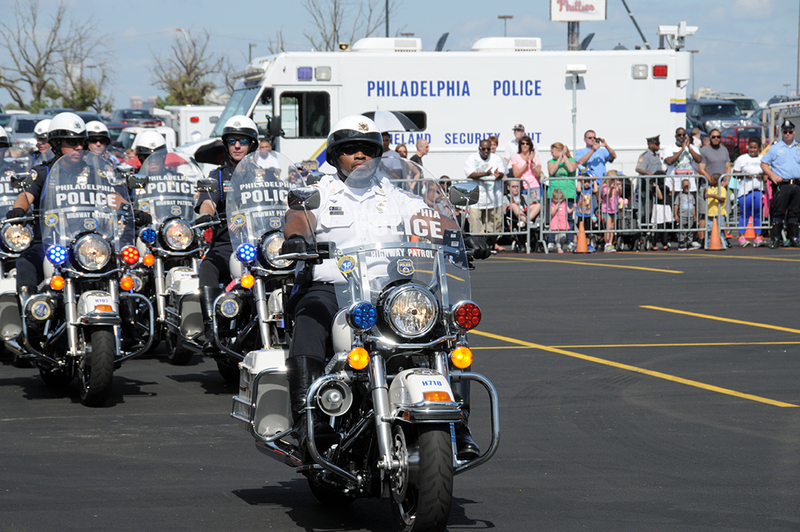 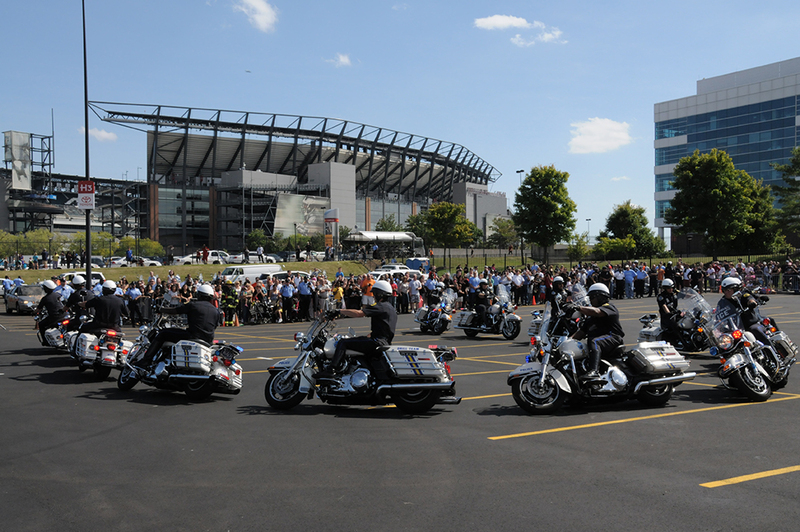 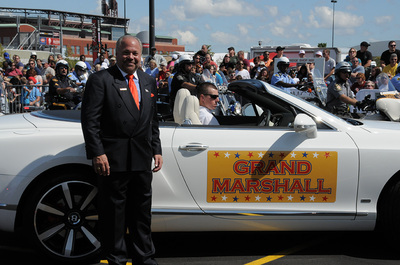 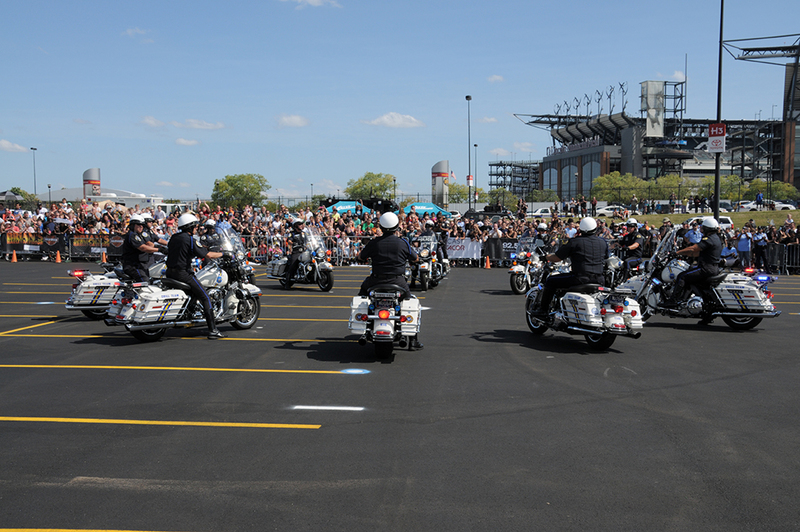 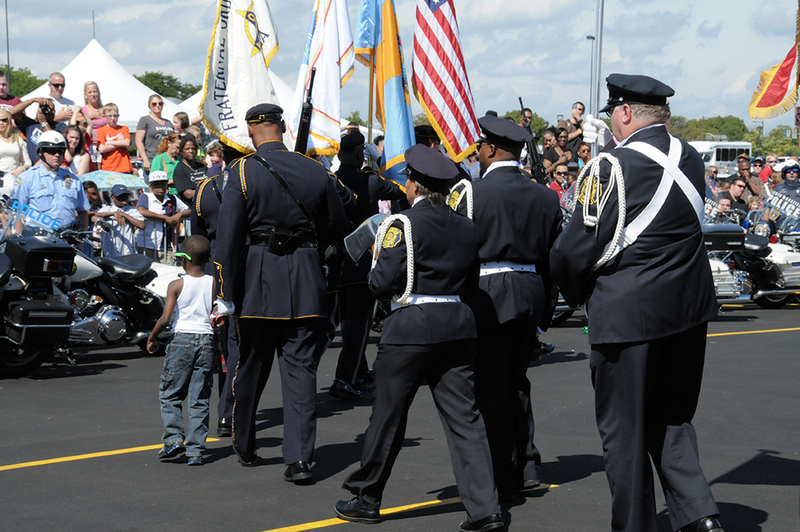 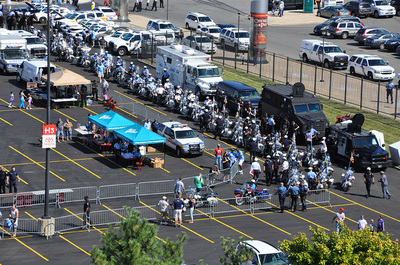 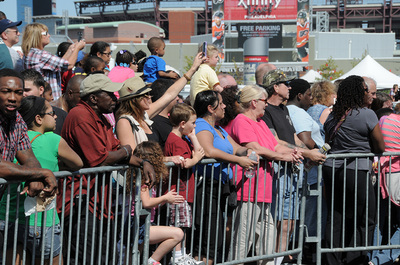 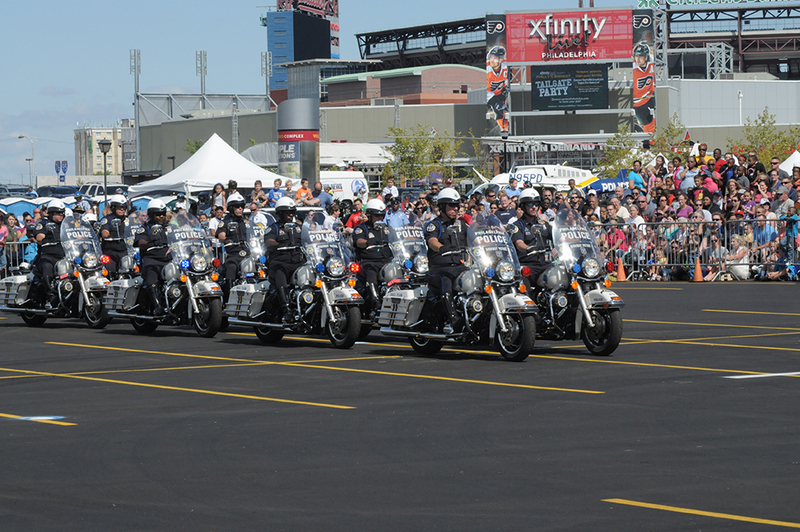 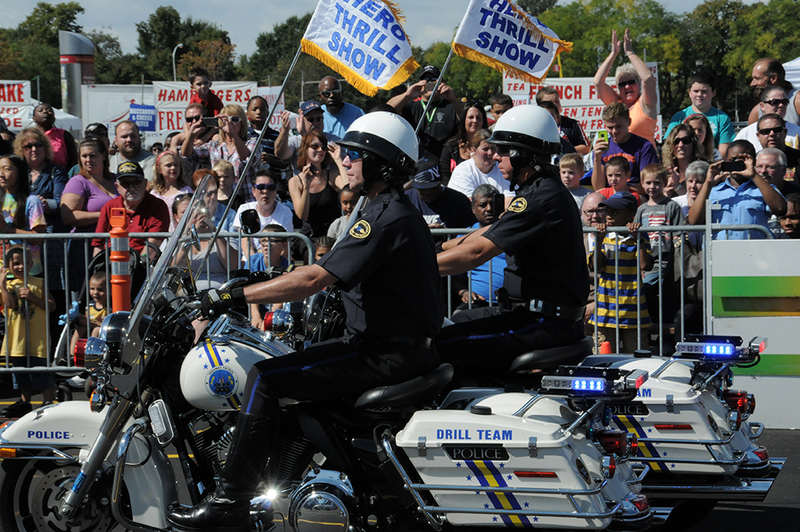 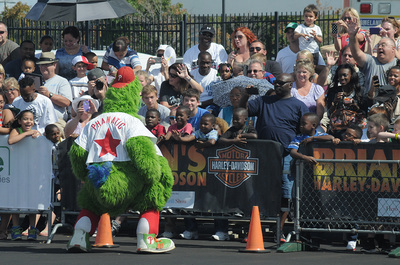 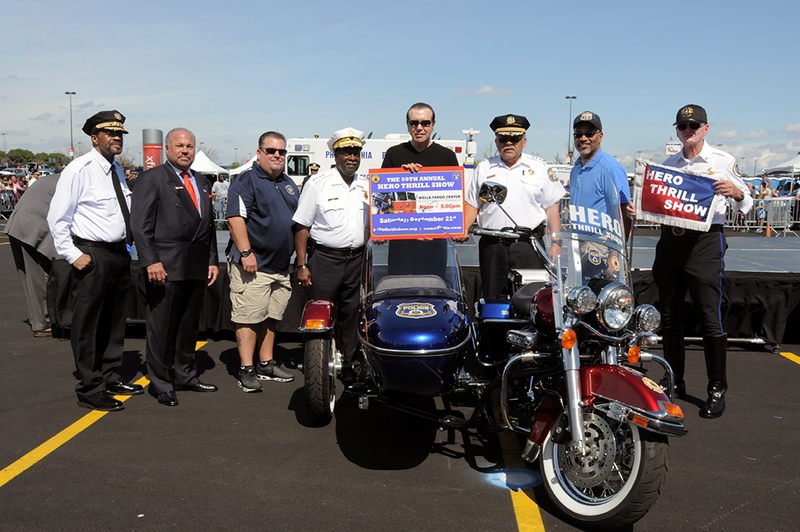 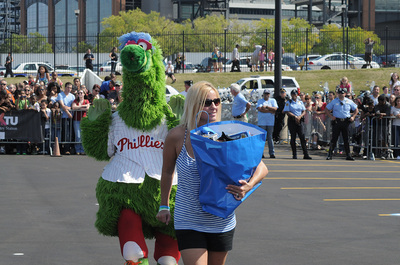 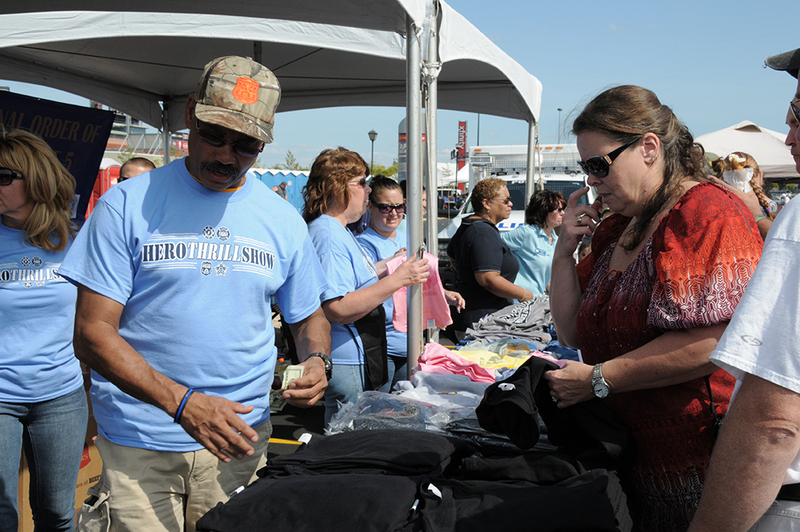 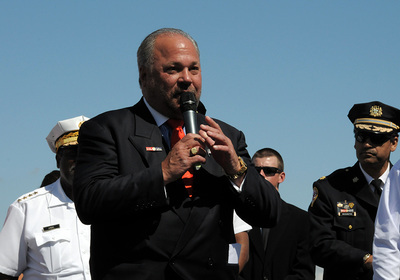 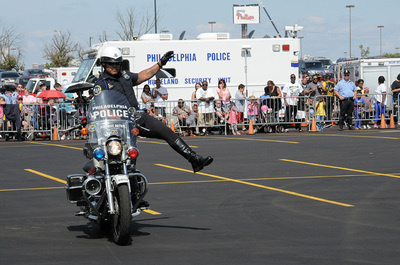 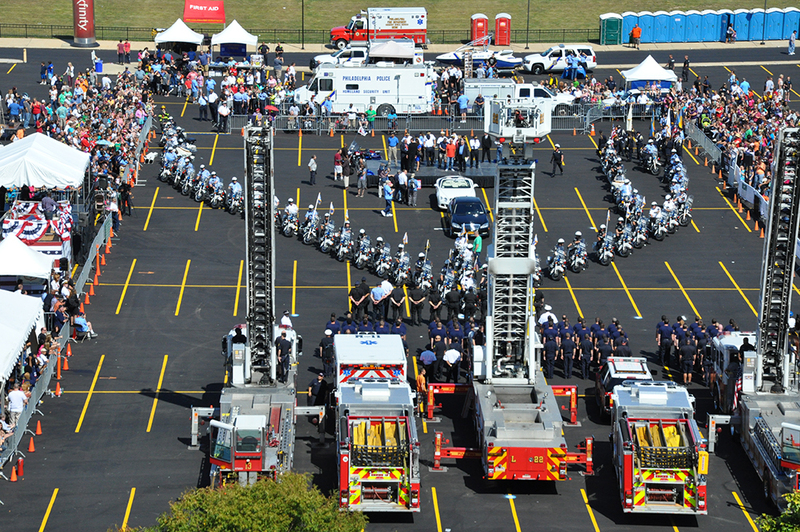 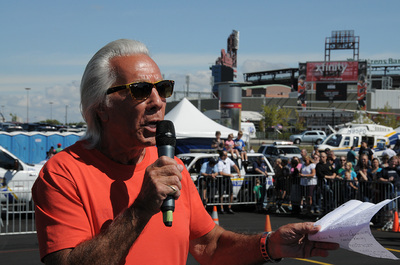 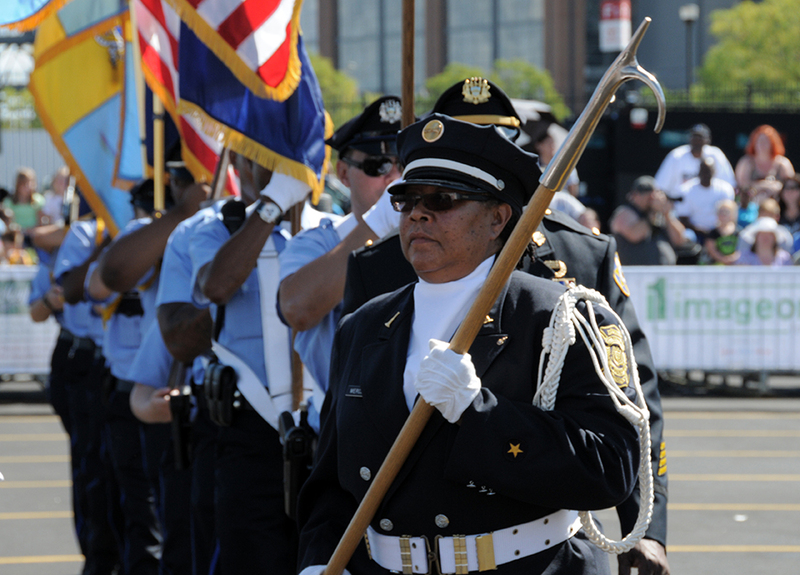 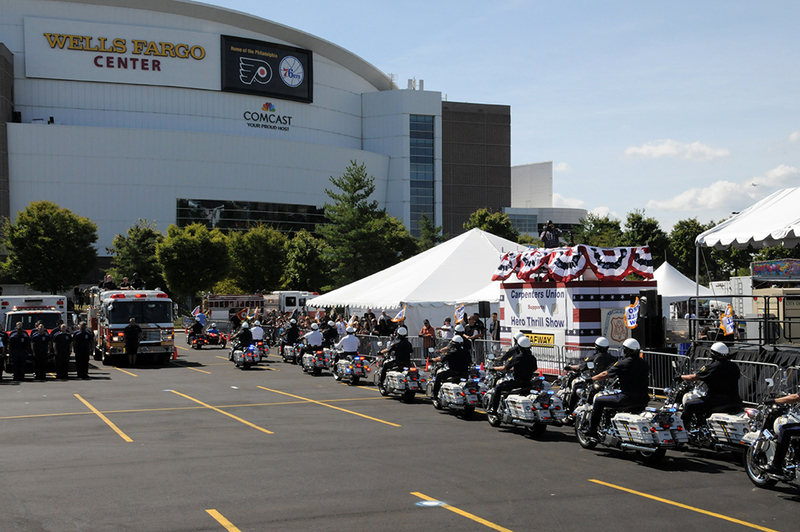 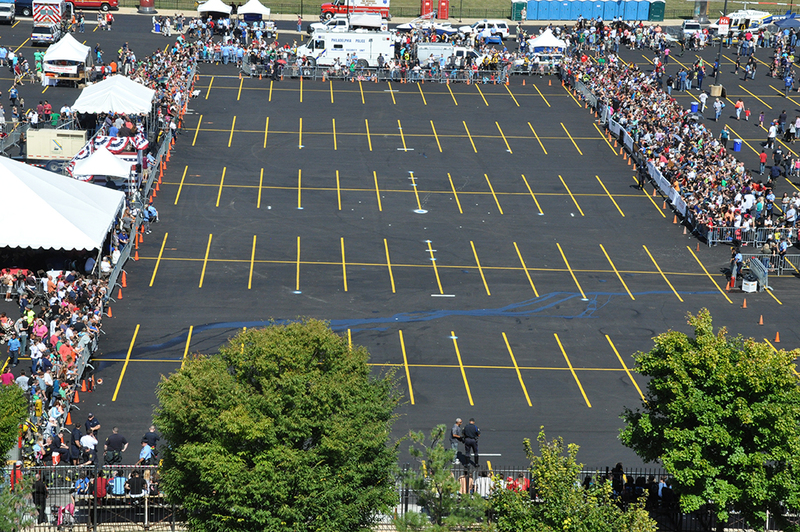 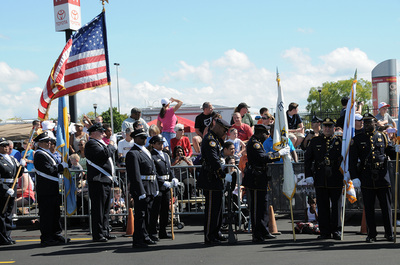 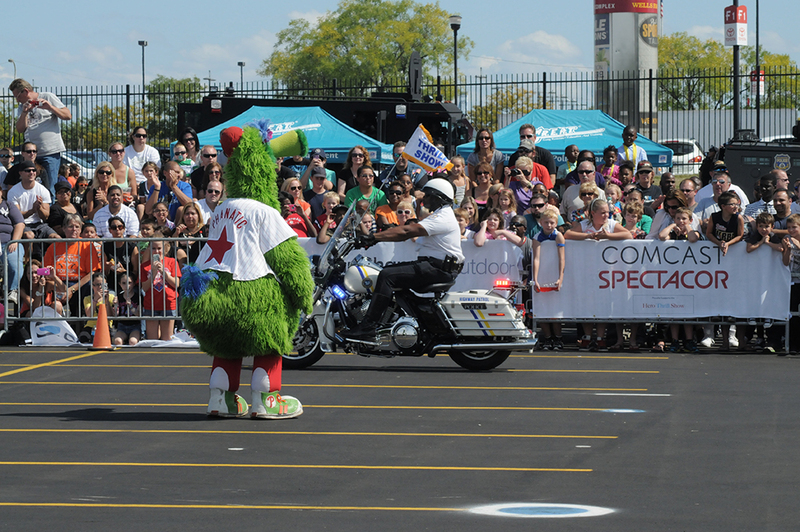 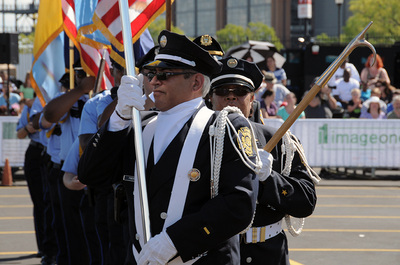 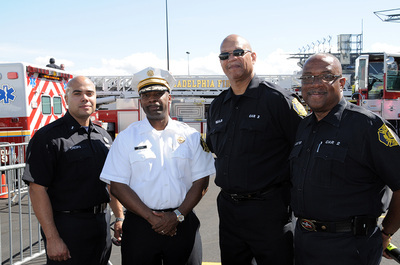 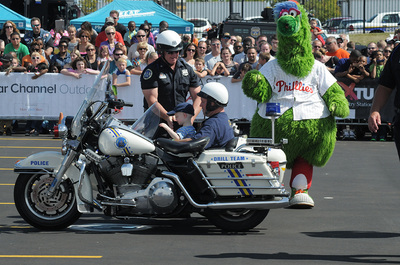 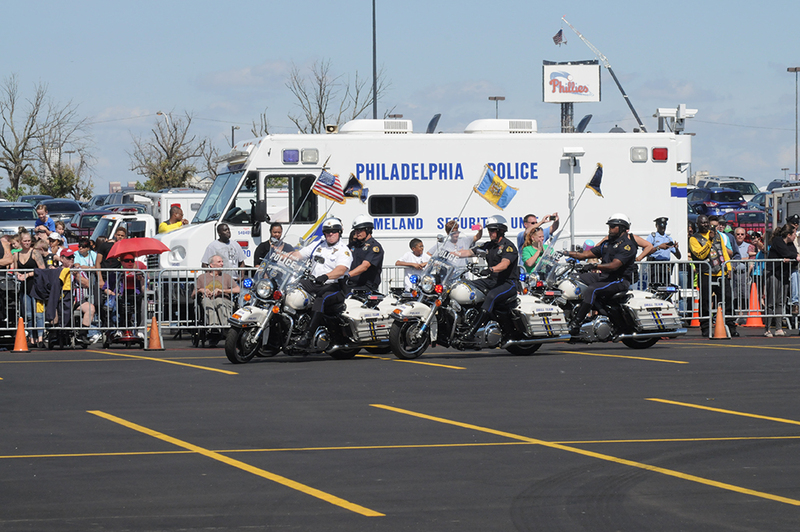 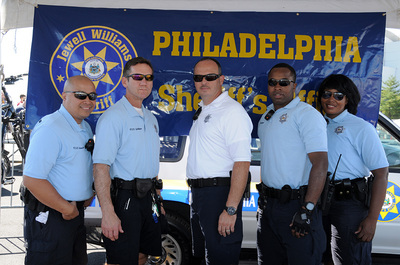 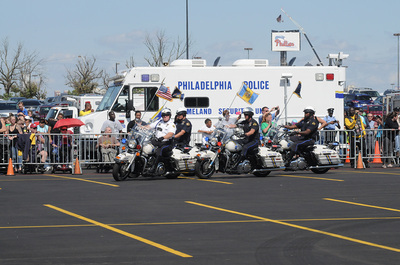 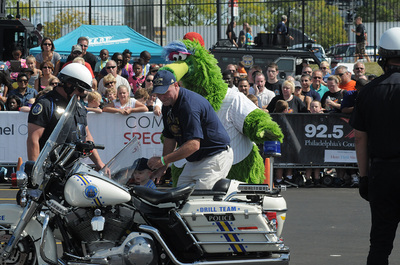 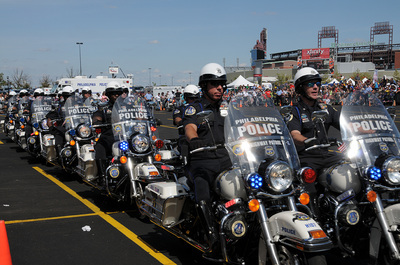 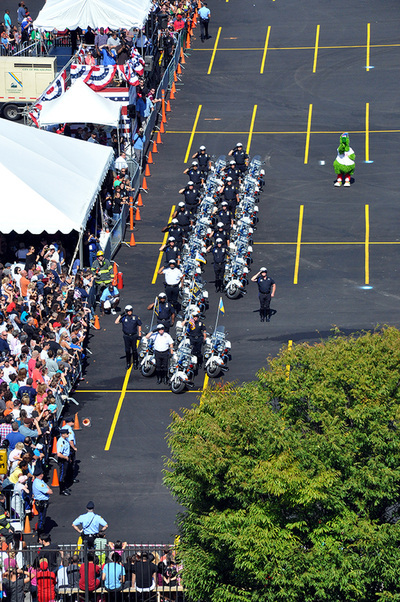 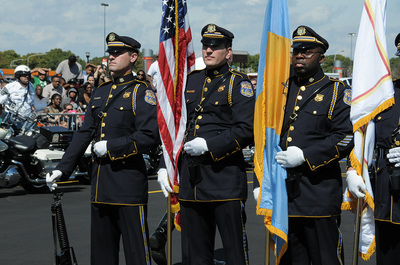 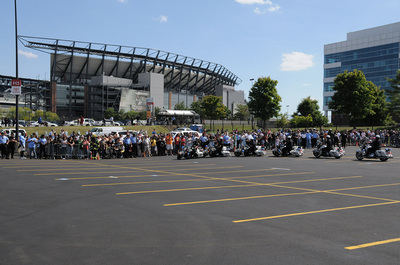 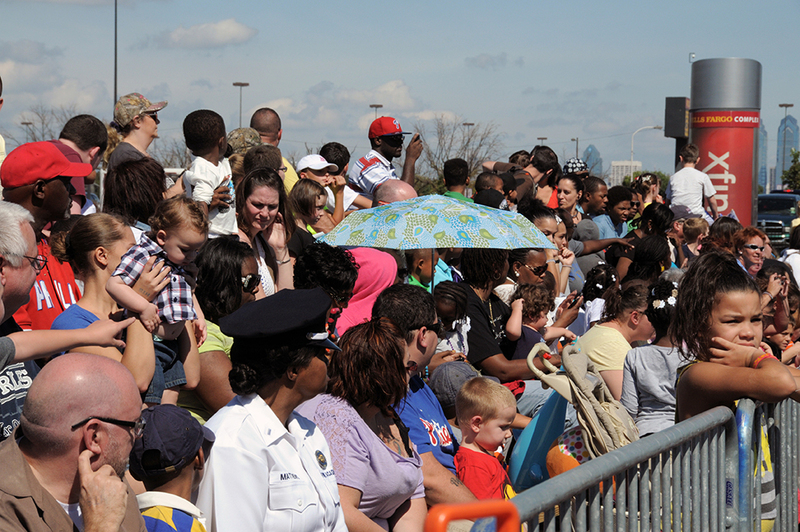 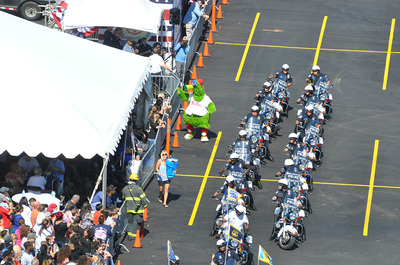 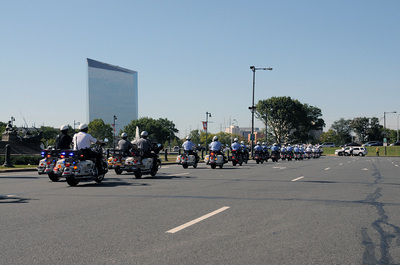 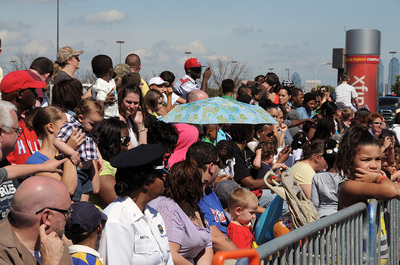 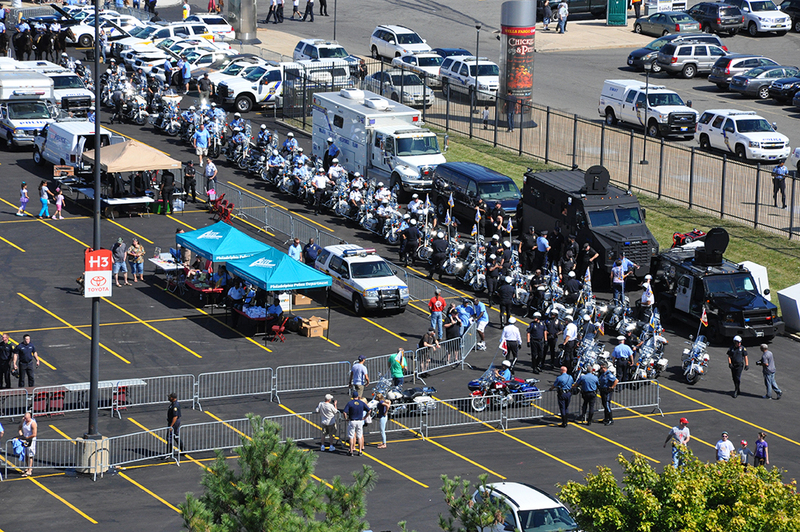 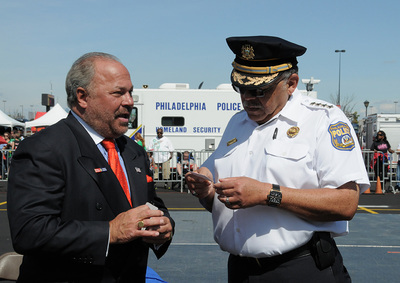 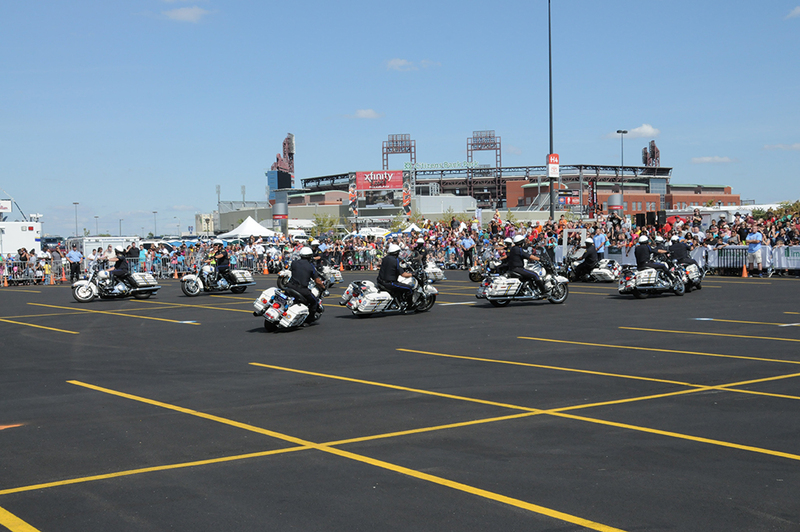 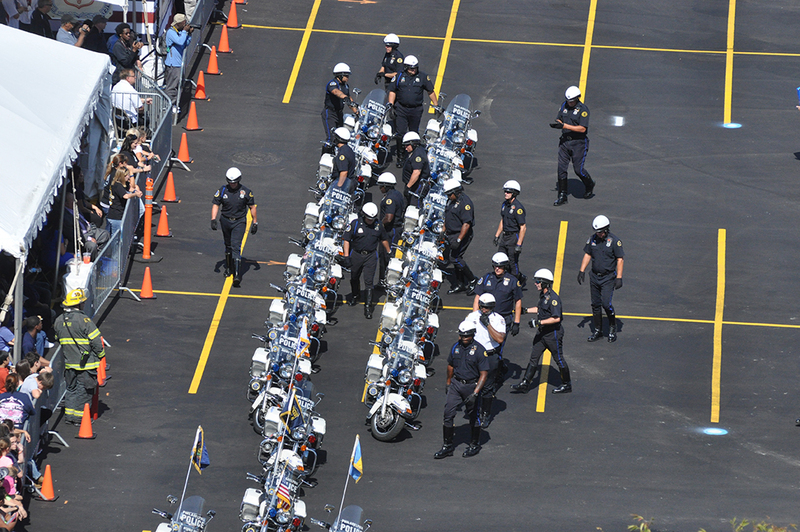 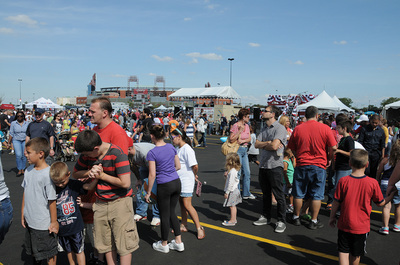 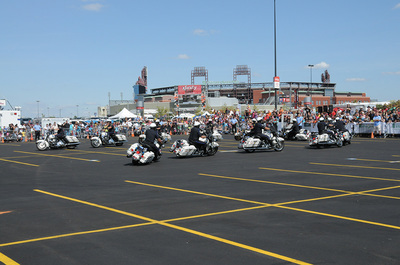 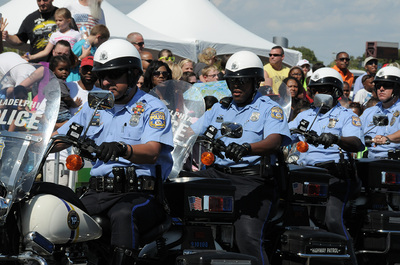 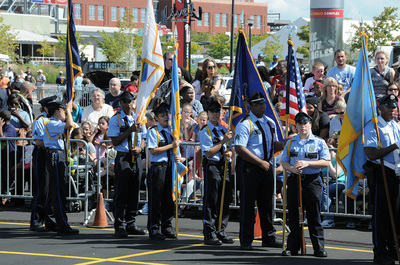 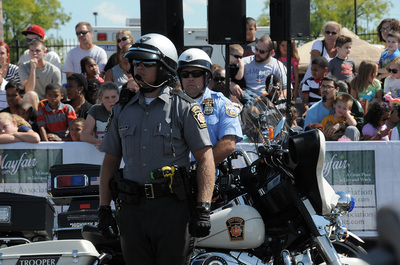 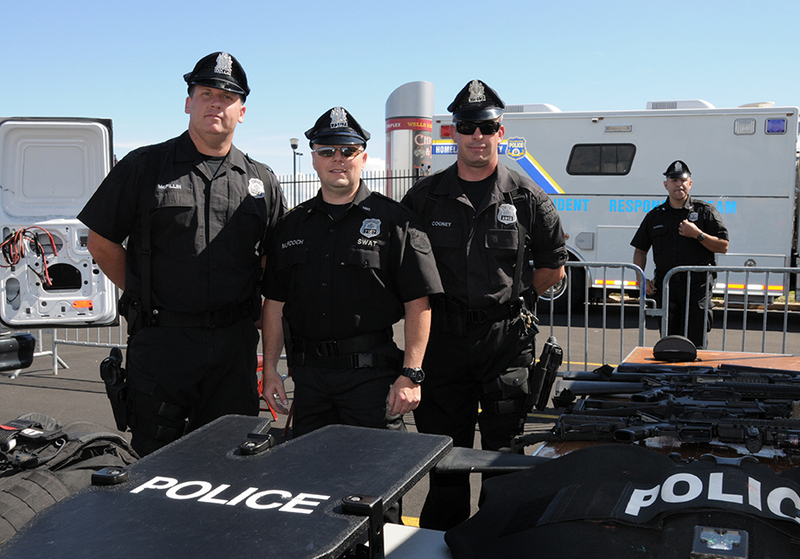 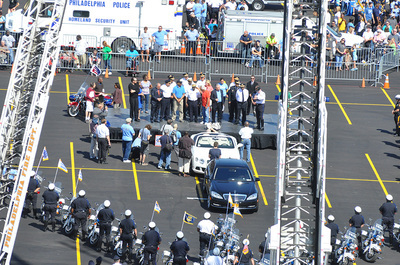 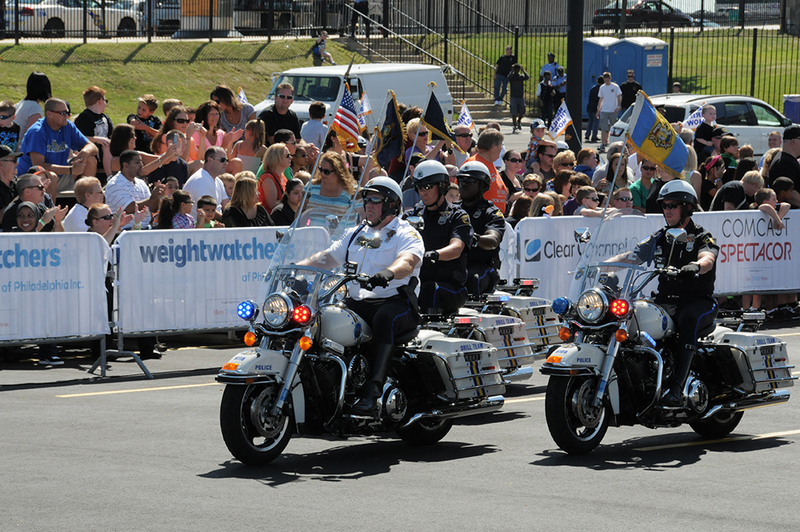 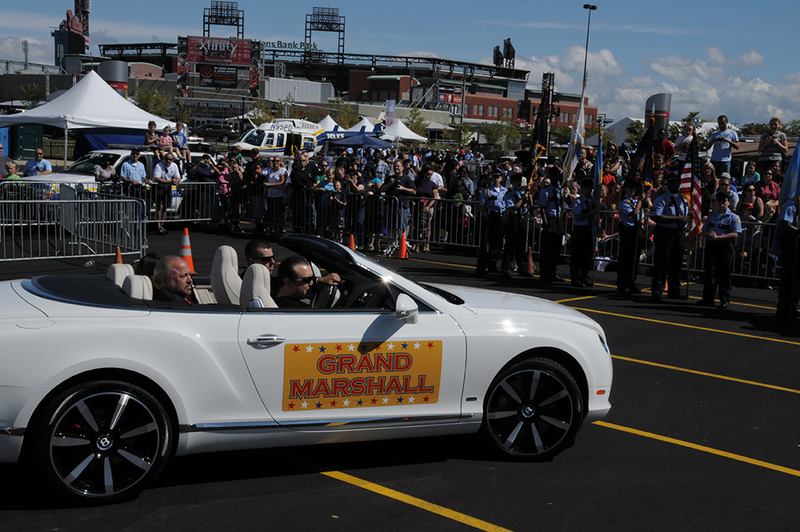 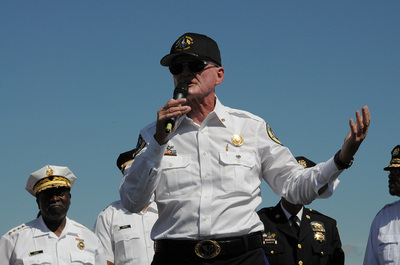 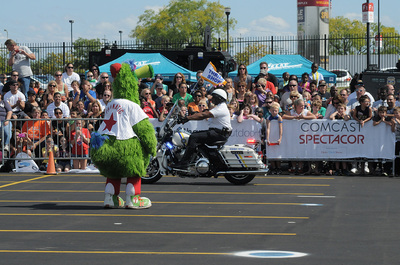 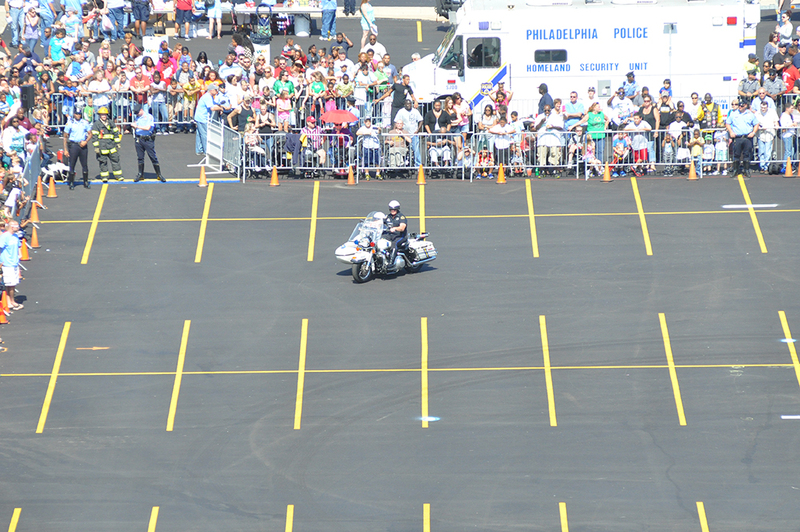 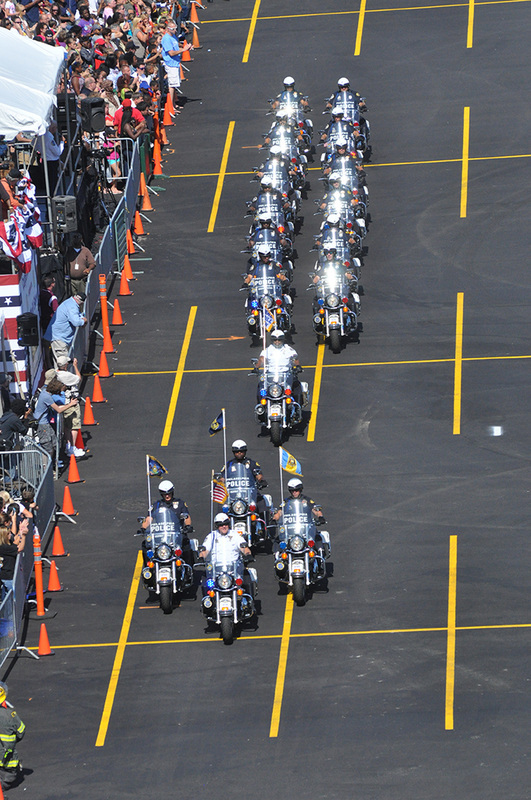 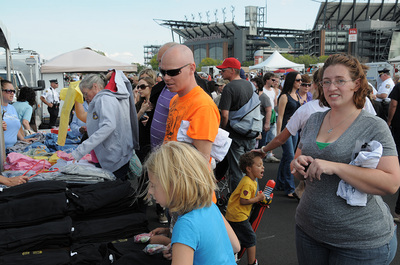 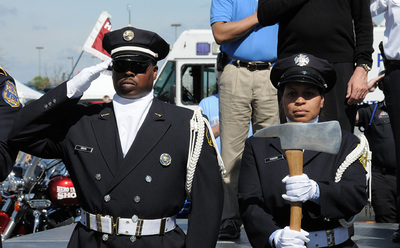 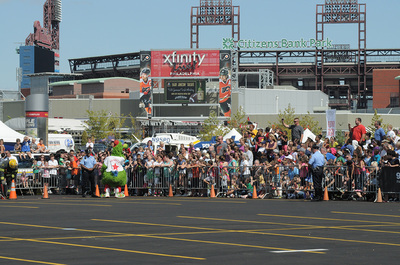 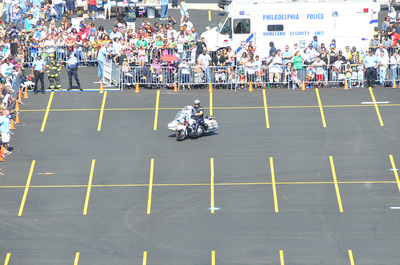 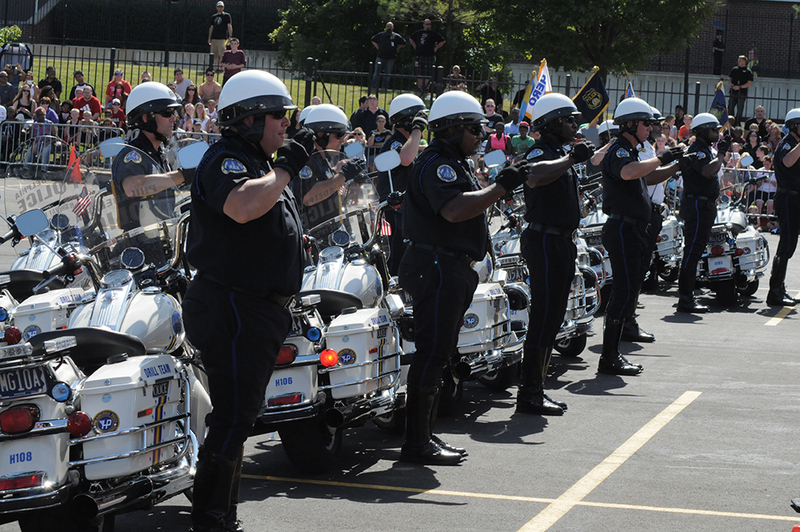 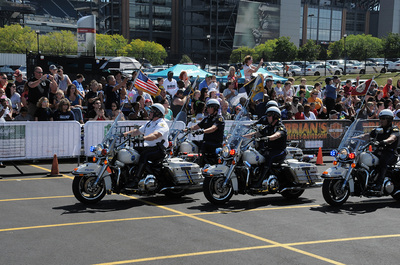 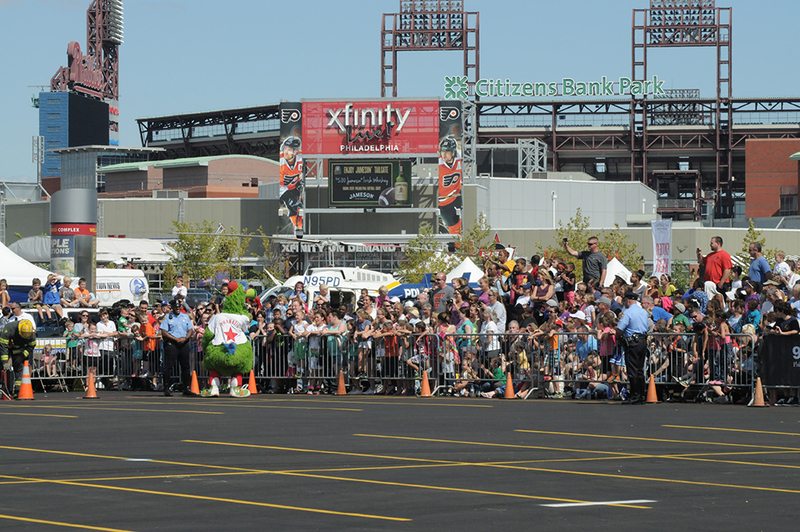 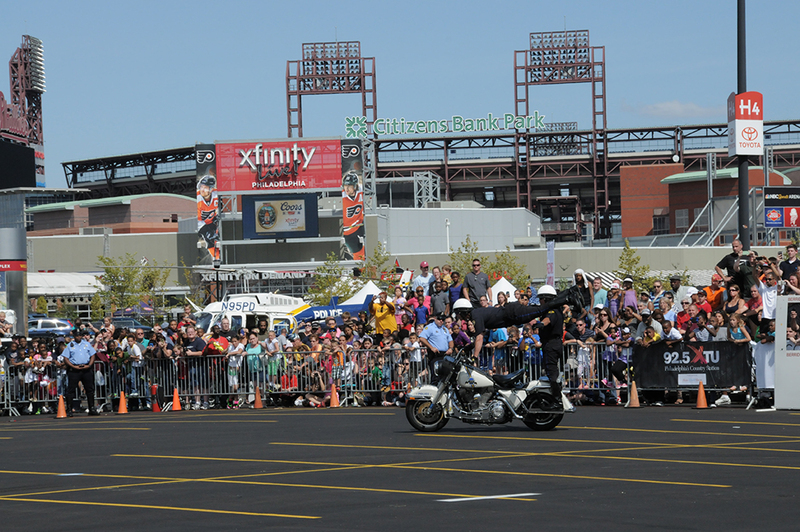 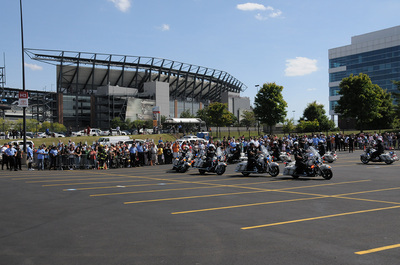 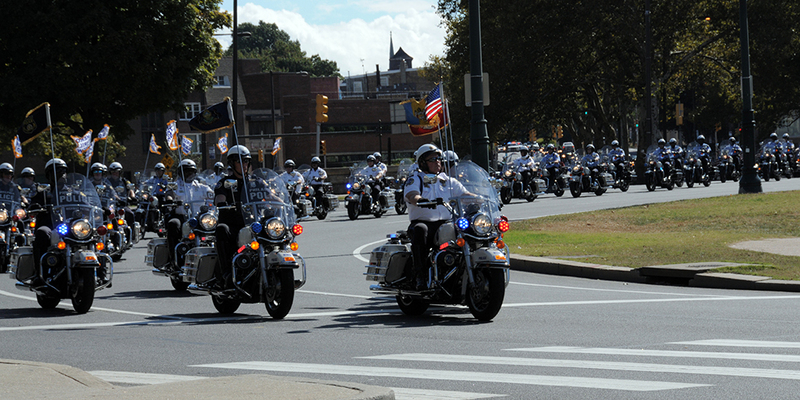 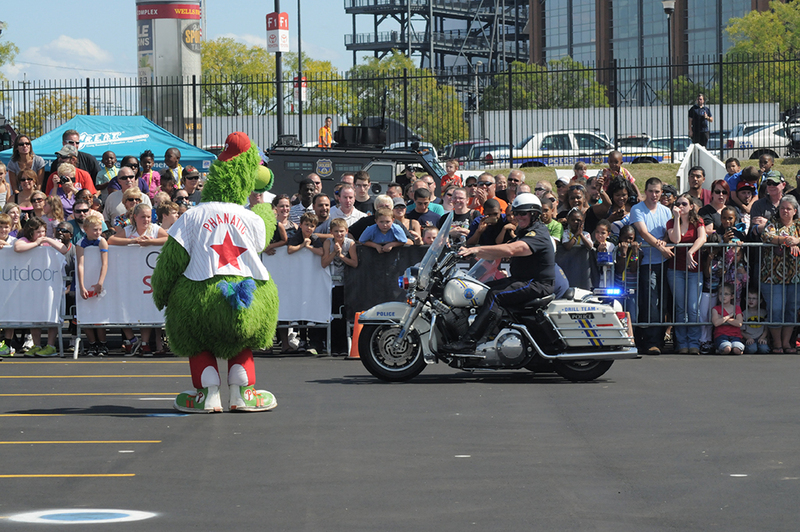 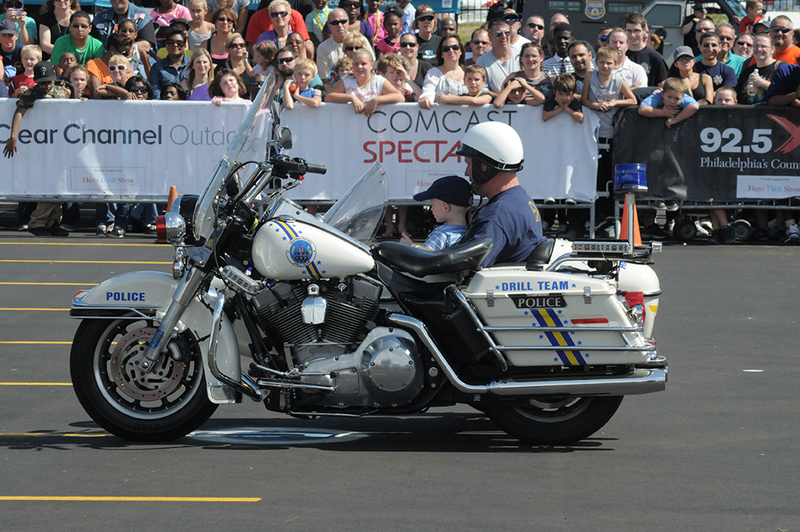 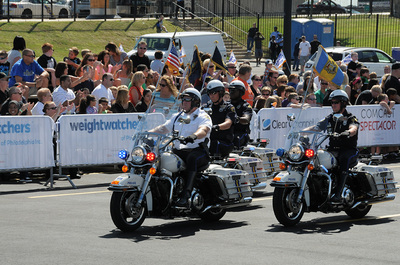 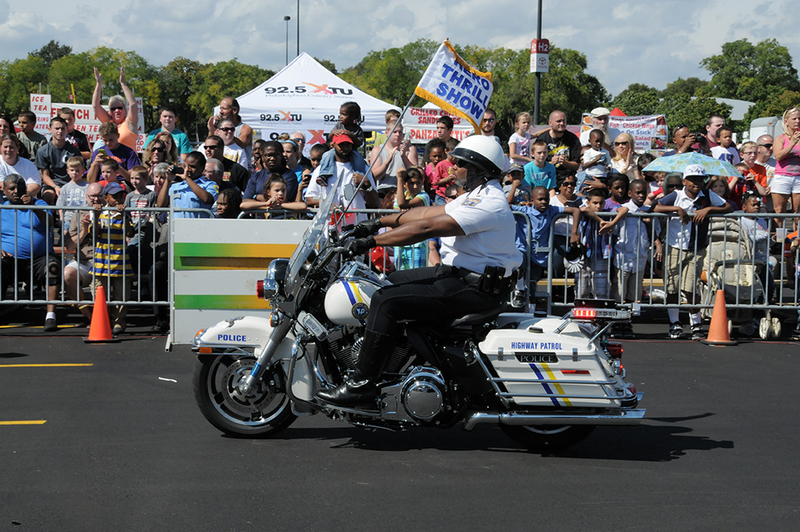 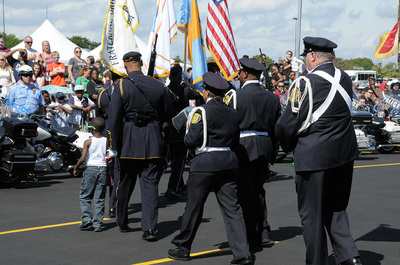 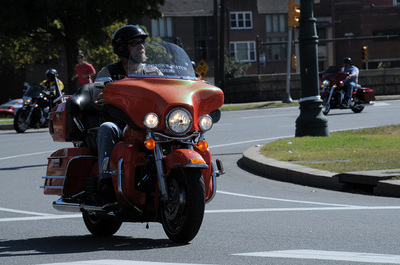 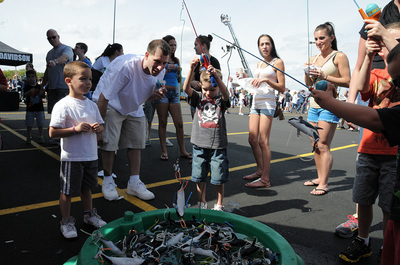 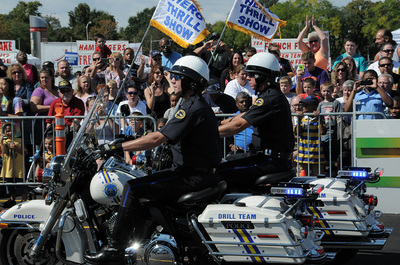 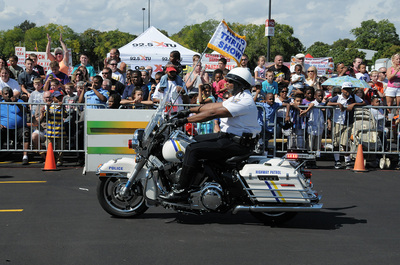 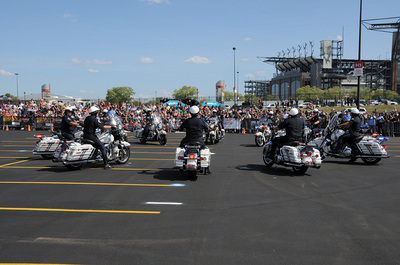 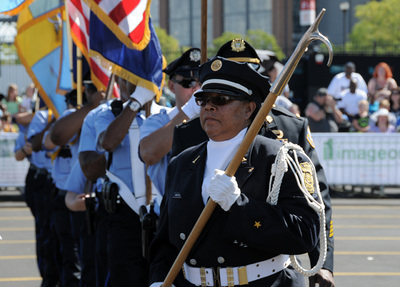 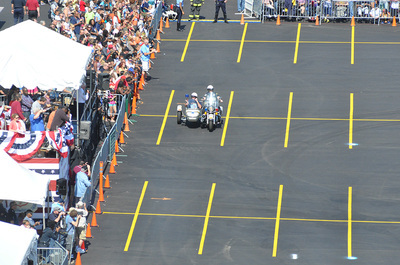 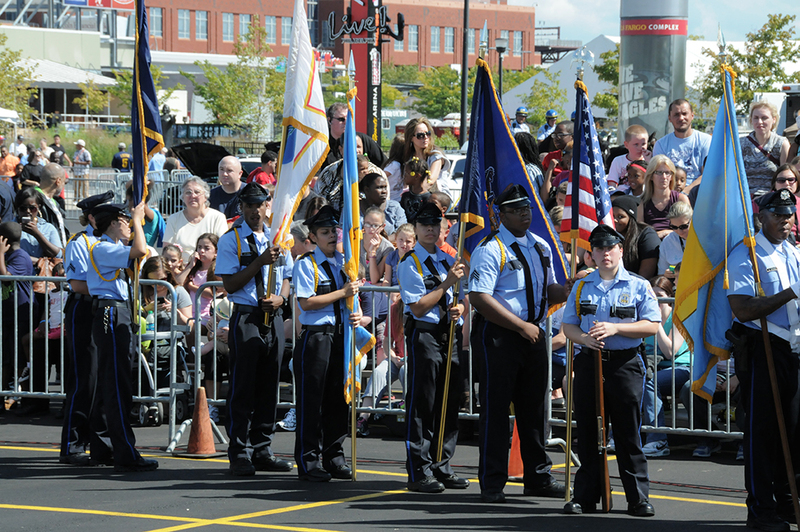 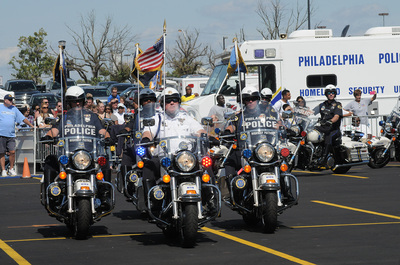 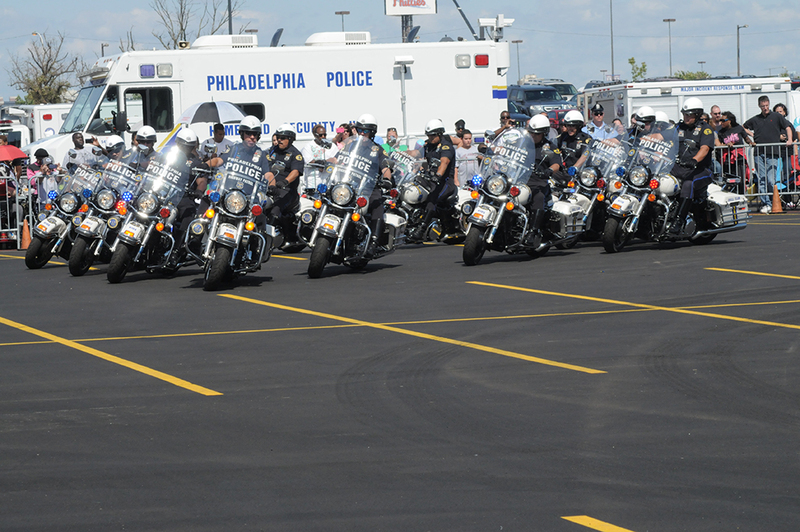 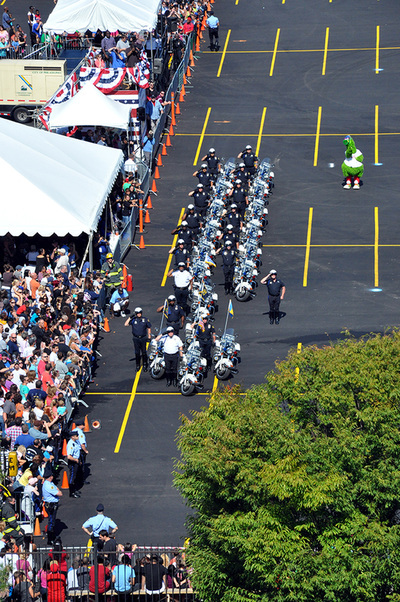 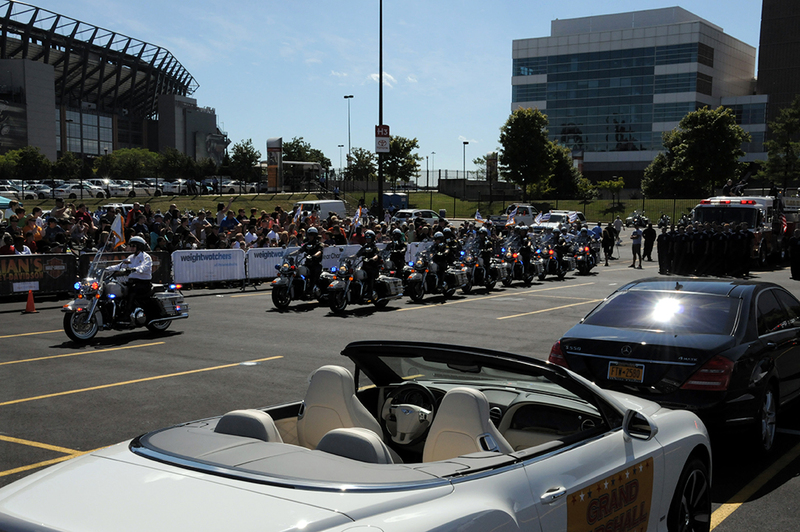 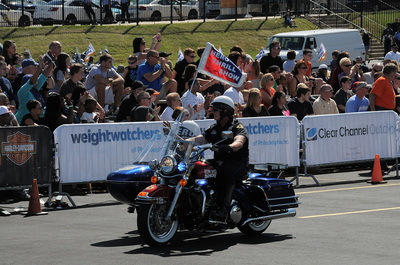 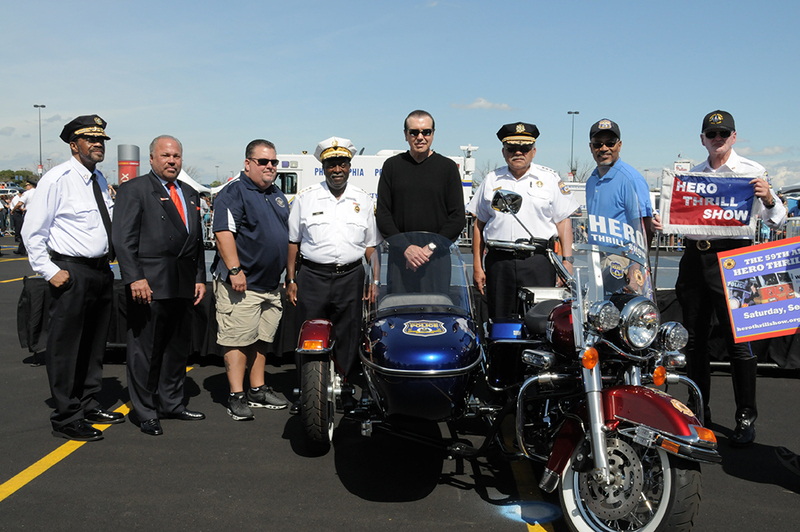 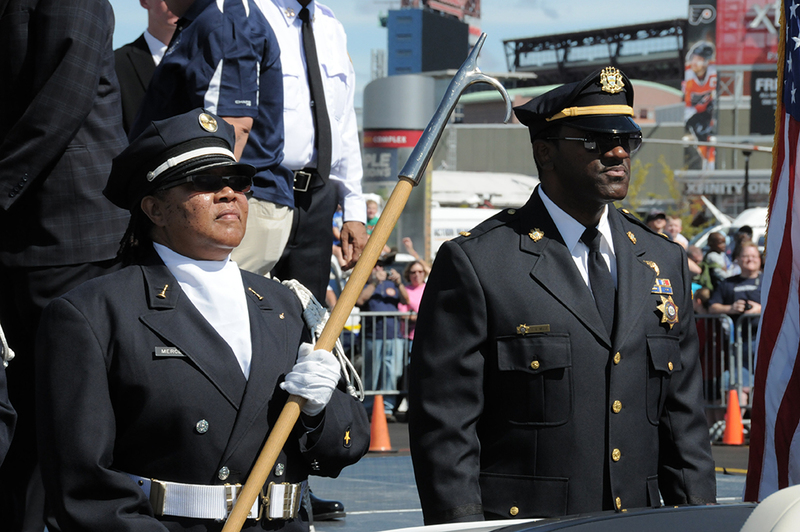 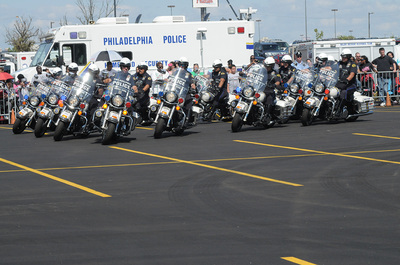 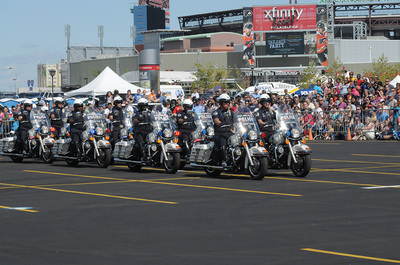 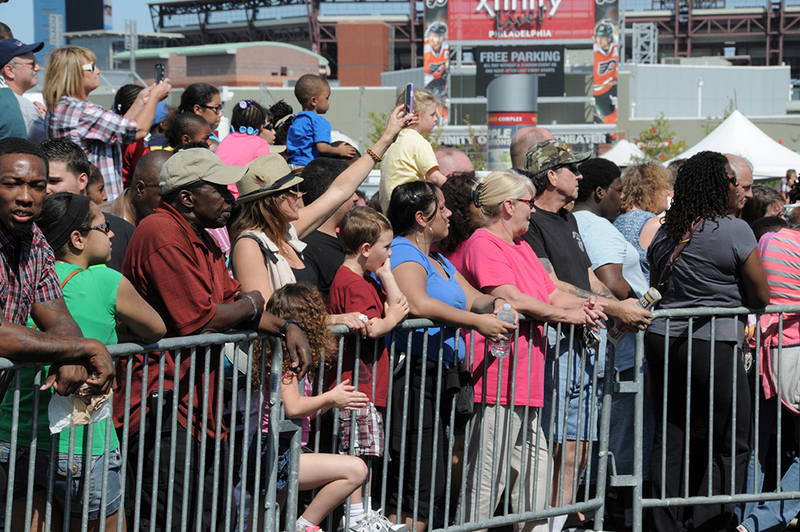 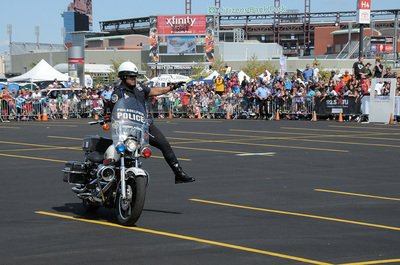 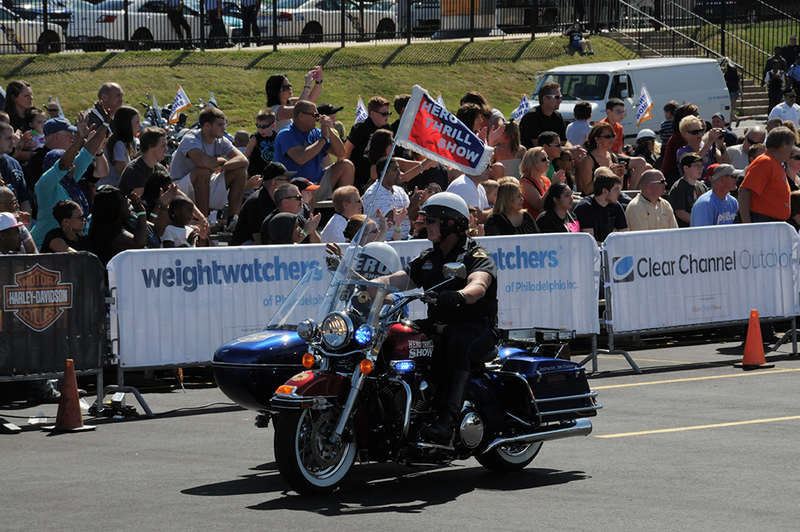 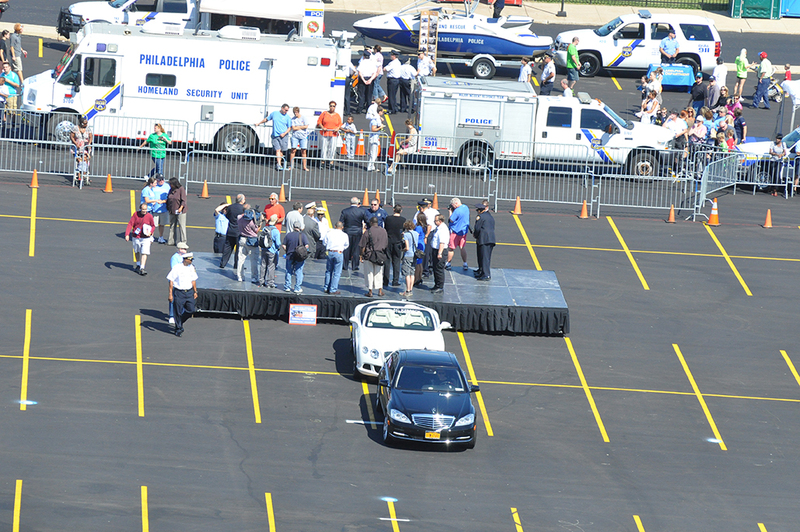 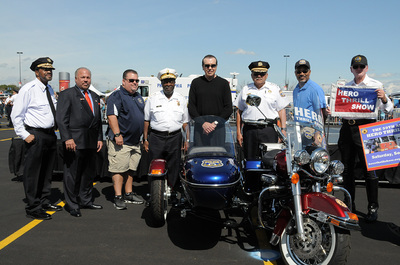 While he has enjoyed collecting kudos, he derives more joy out of bestowing it and will blend his penchants for performing and praising Saturday when he and his highway patrol motorcycle drill team peers participate in the 59th annual Hero Thrill Show in the Wells Fargo Center parking lot, 3601 S. Broad St.
PHILADELPHIA (CBS) – Thousands gathered outside the Wells Fargo Center Saturday to watch motorcycle drill teams , police K-9 units and fire department perform at the 59th annual Hero Thrill Show. 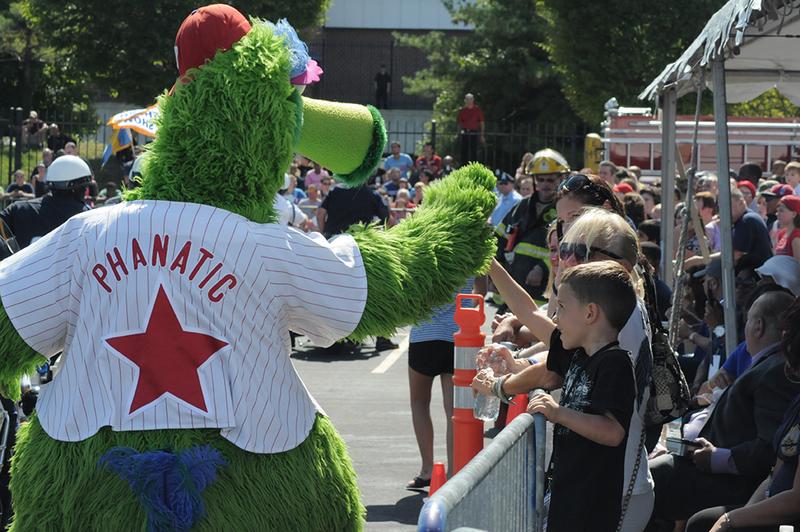 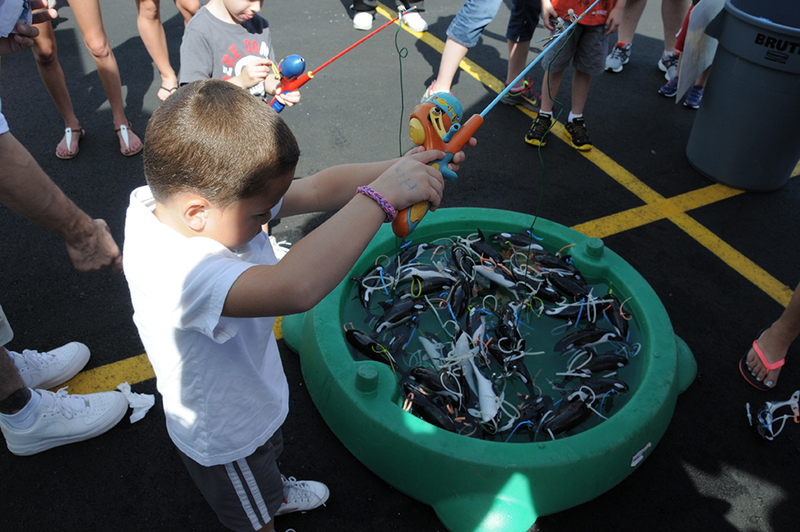 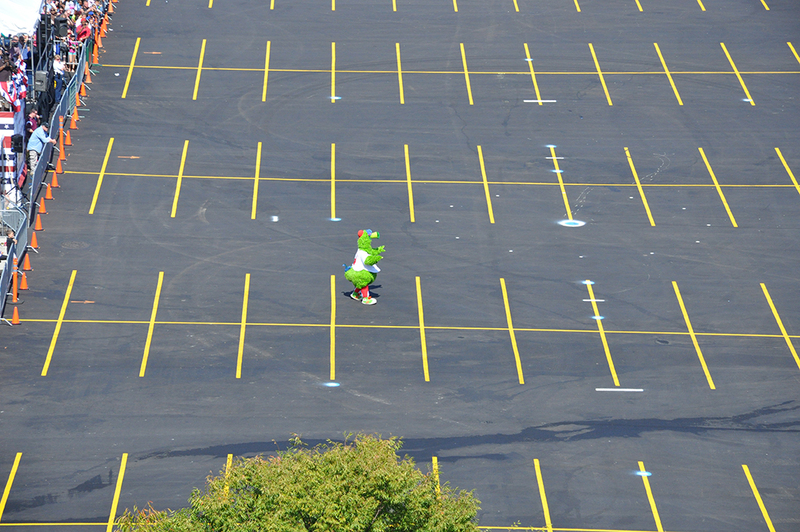 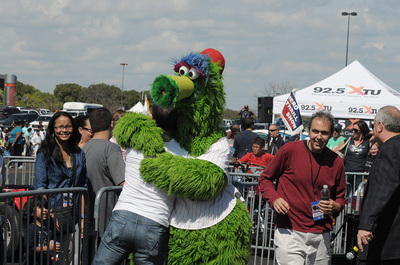 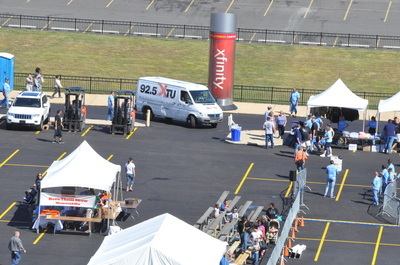 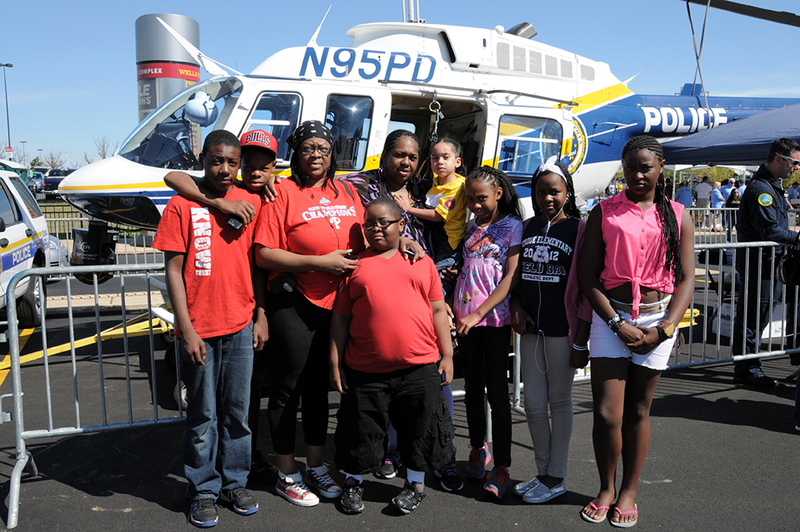 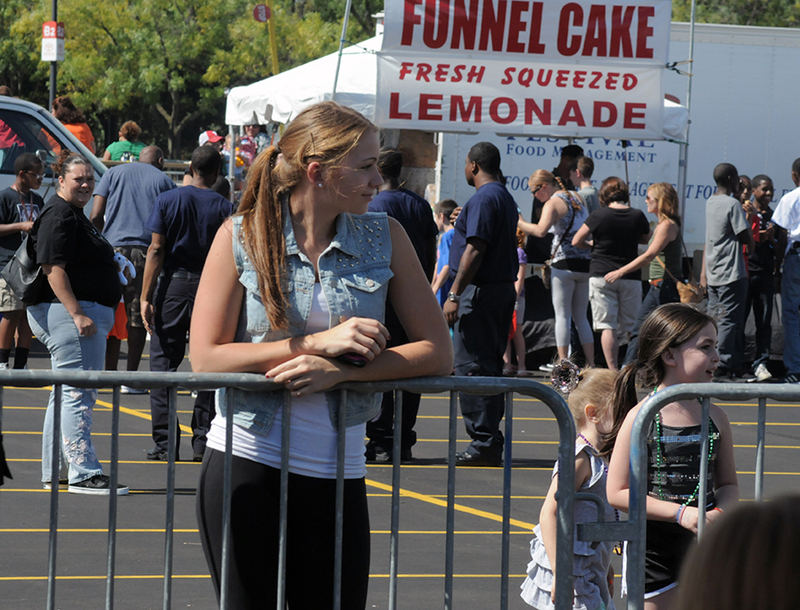 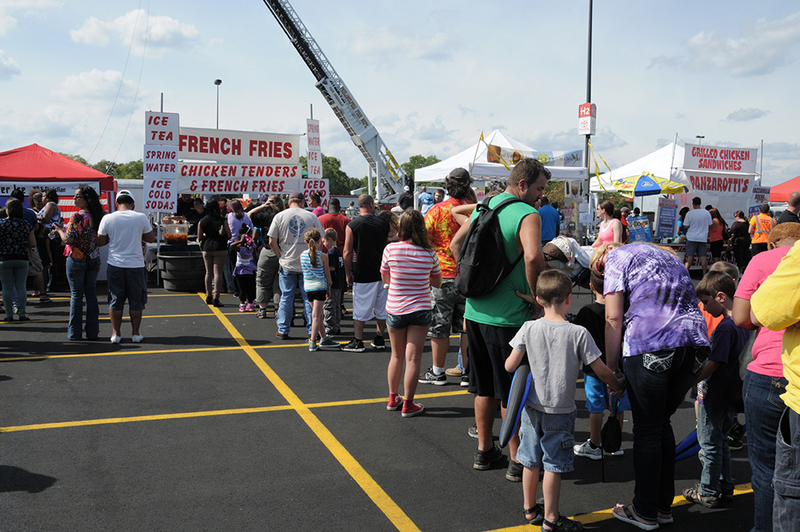 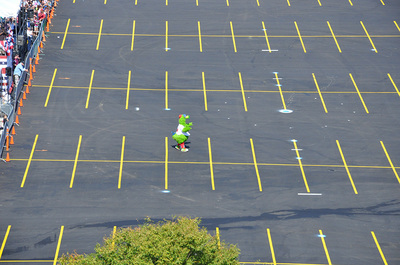 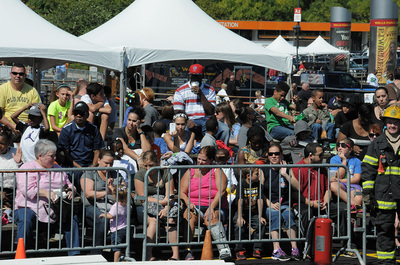 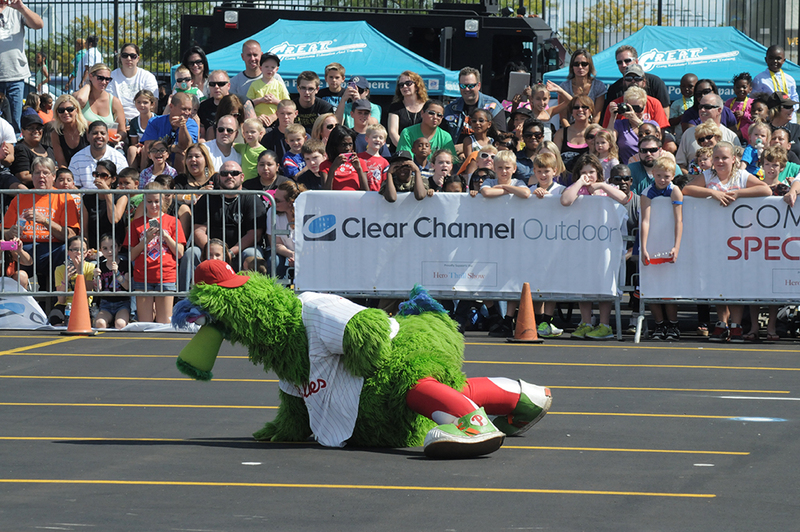 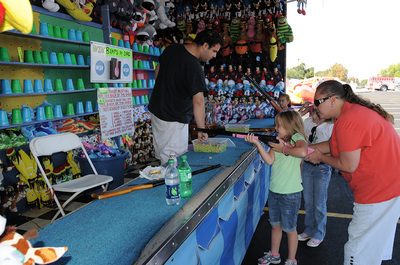 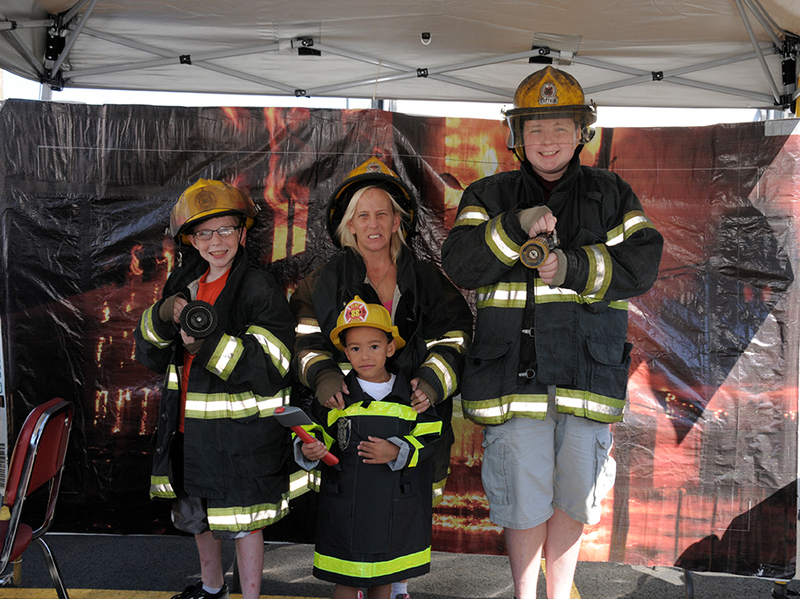 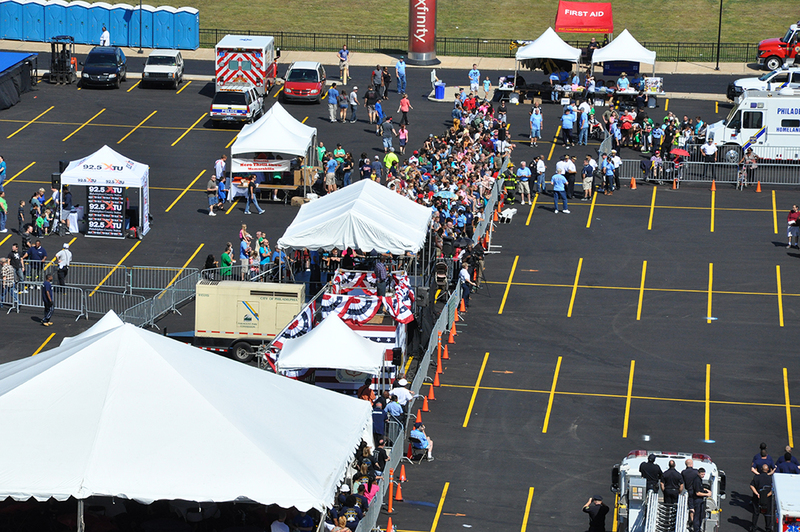 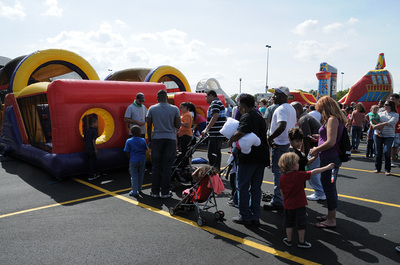 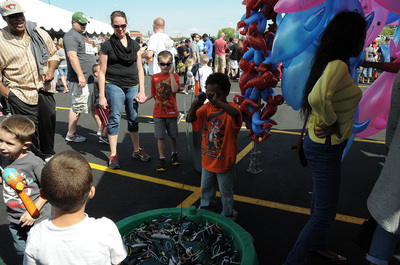 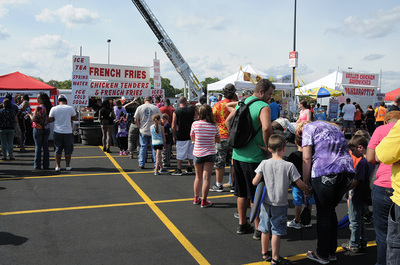 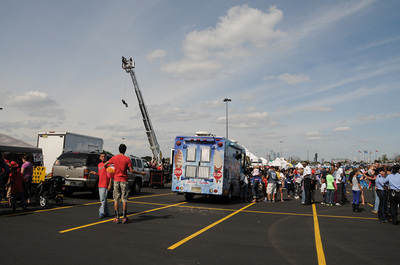 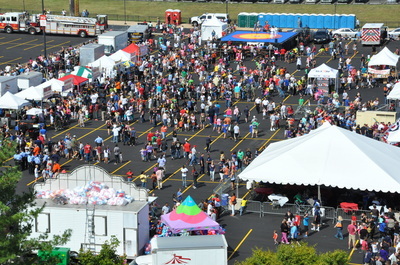 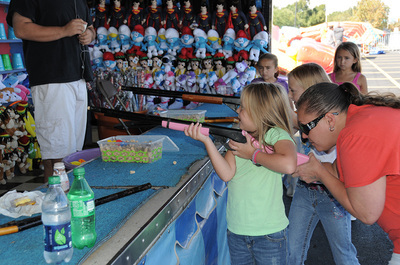 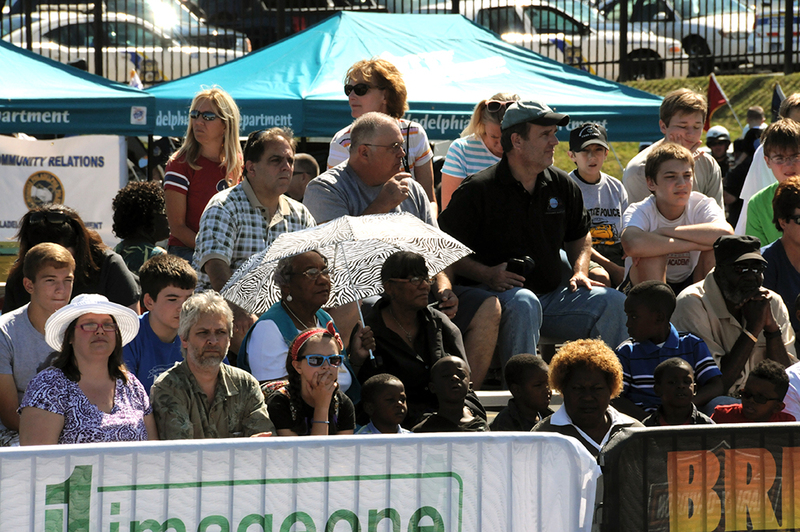 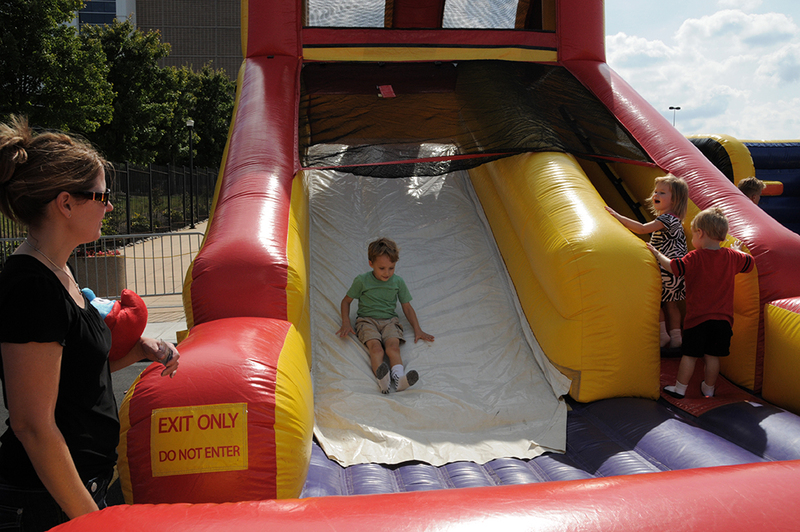 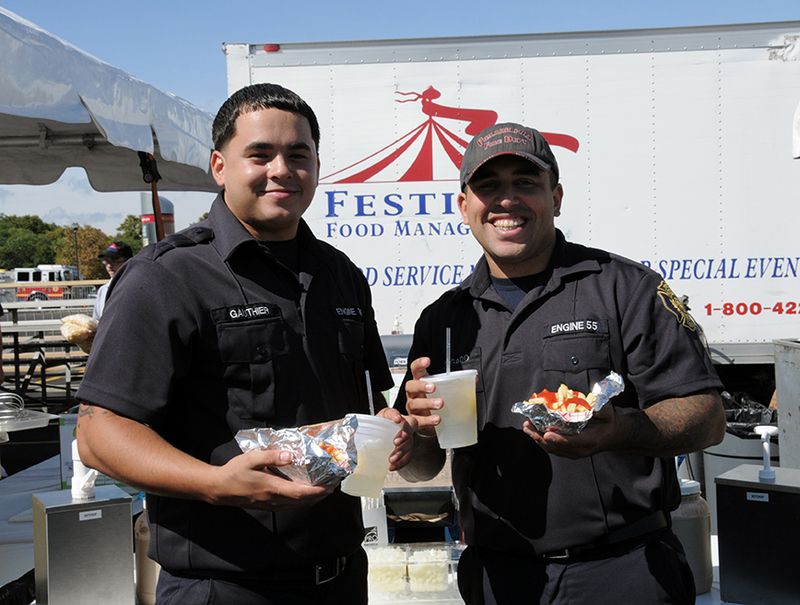 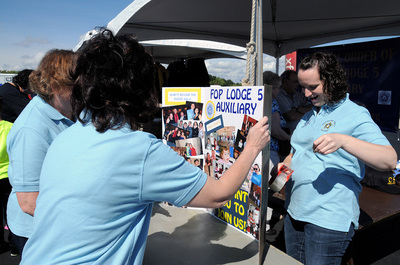 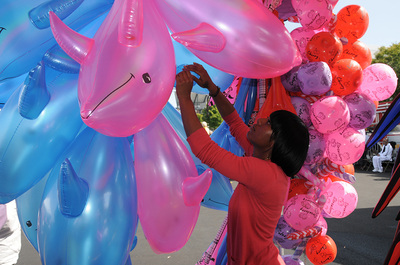 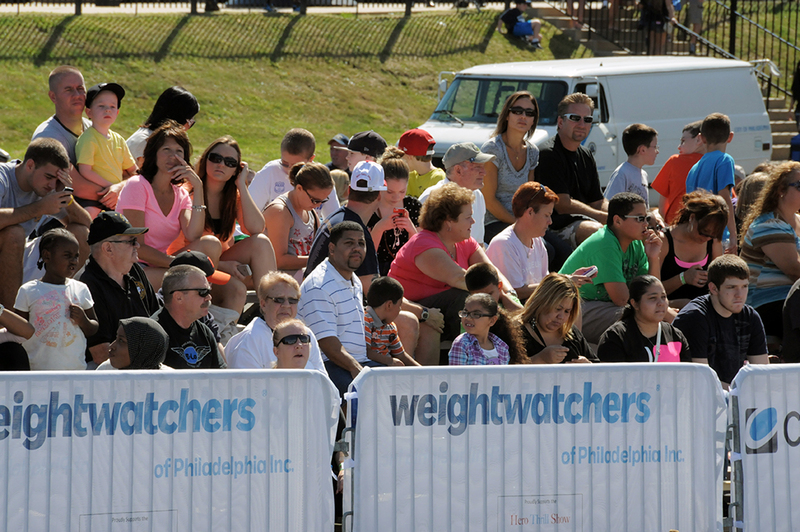 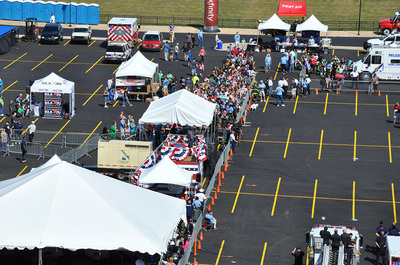 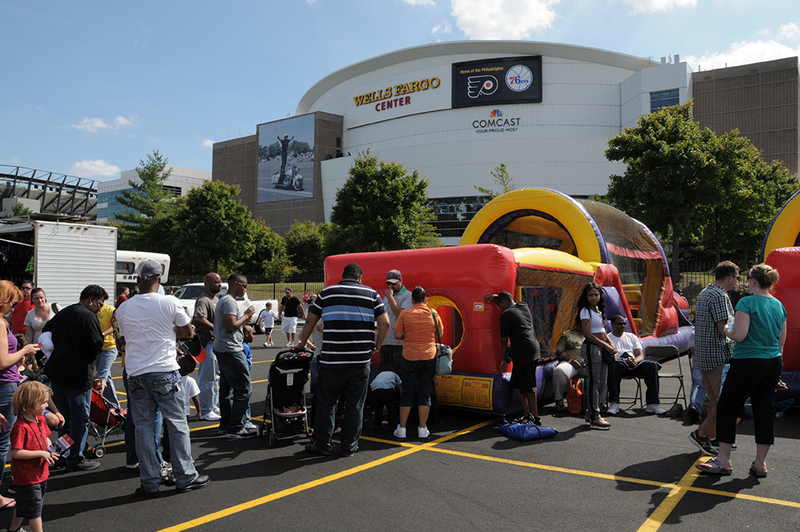 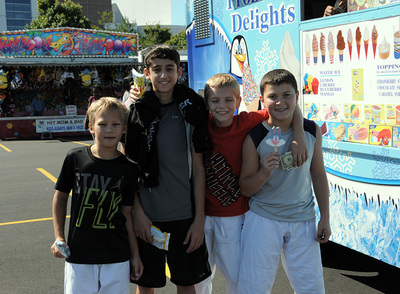 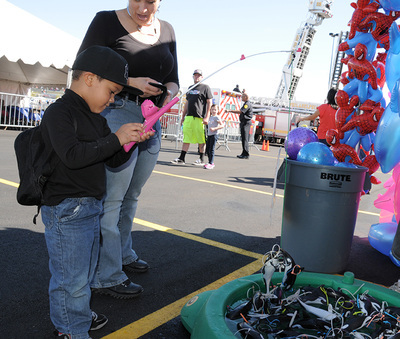 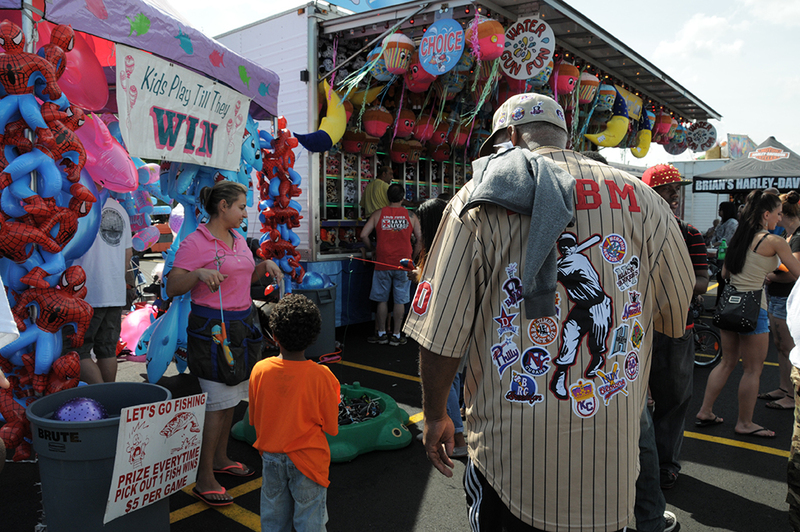 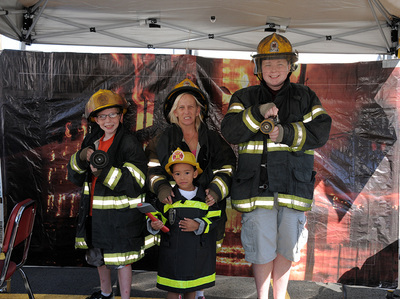 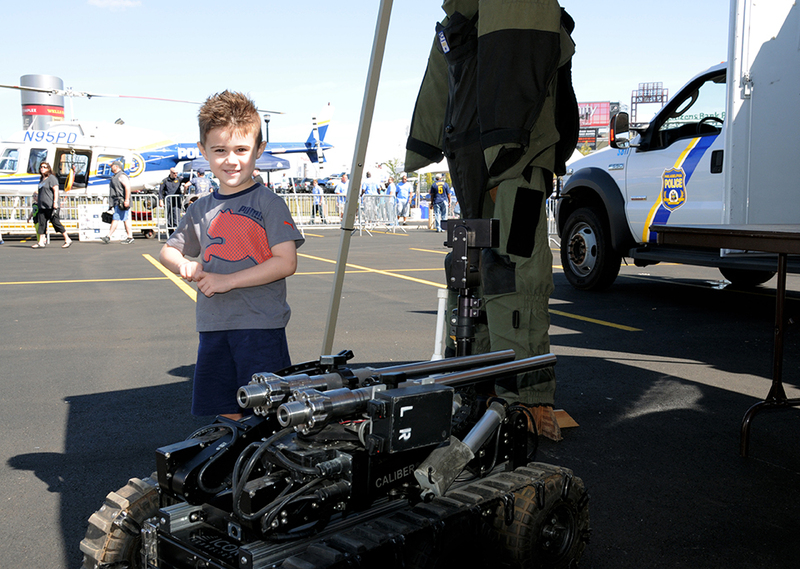 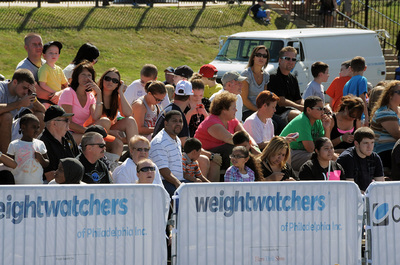 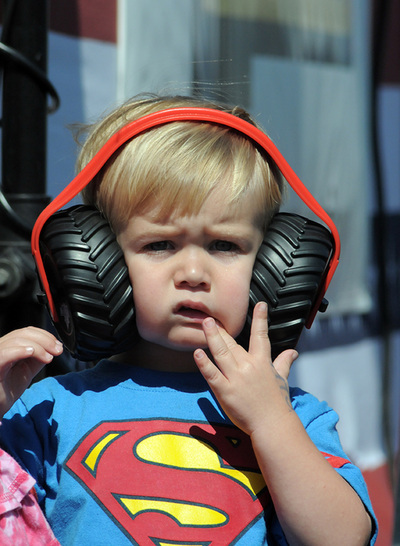 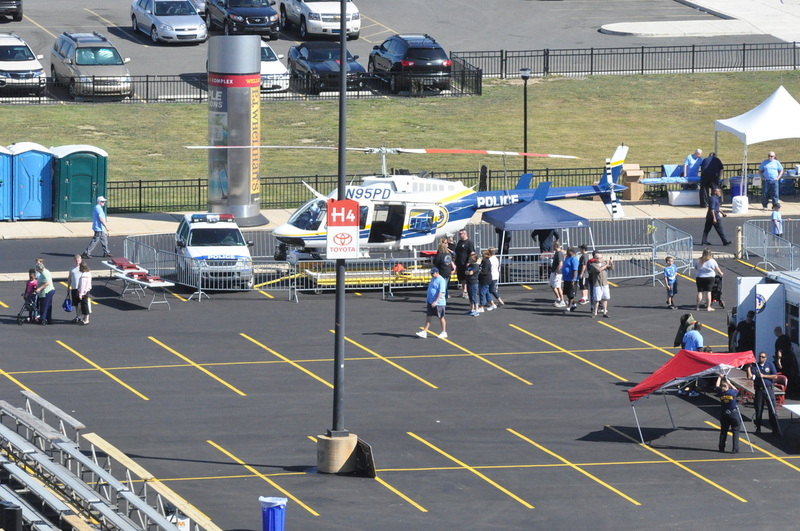 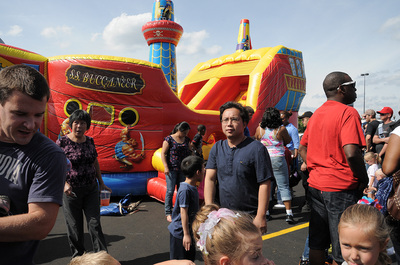 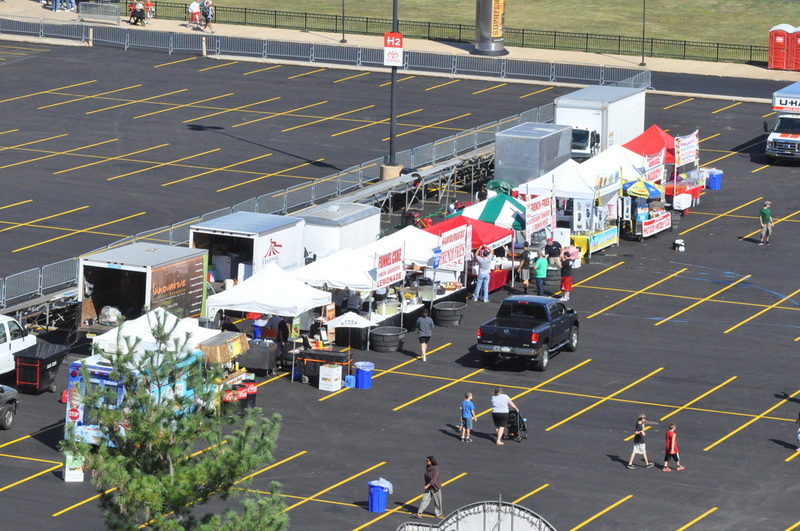 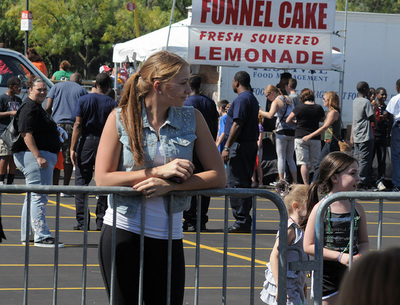 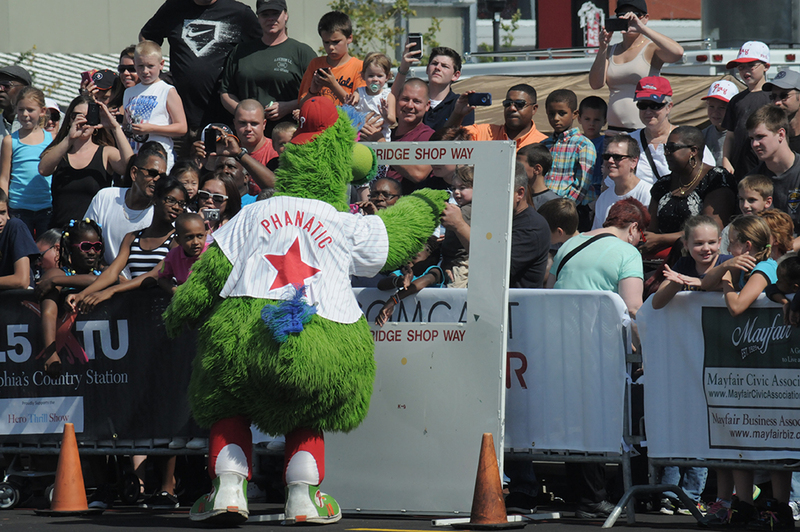 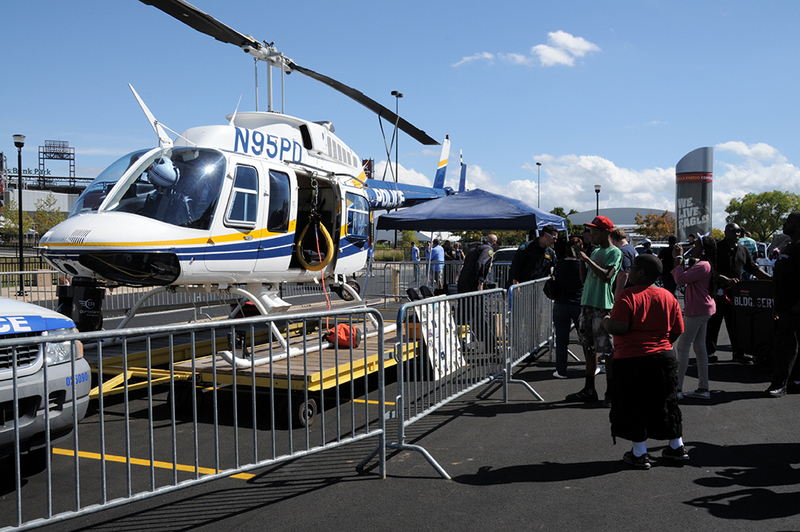 The event gave families a chance to participate in multiple activities, and there was something for everyone to enjoy. 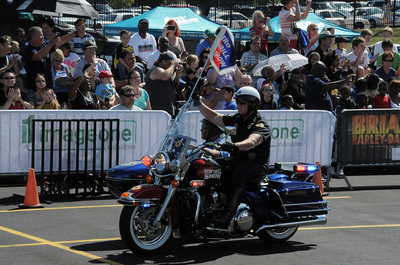 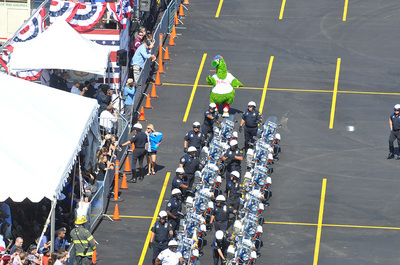 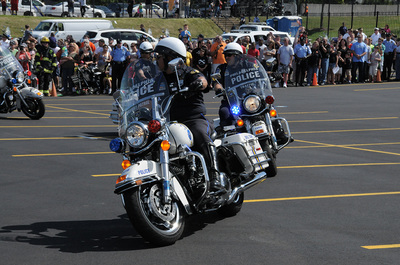 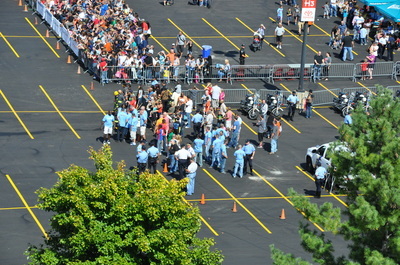 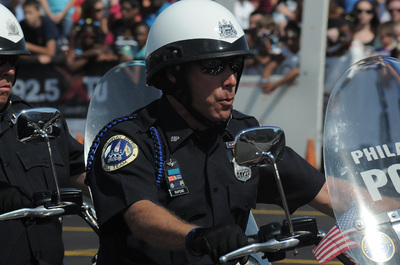 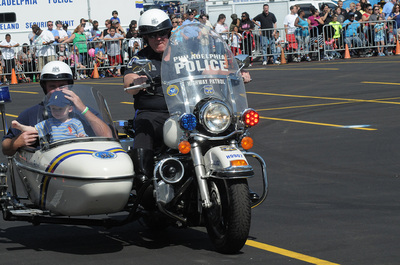 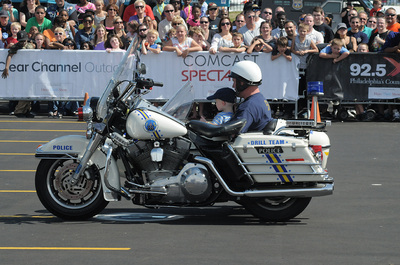 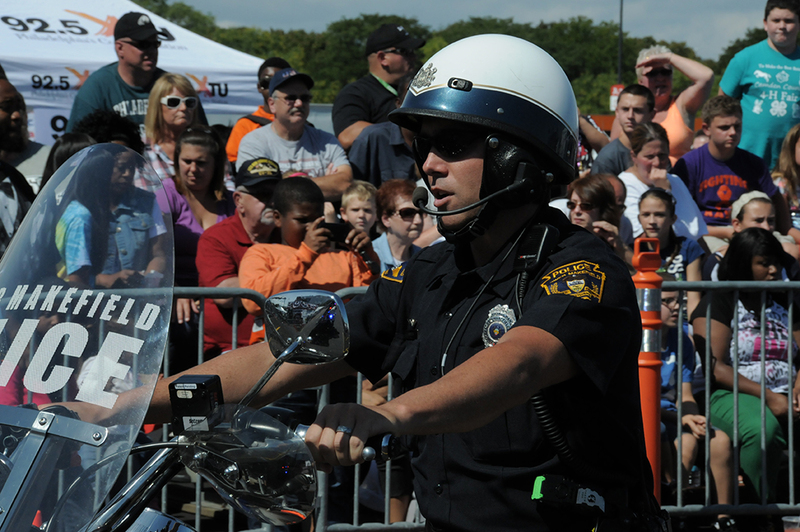 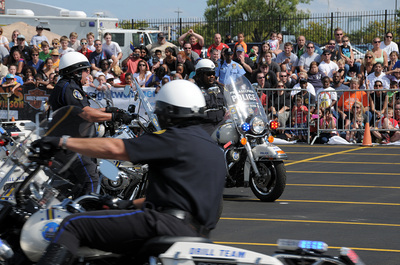 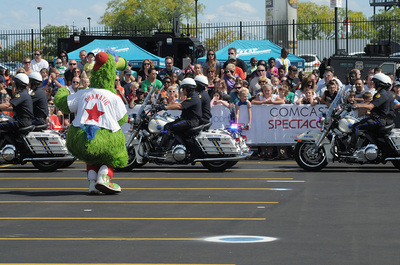 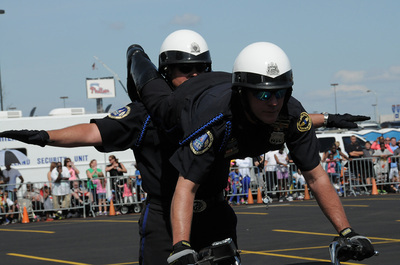 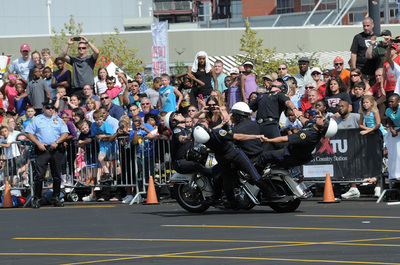 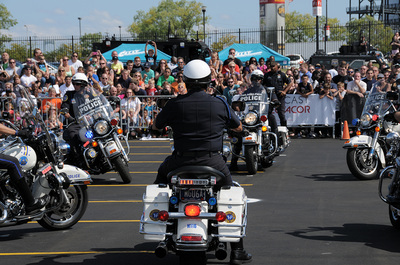 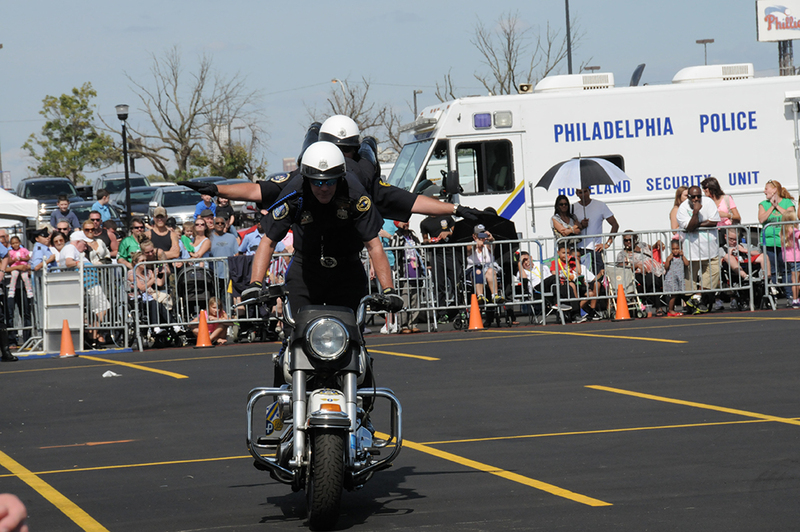 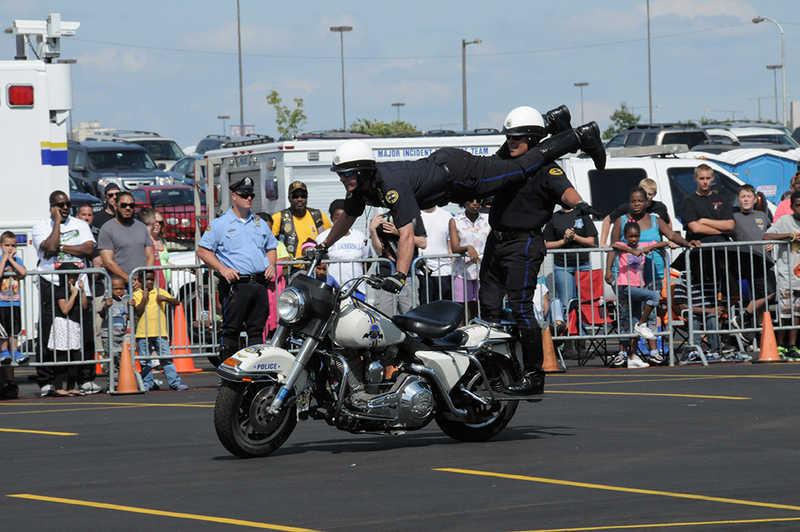 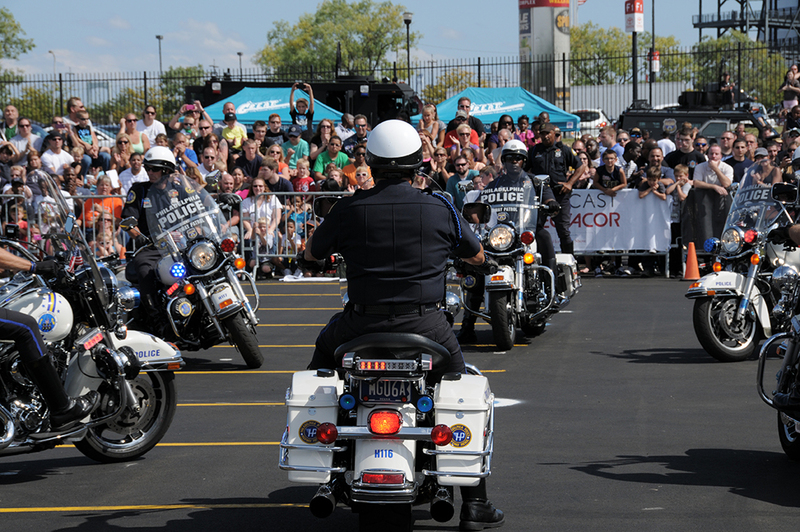 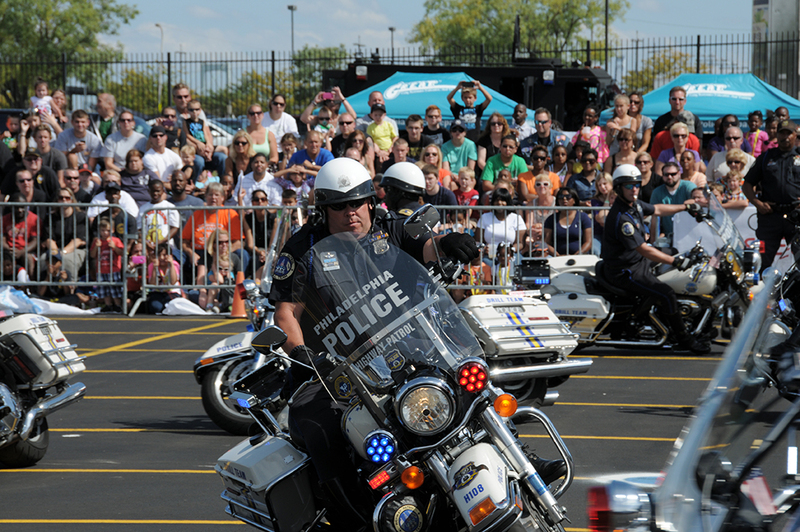 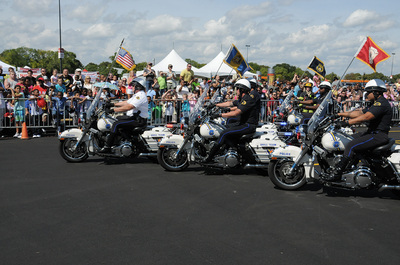 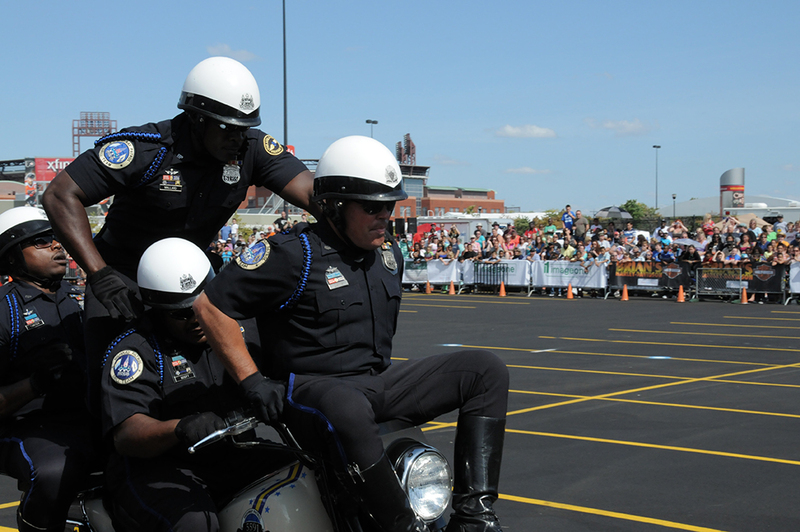 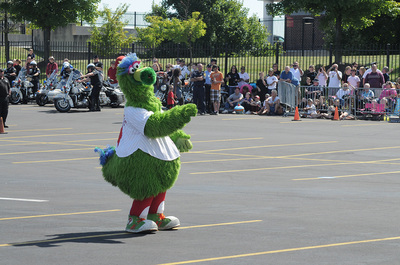 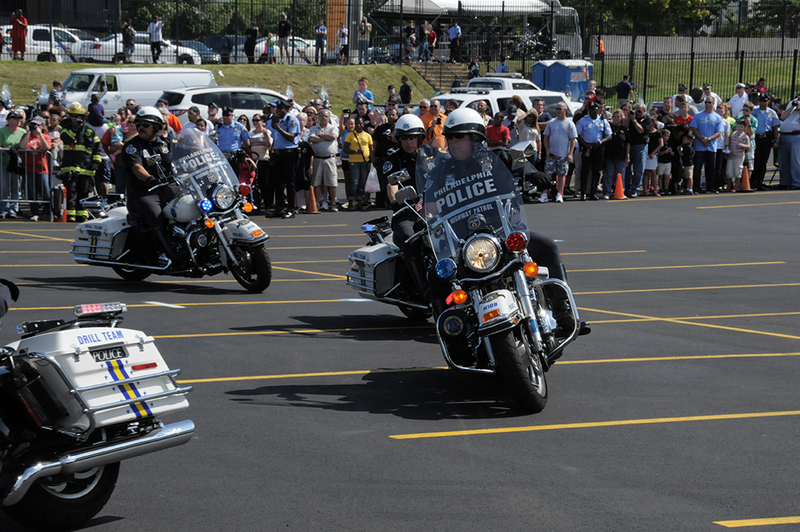 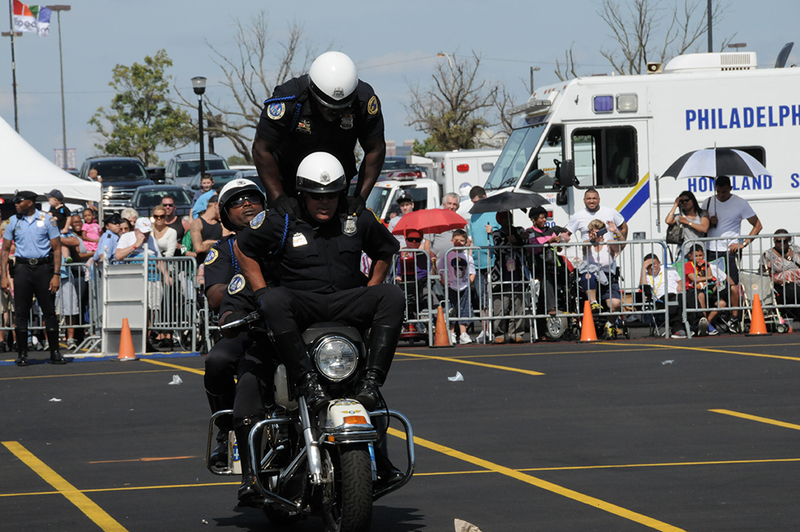 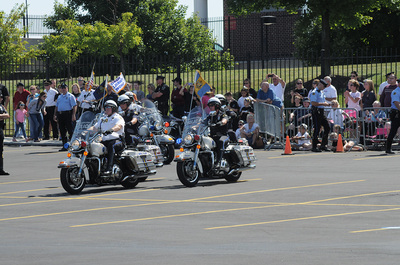 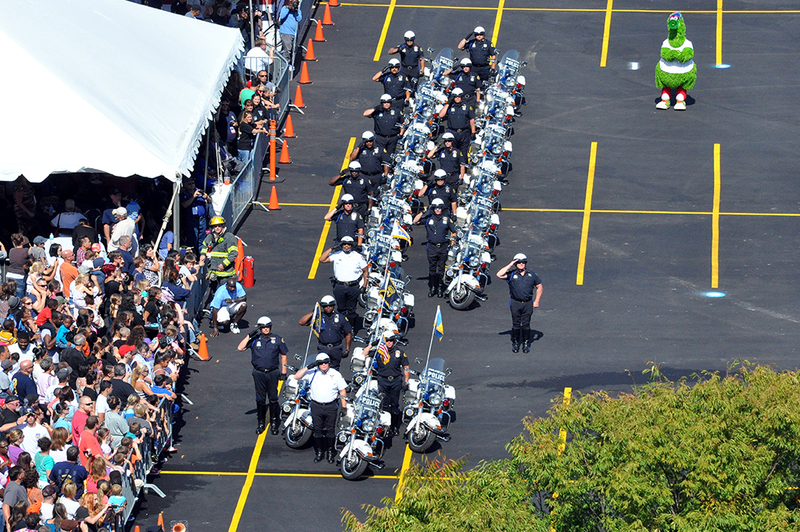 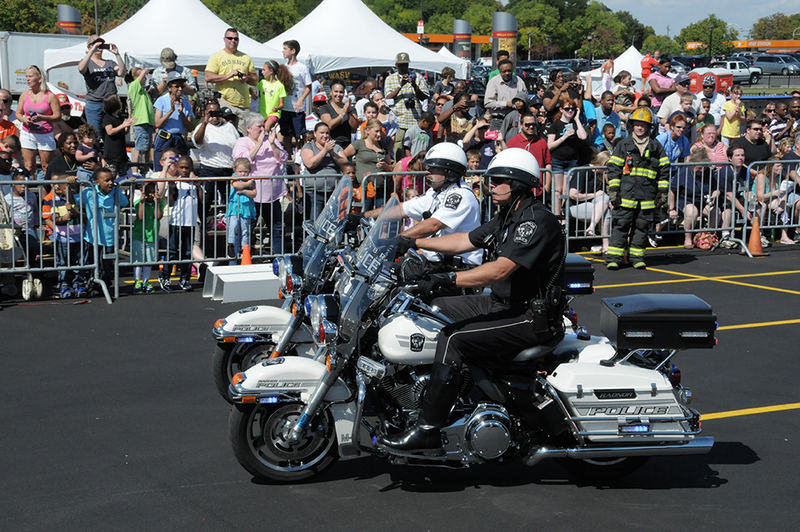 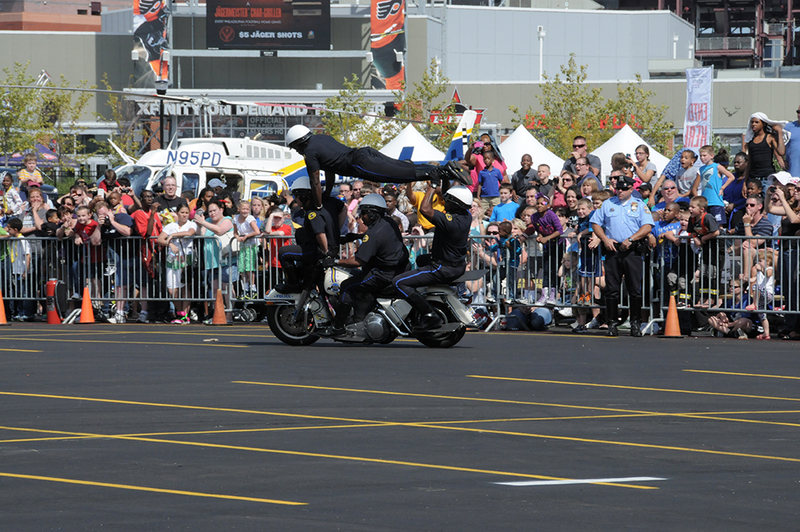 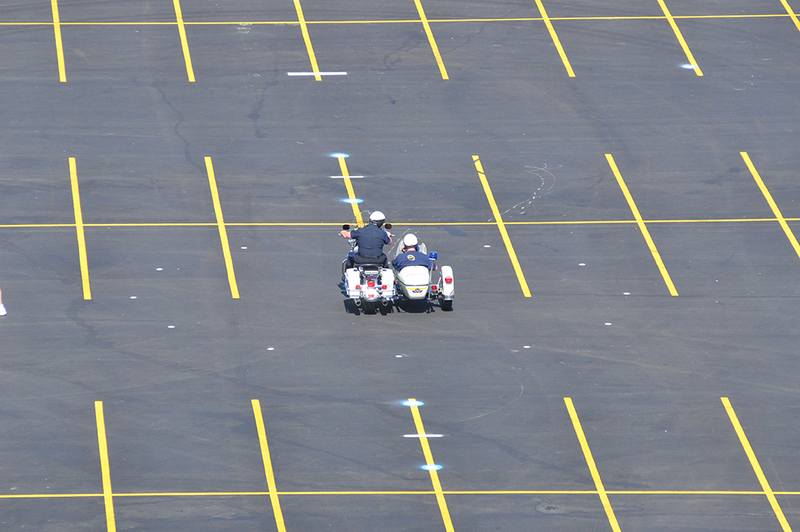 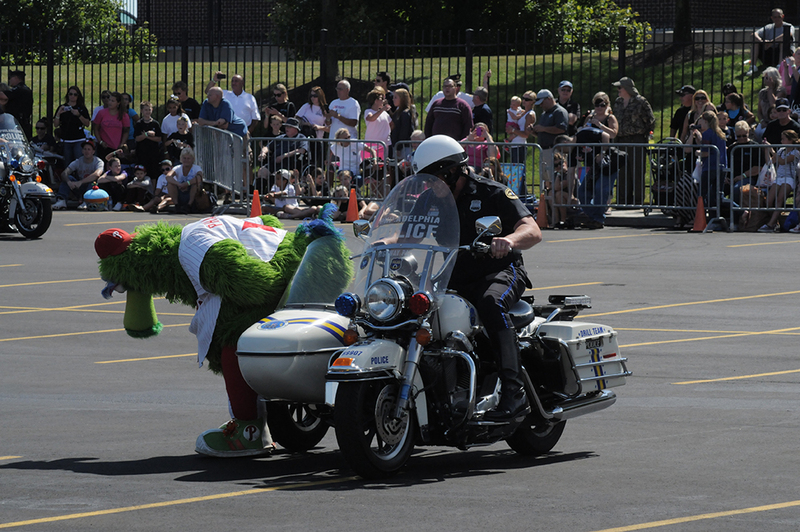 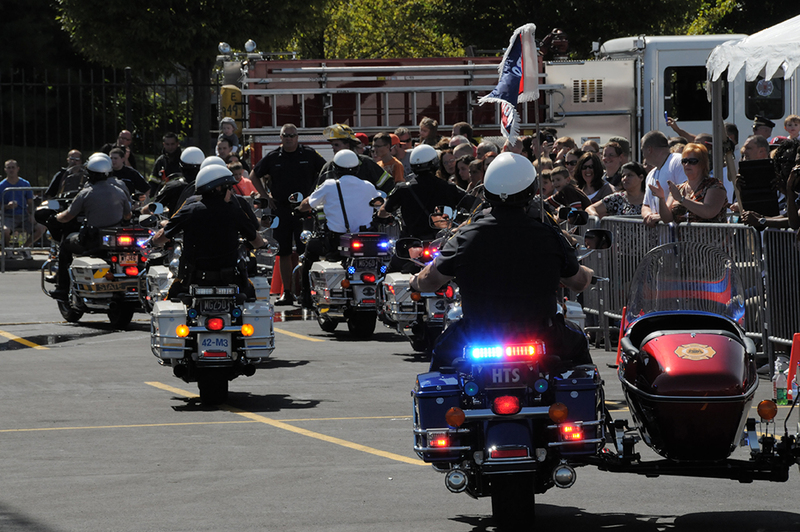 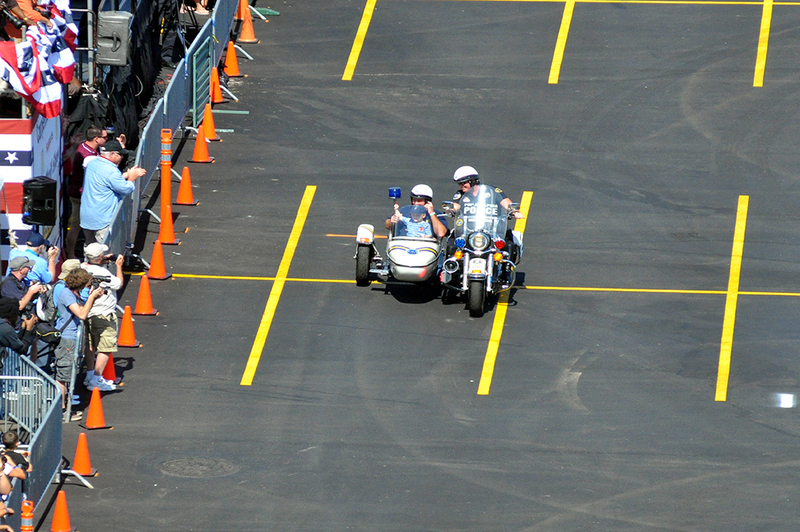 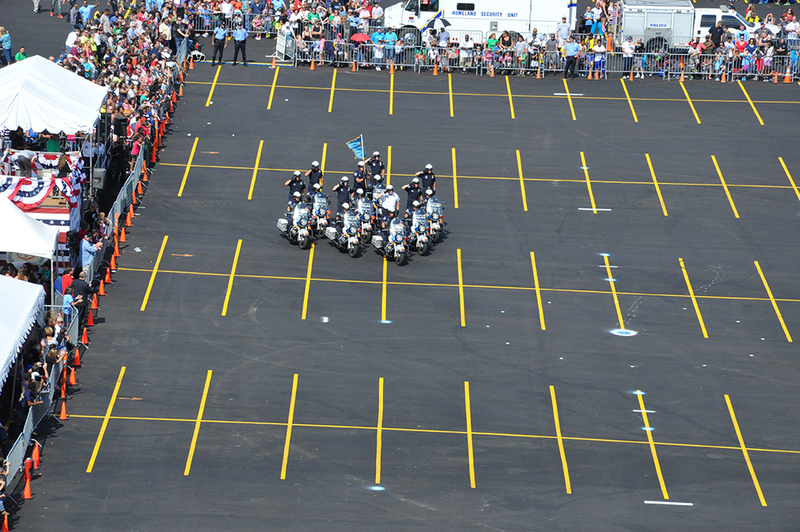 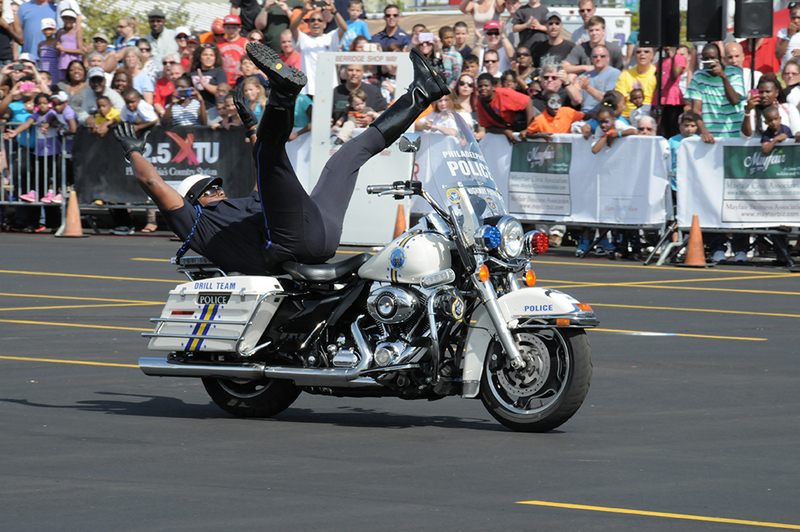 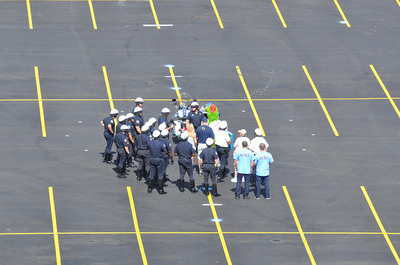 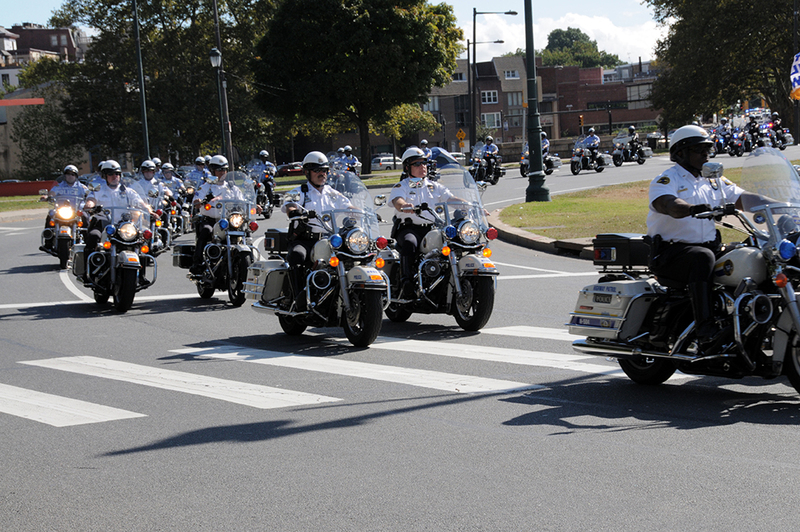 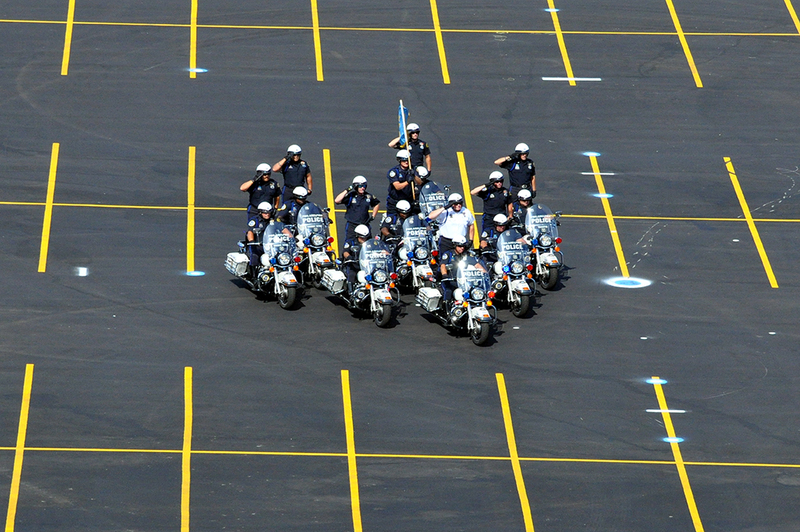 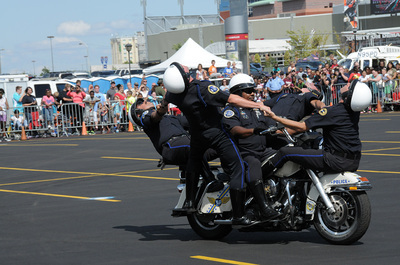 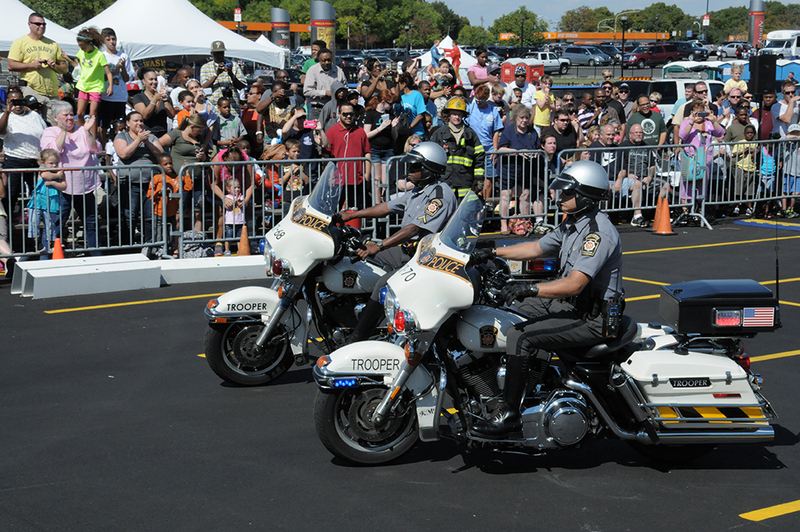 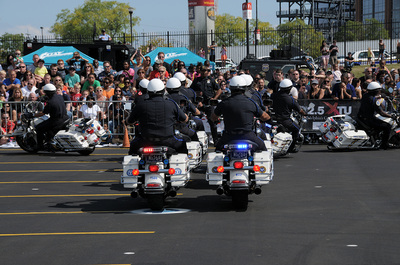 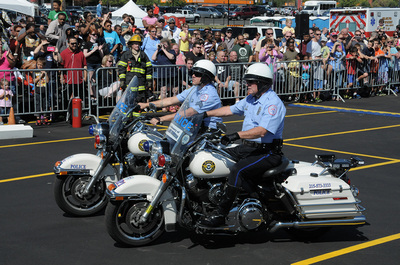 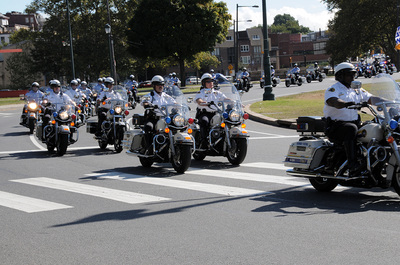 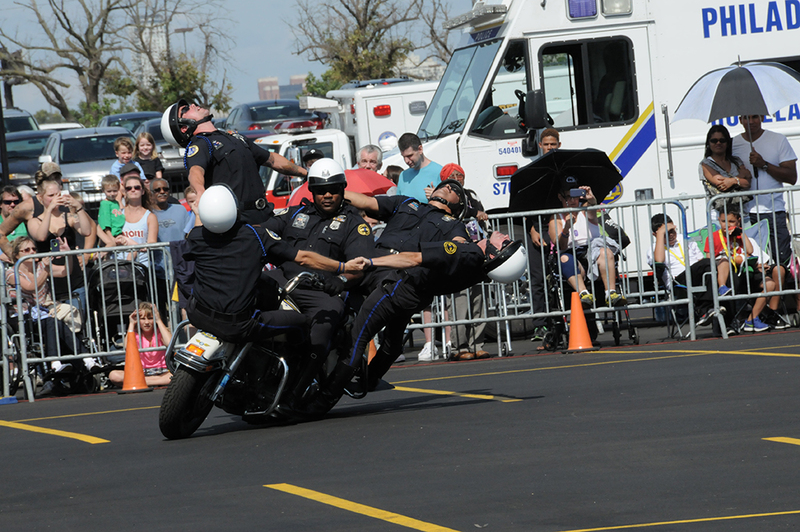 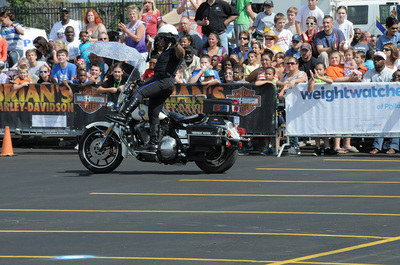 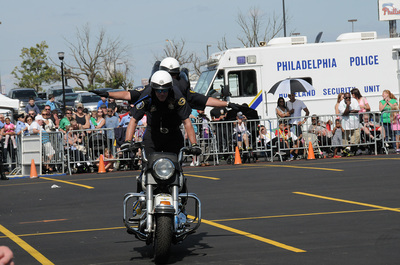 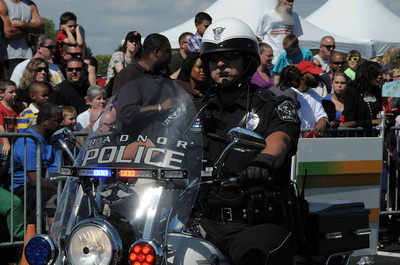 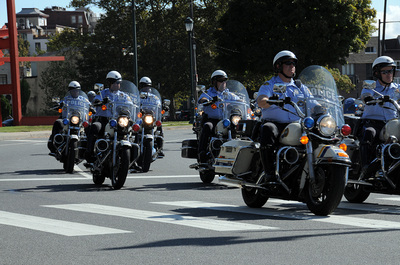 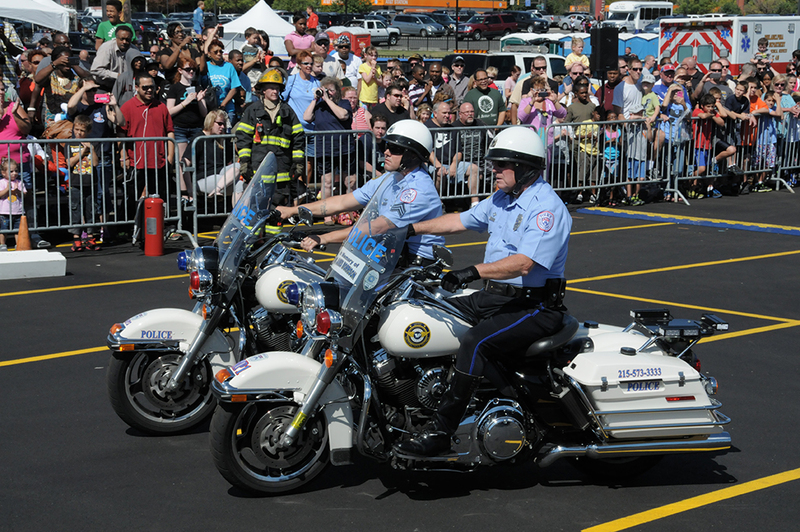 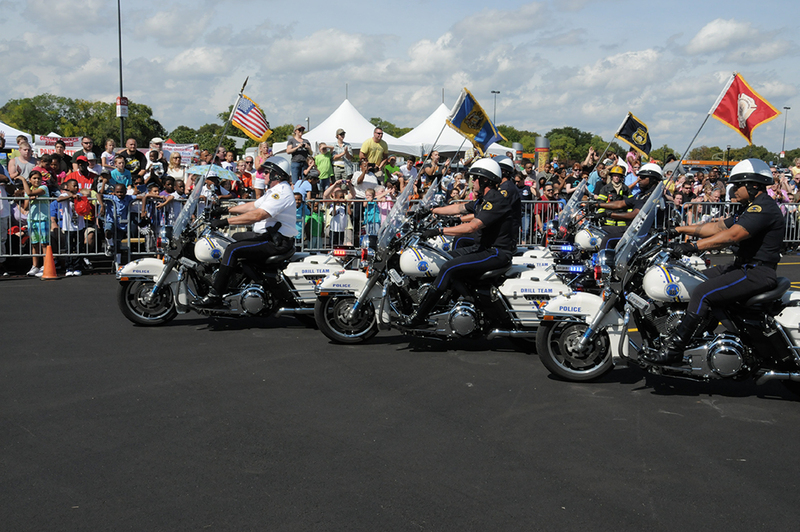 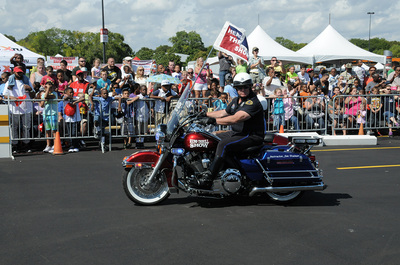 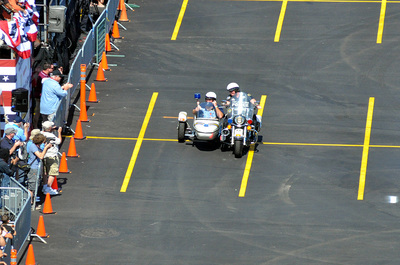 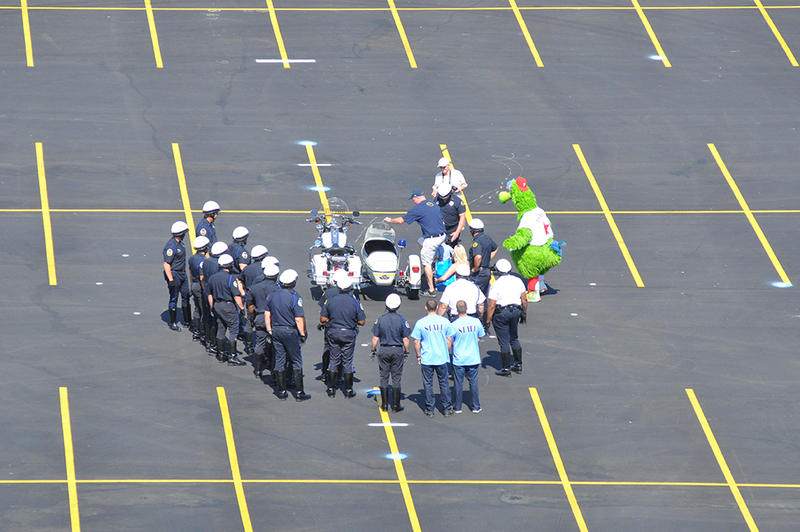 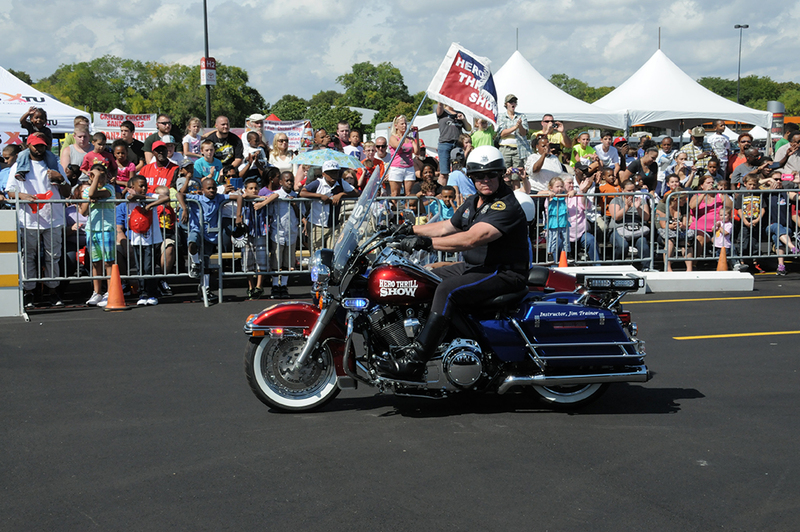 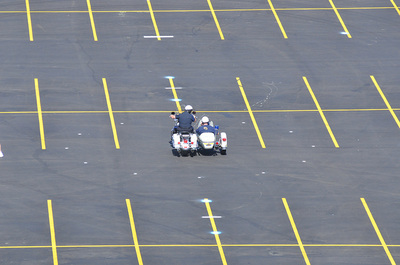 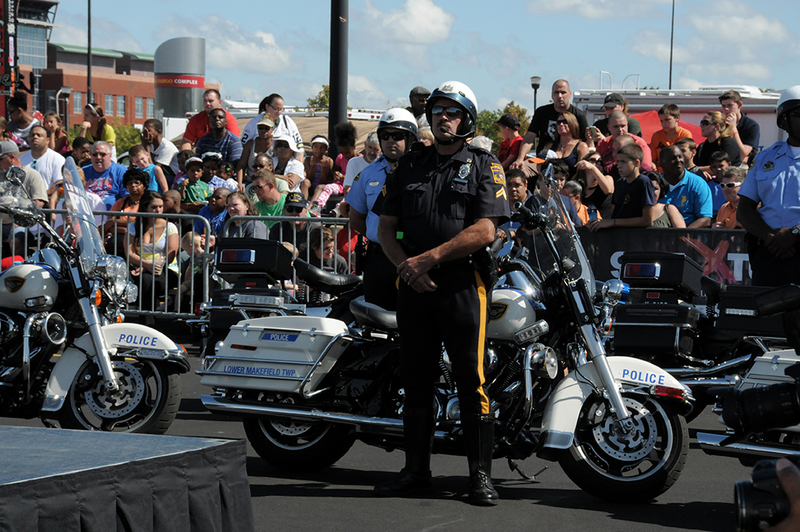 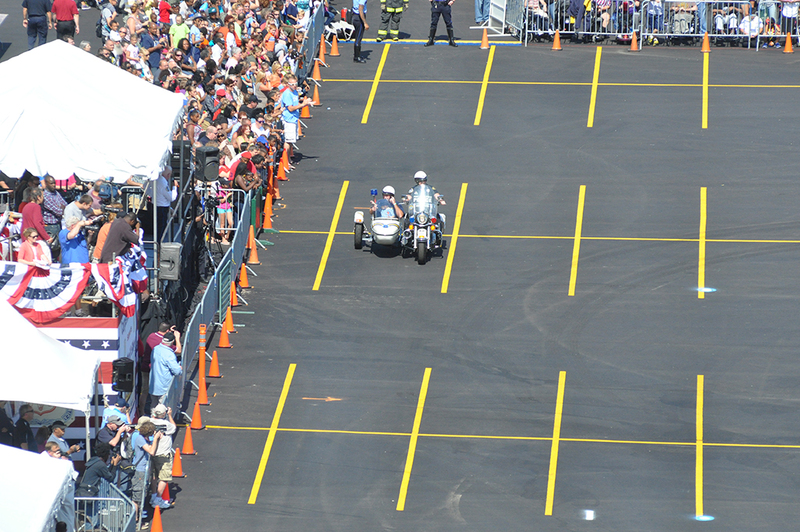 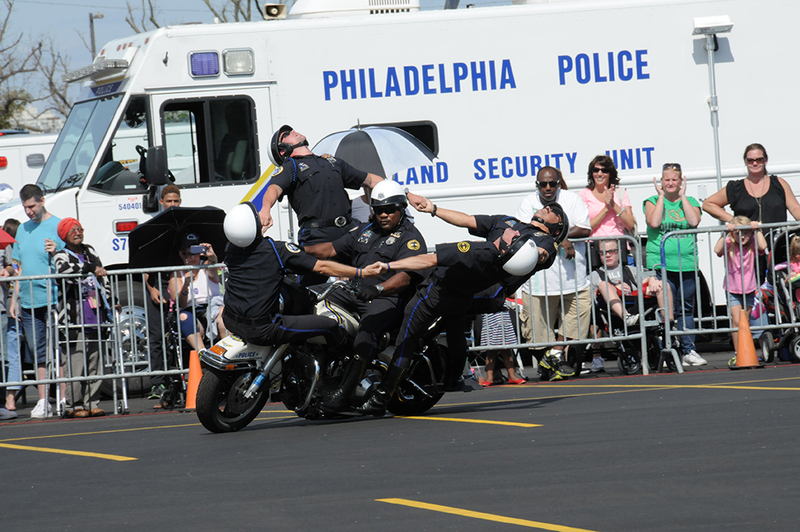 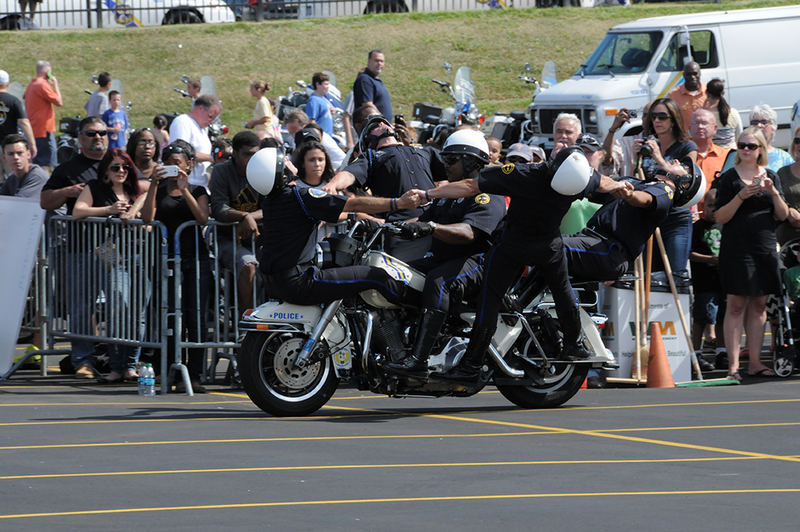 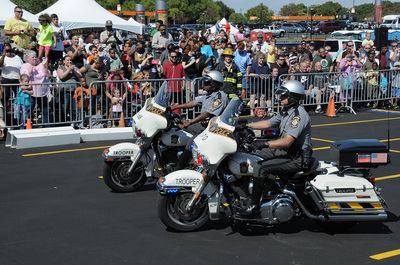 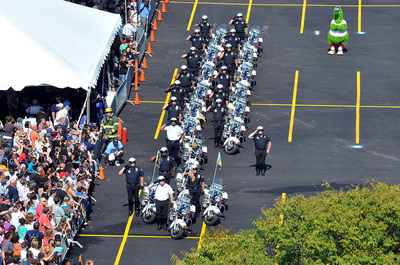 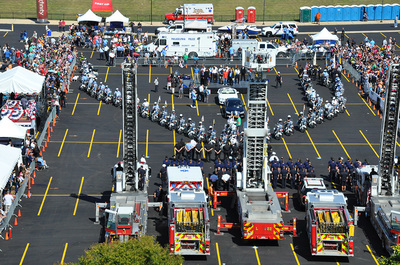 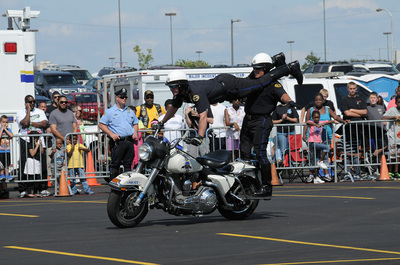 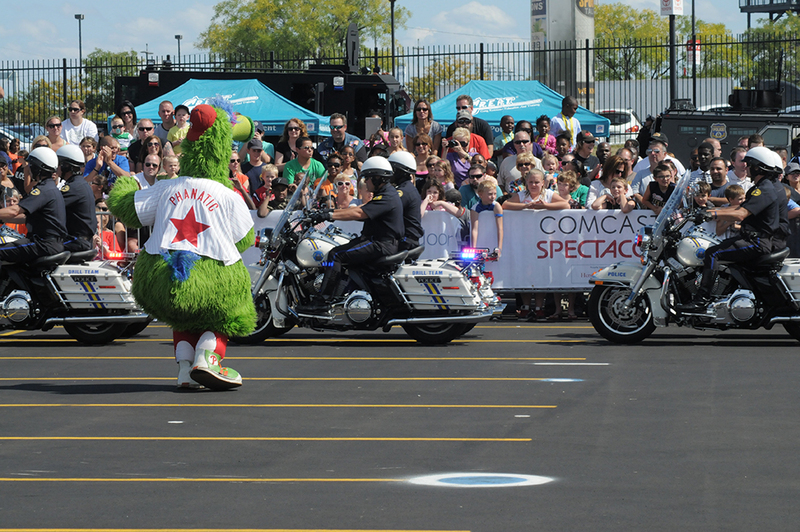 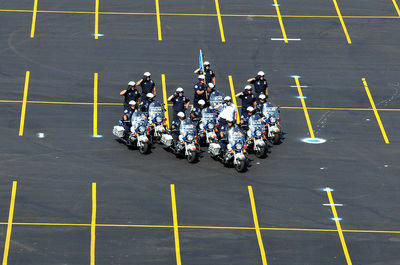 One of the big events that drew people in was the police motocycle drill team that performed high-paced tricks. 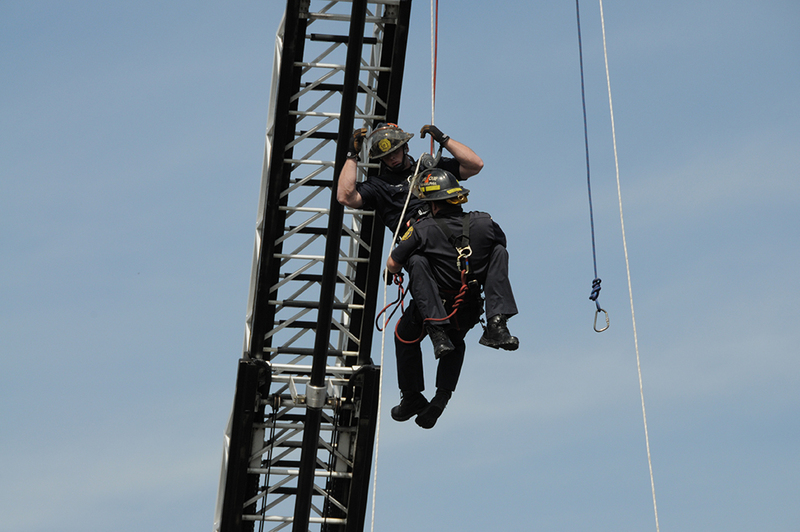 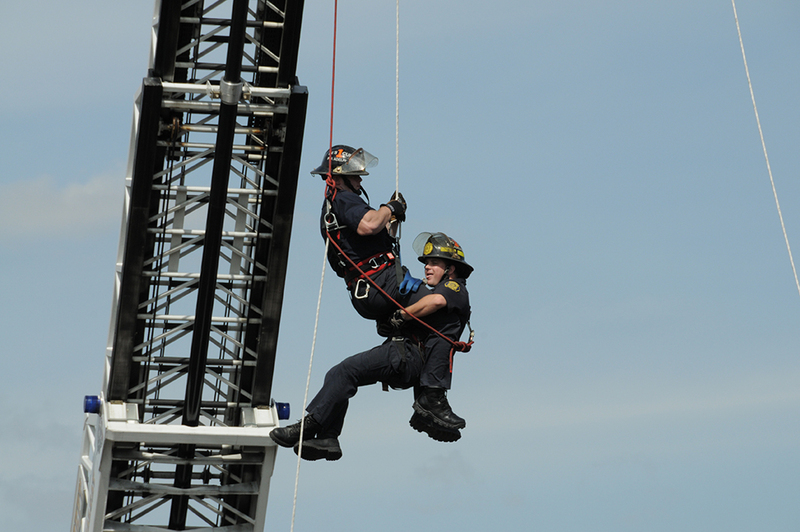 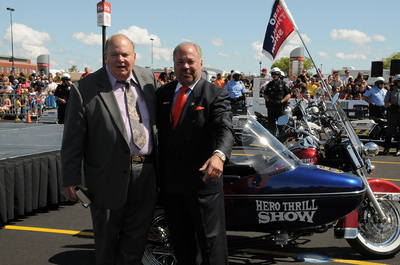 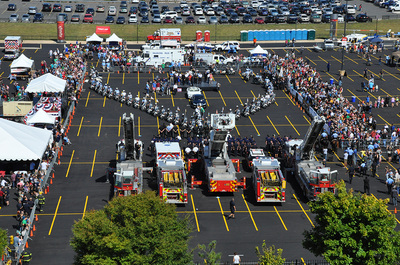 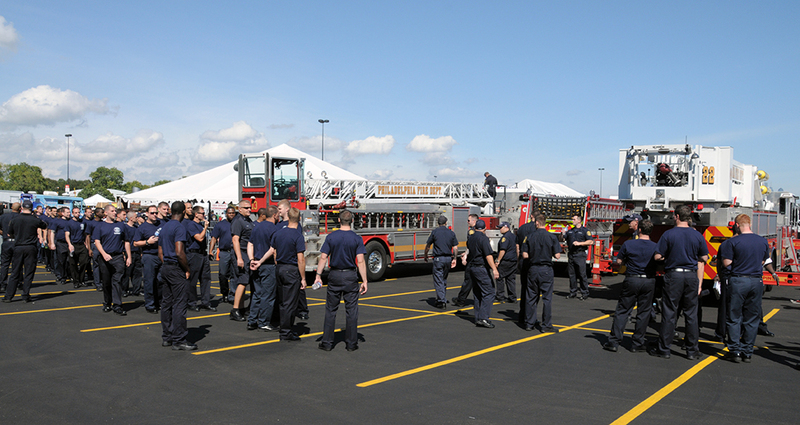 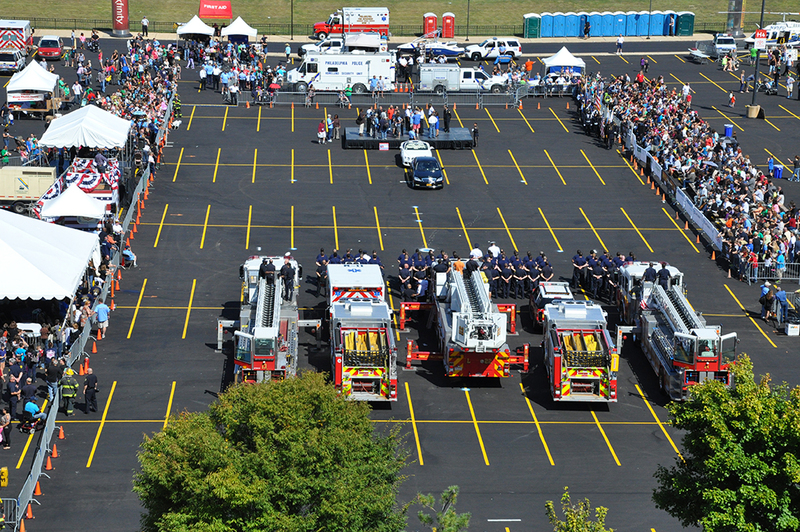 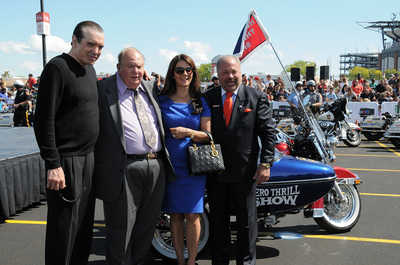 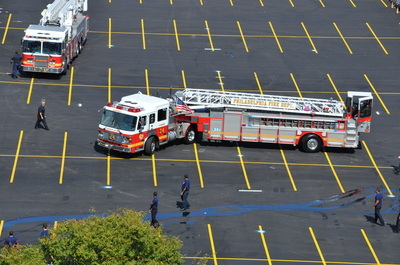 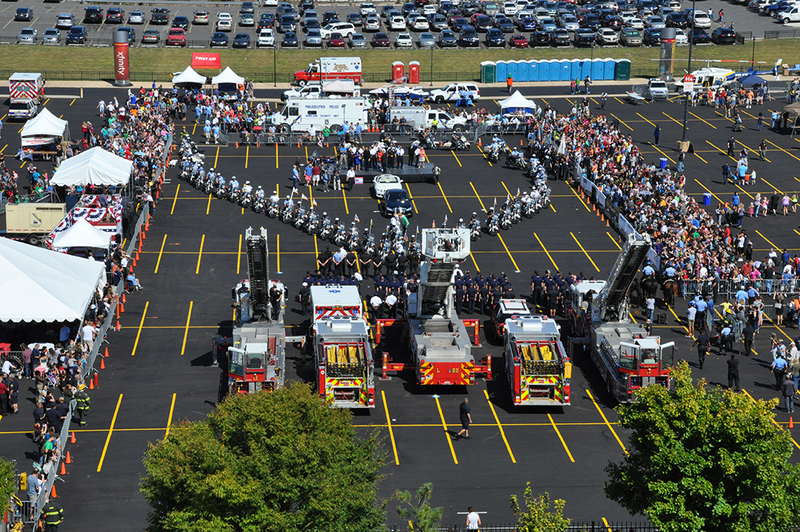 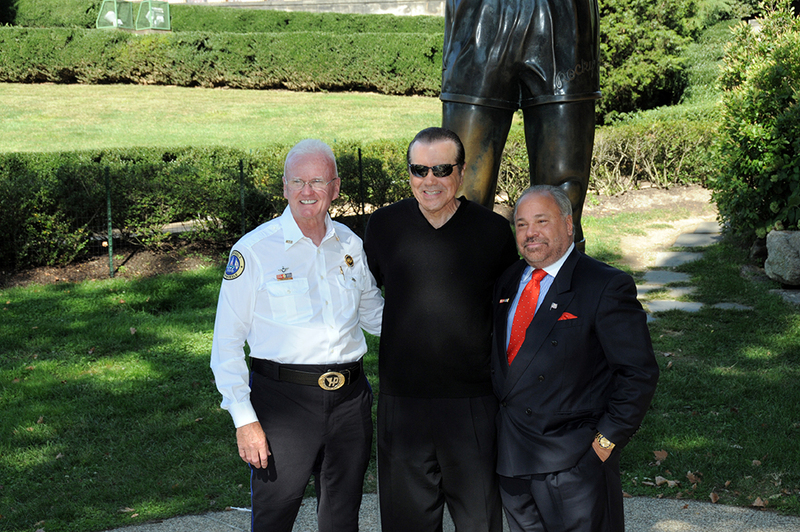 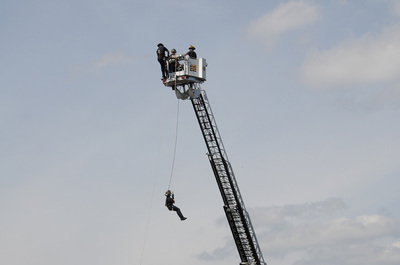 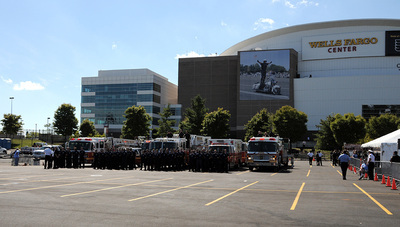 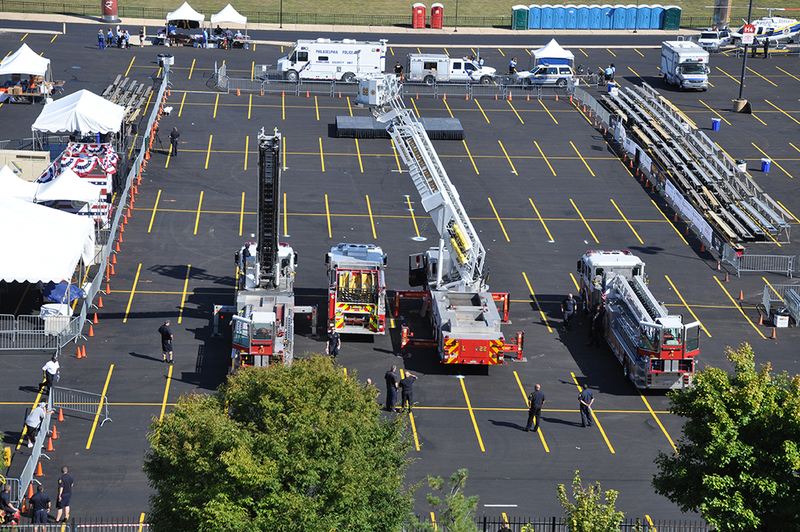 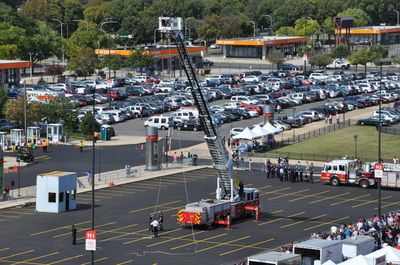 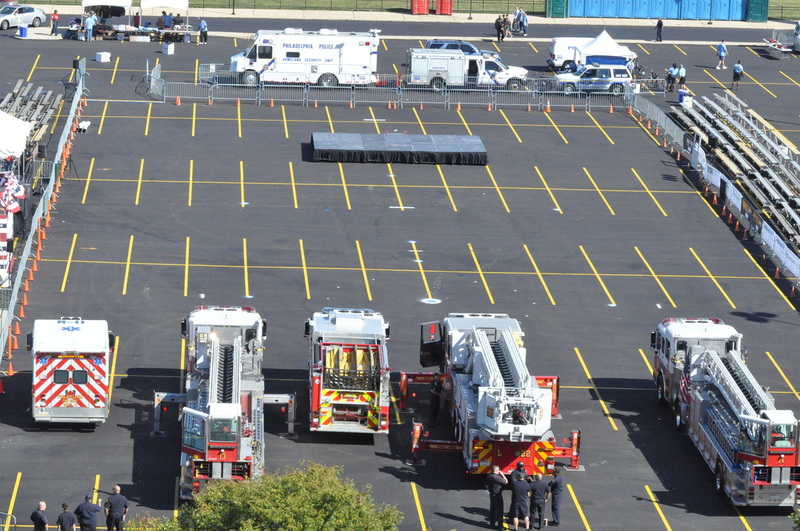 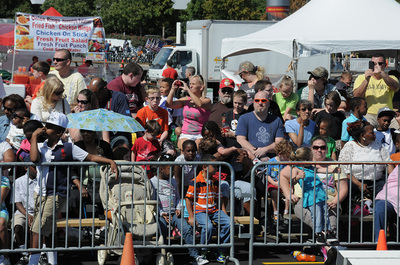 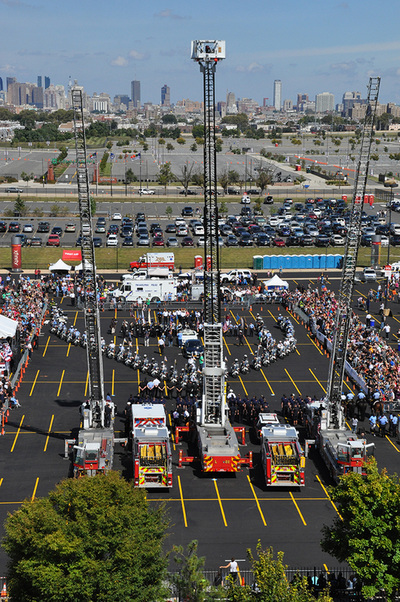 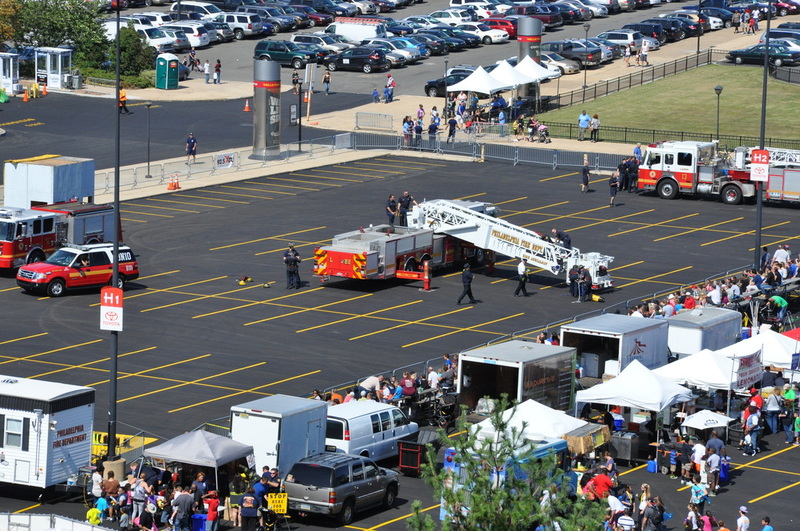 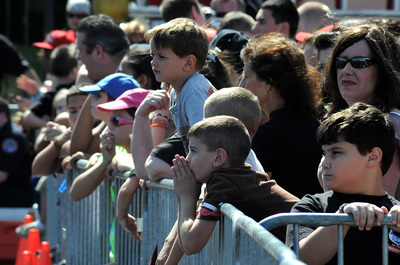 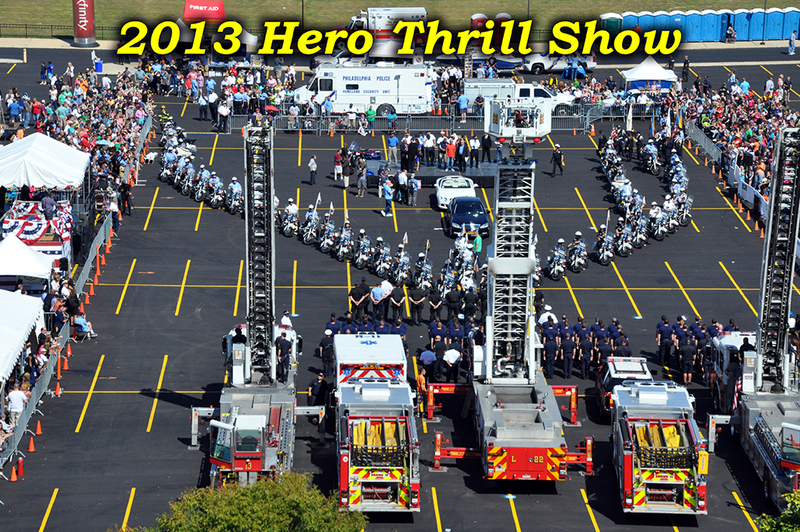 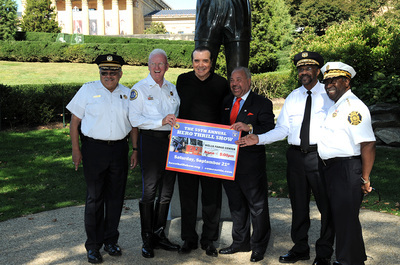 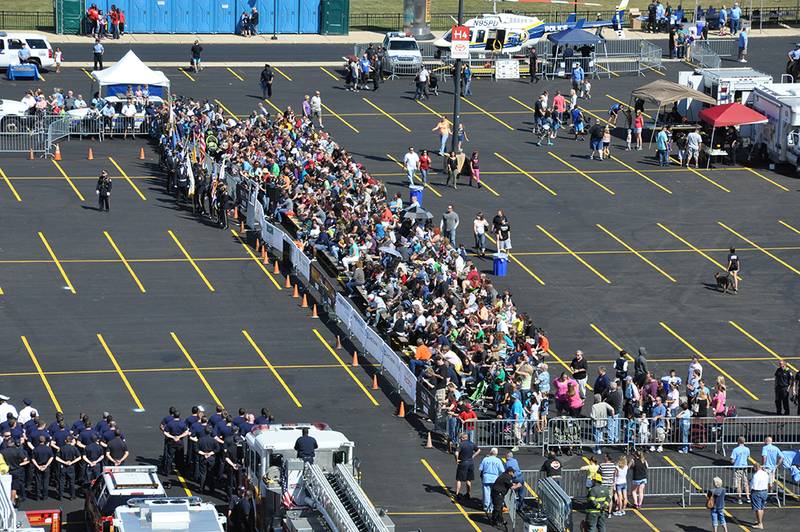 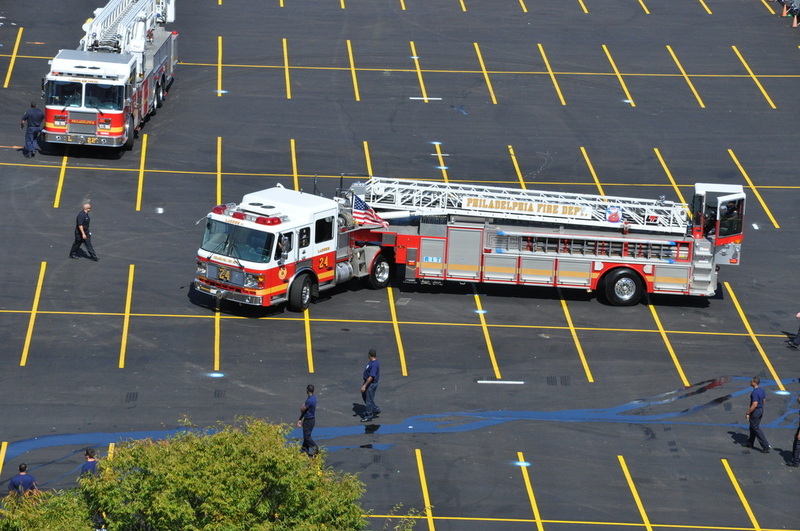 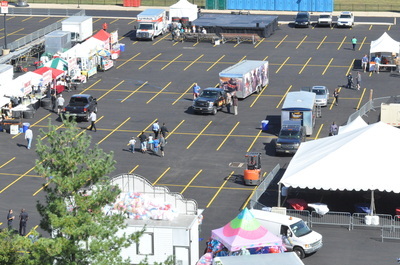 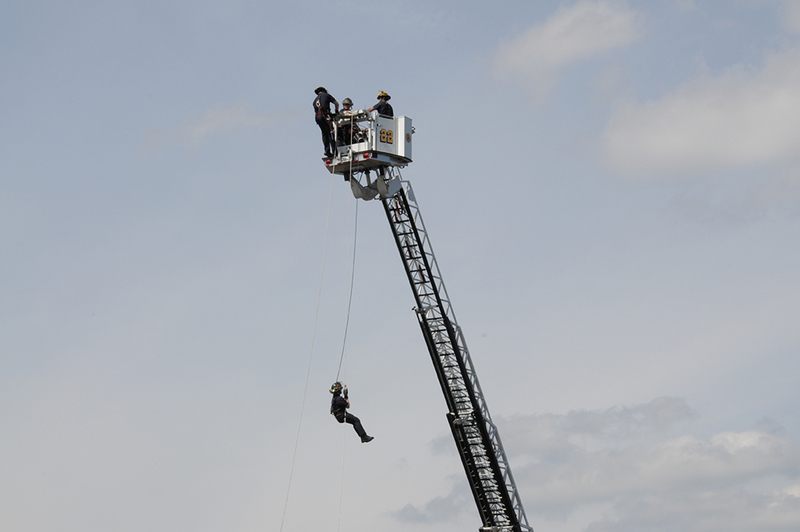 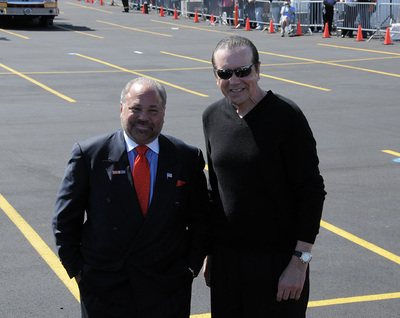 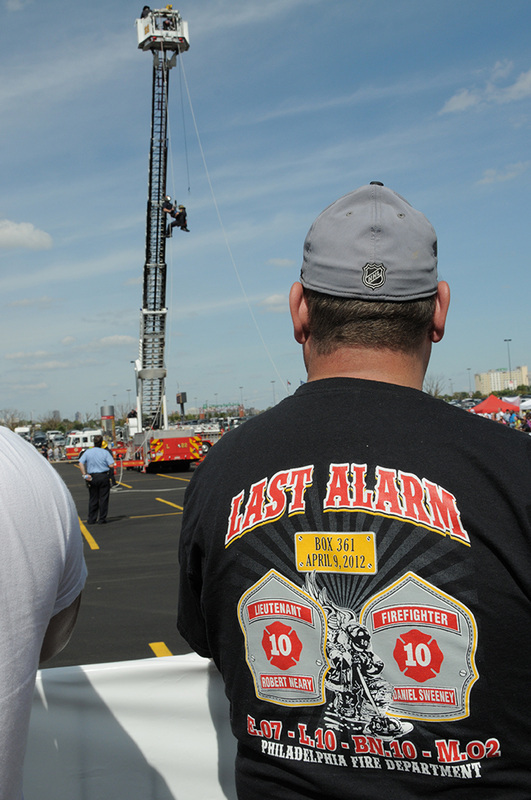 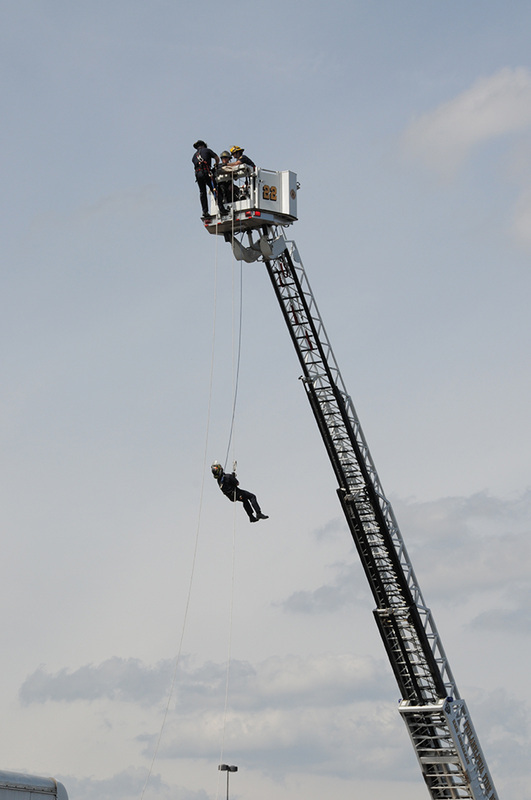 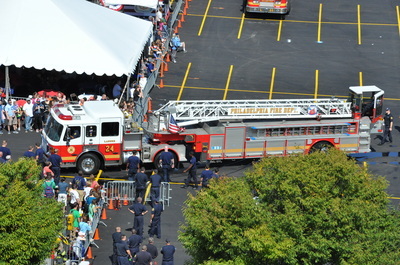 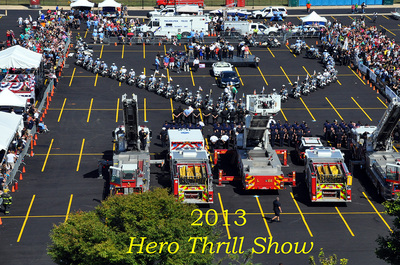 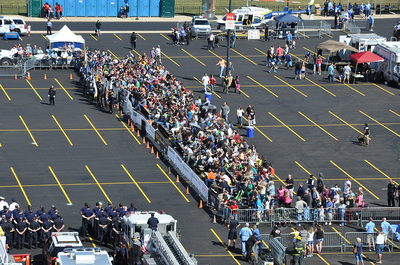 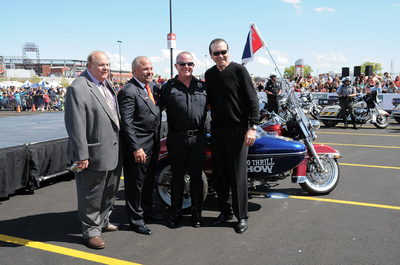 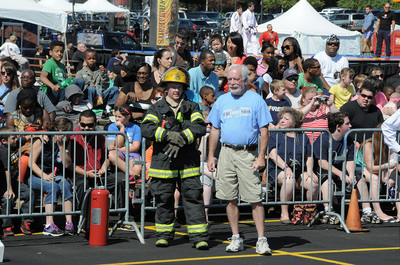 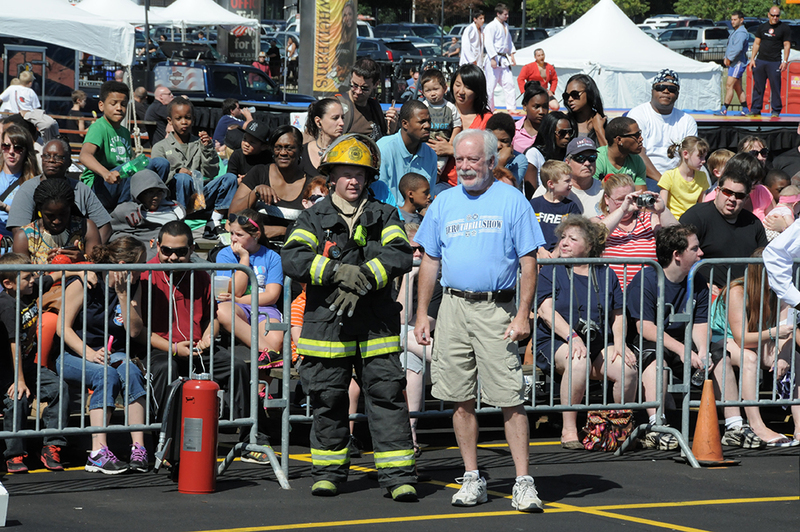 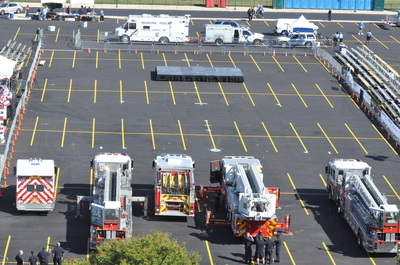 The Hero Thrill Show started in 1954, as a way to raise money to help children of fallen fire fighters go to college. 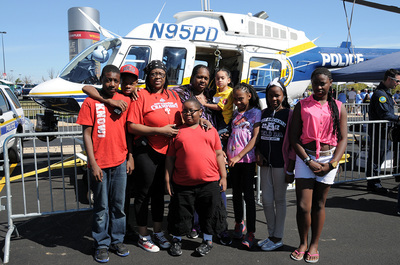 Money raised this year will help more than 20 kids pursue a higher education.